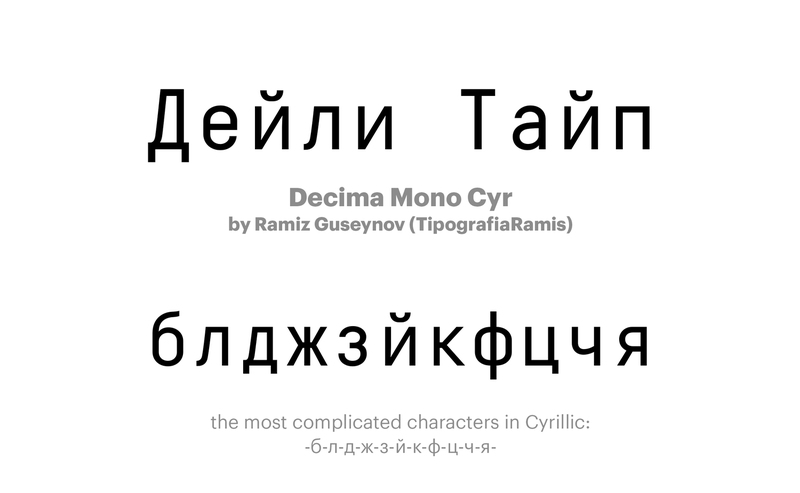 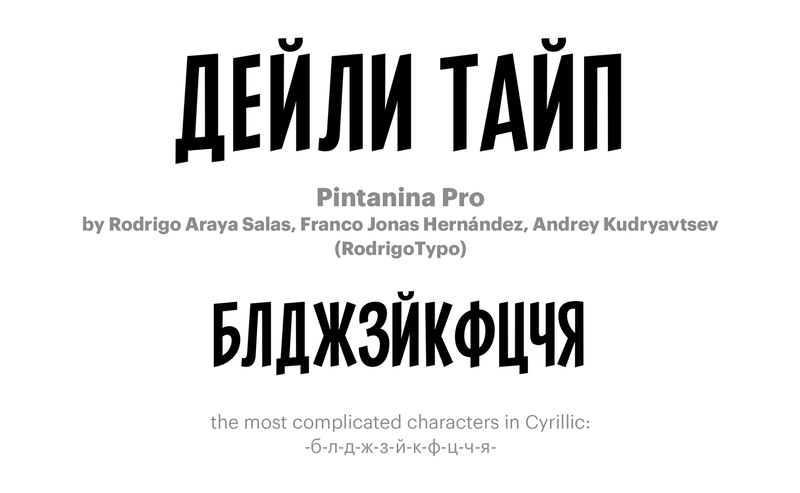 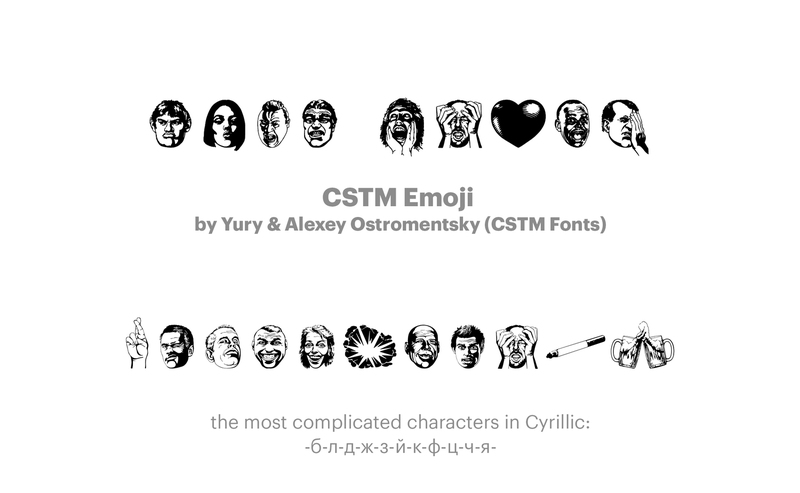 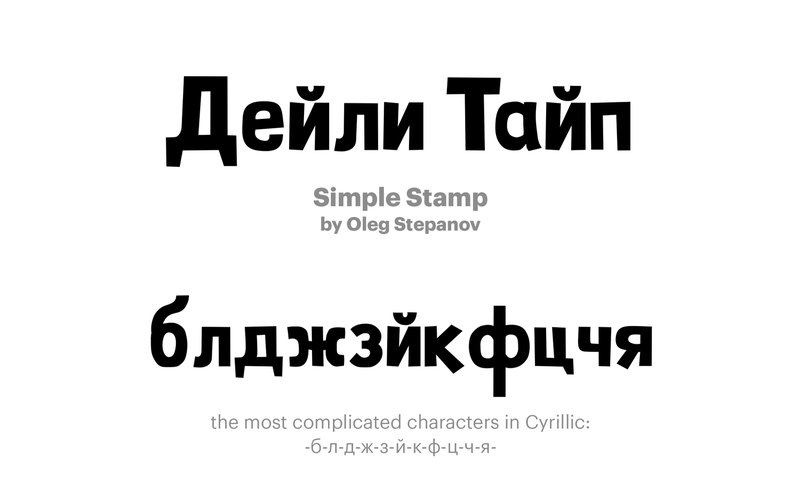 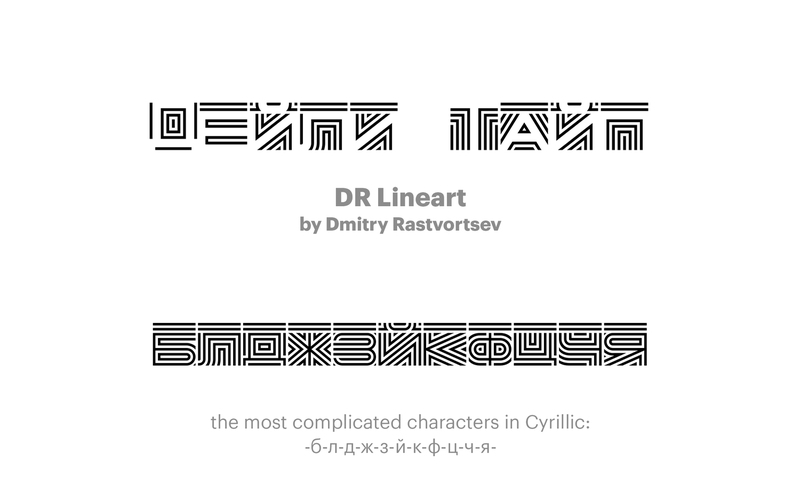 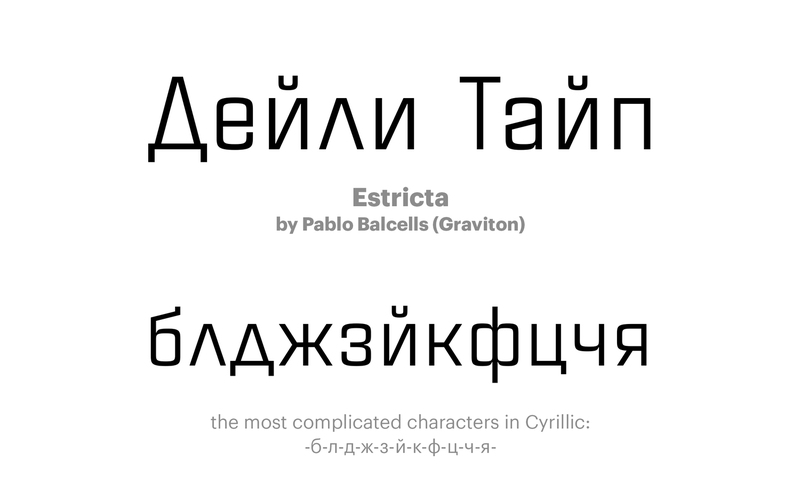 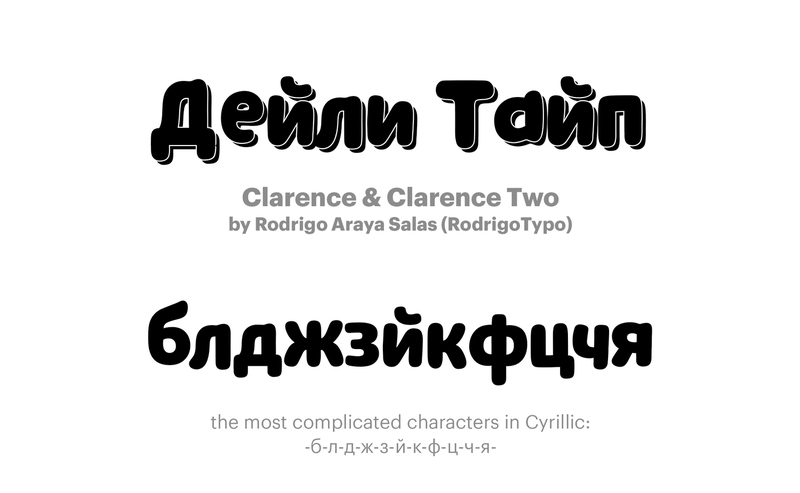 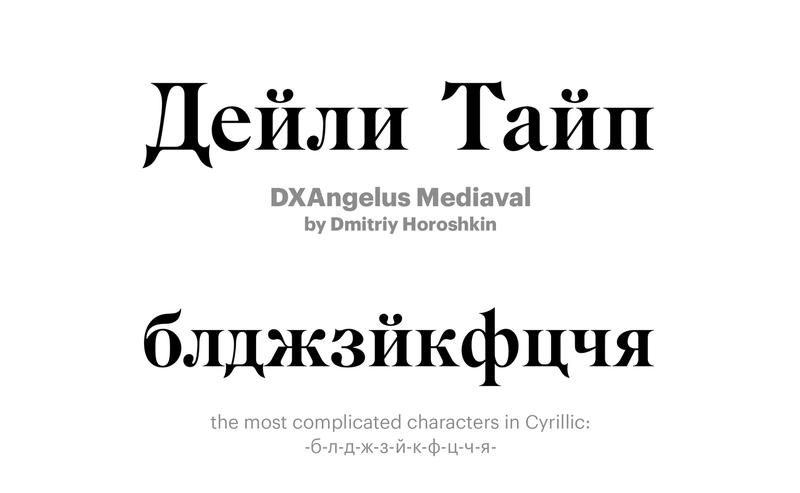 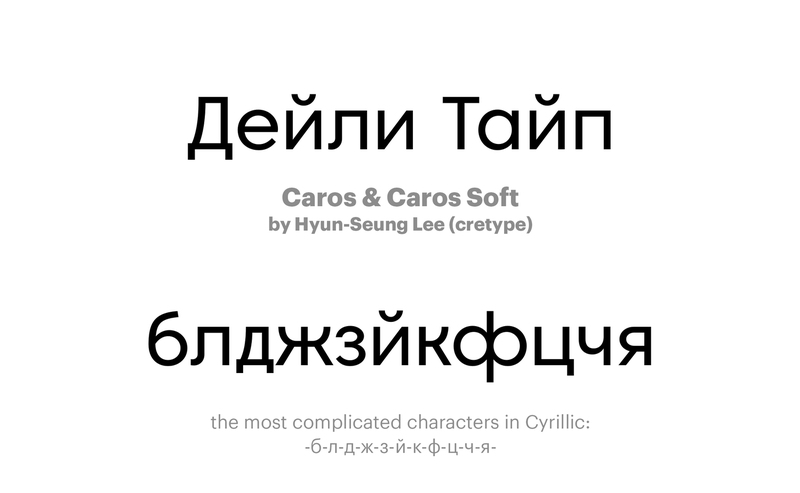 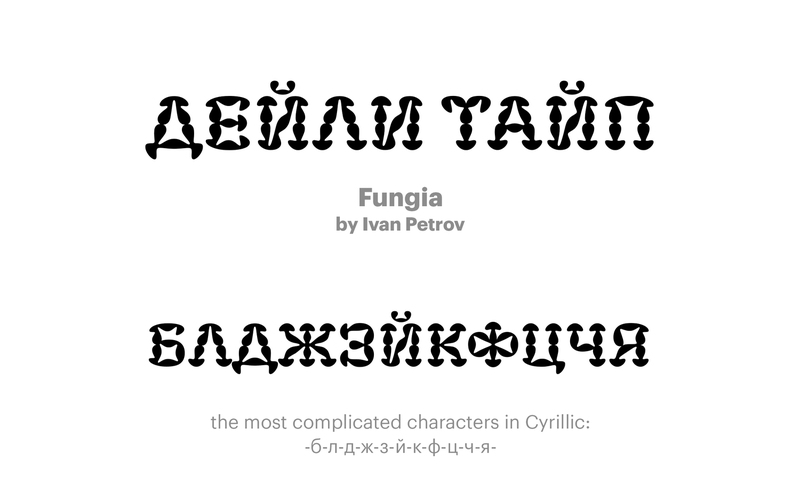 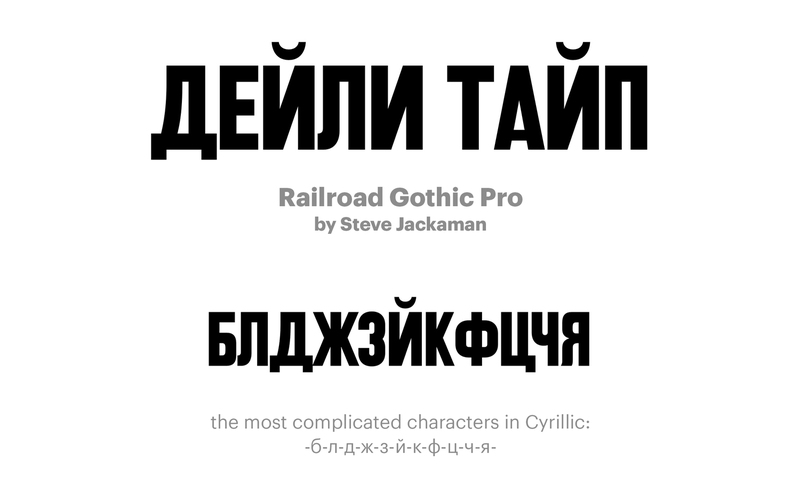 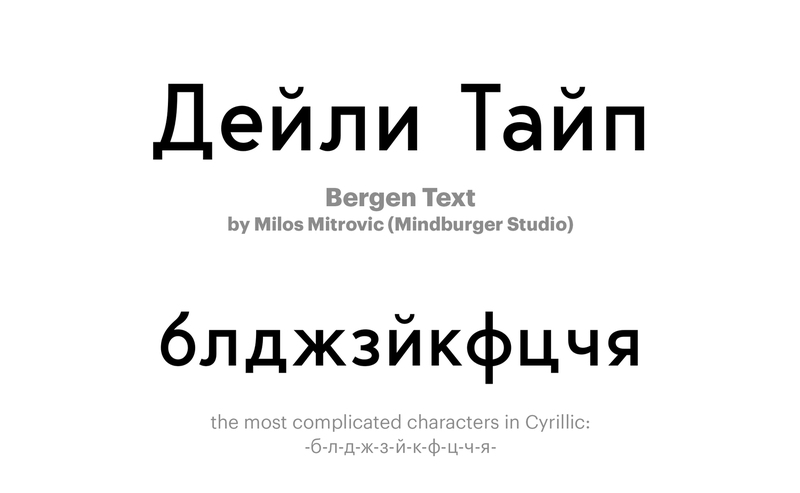 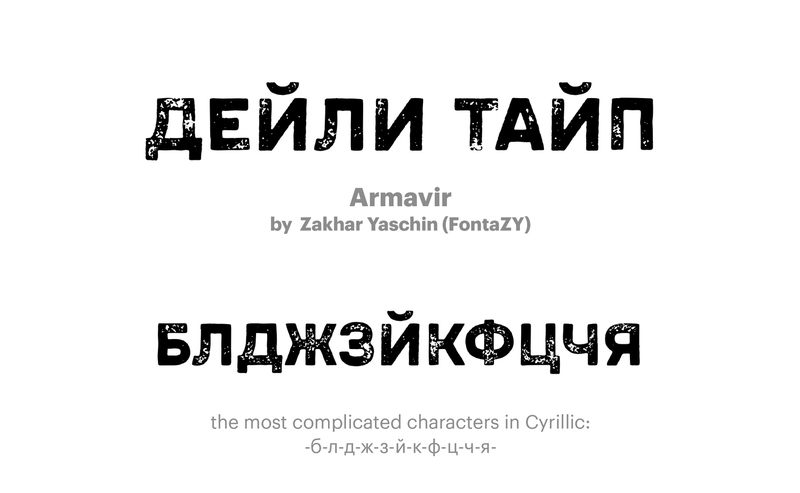 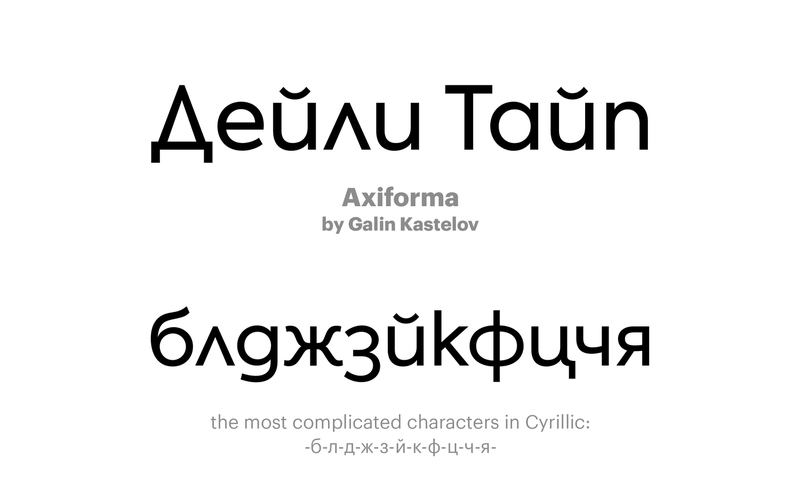 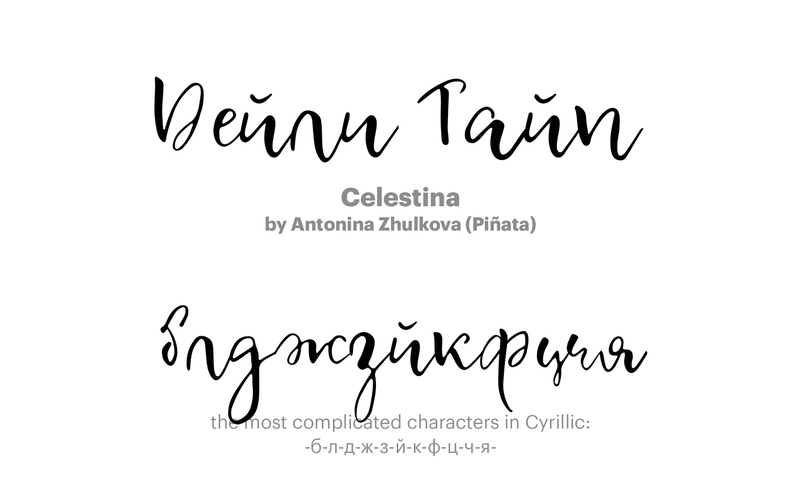 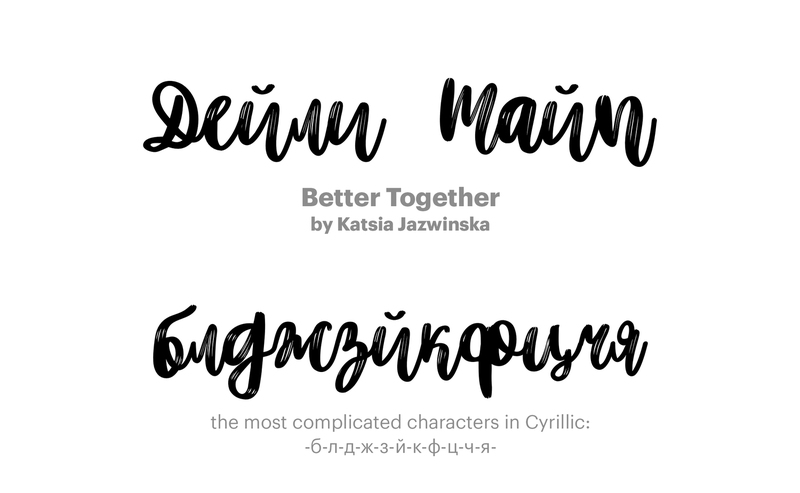 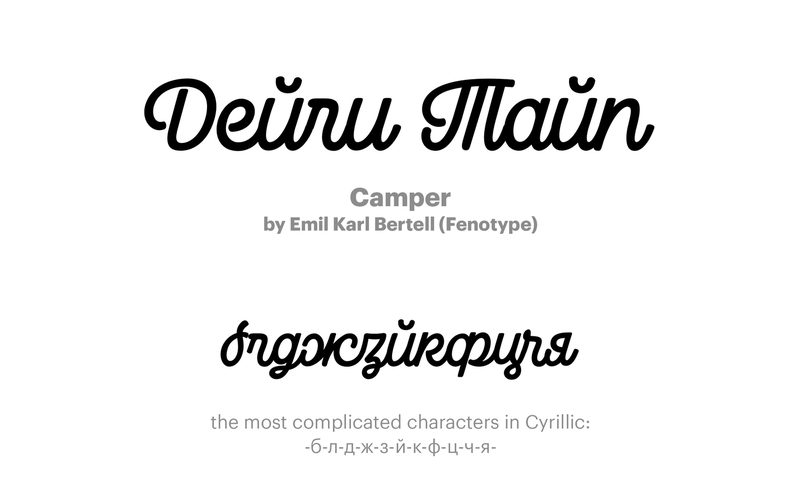 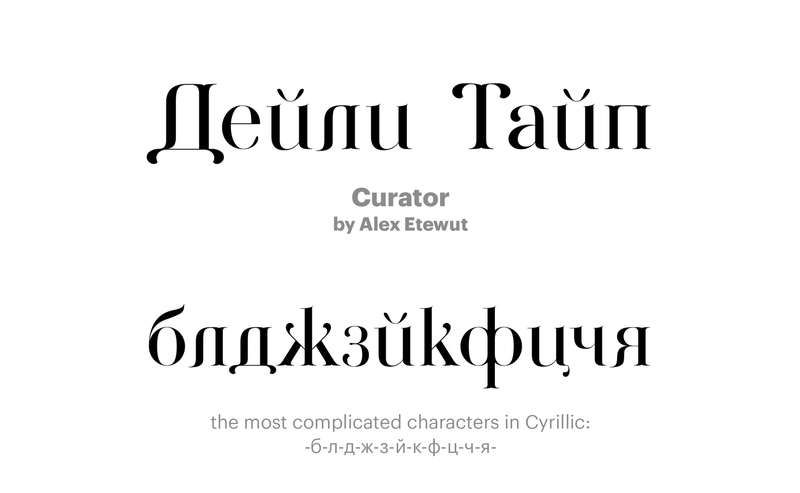 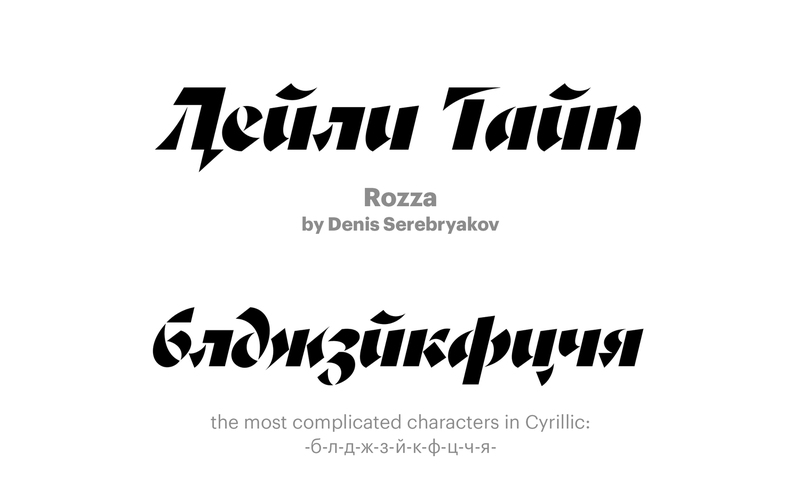 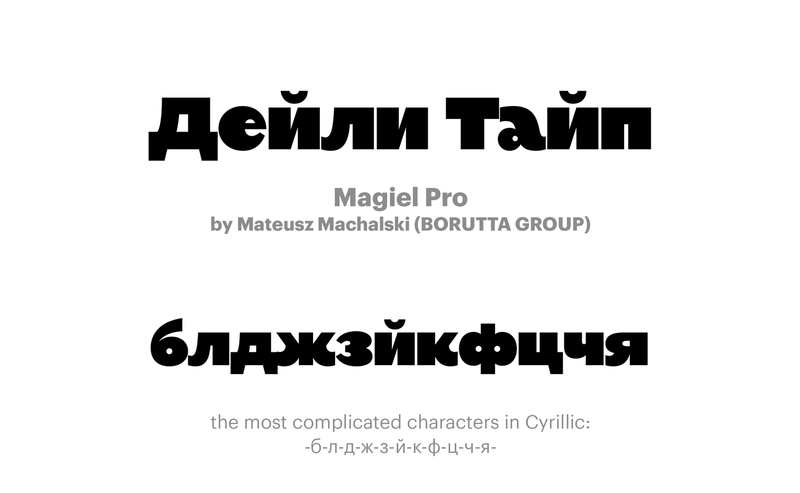 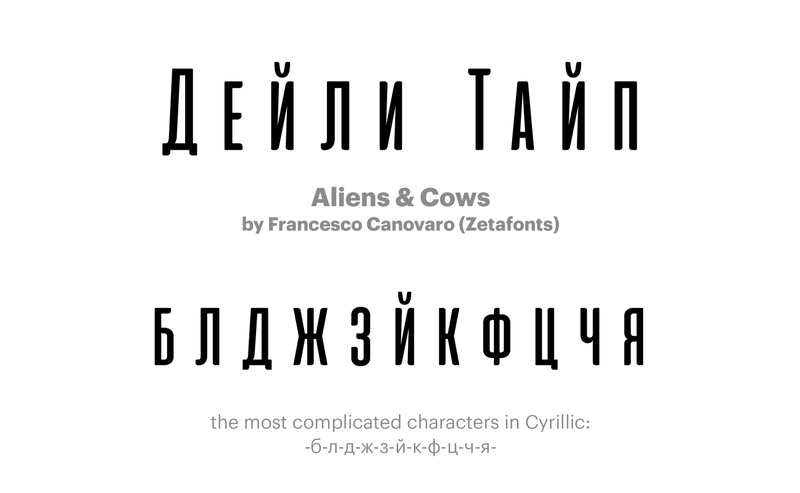 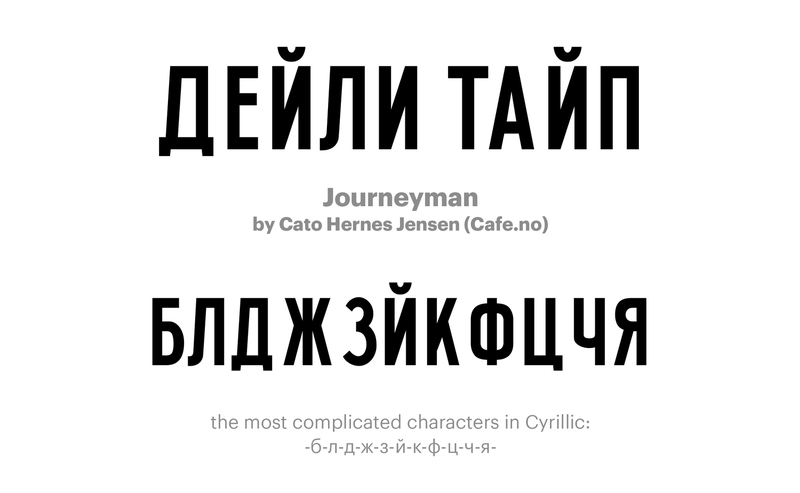 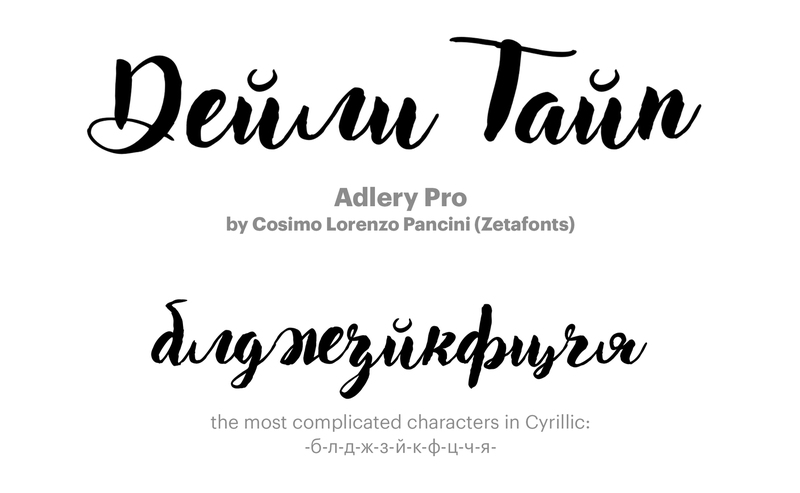 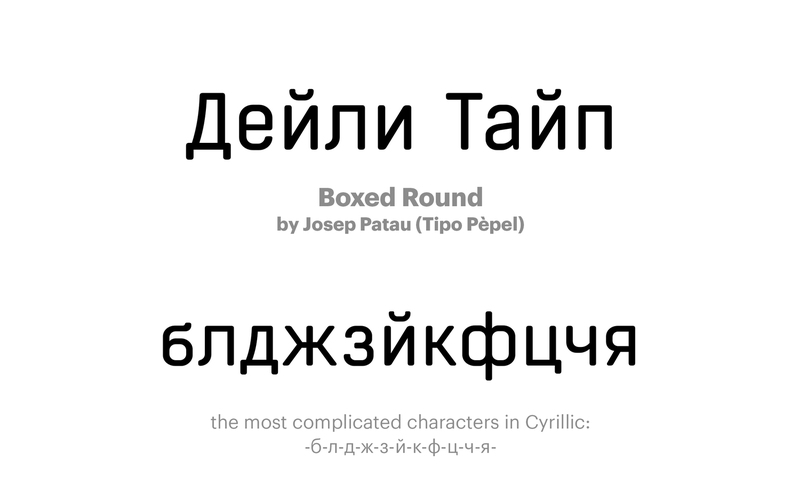 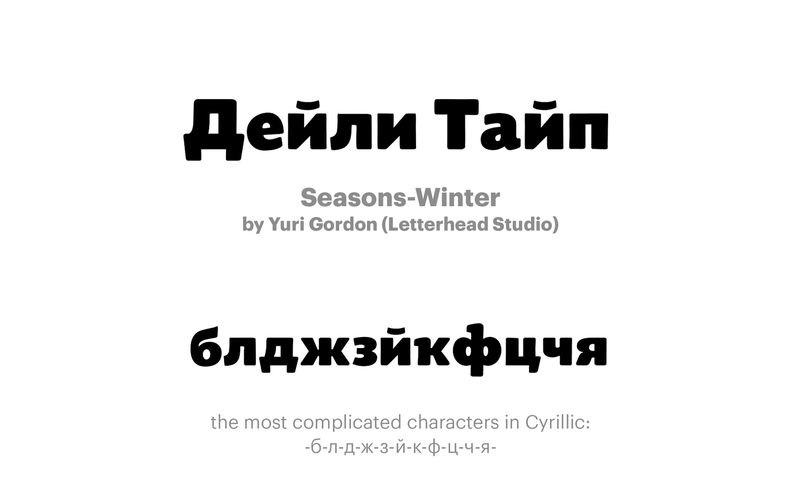 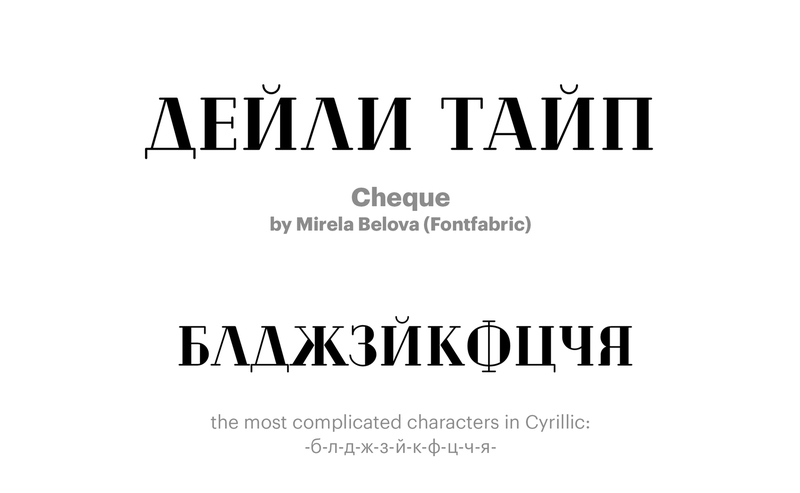 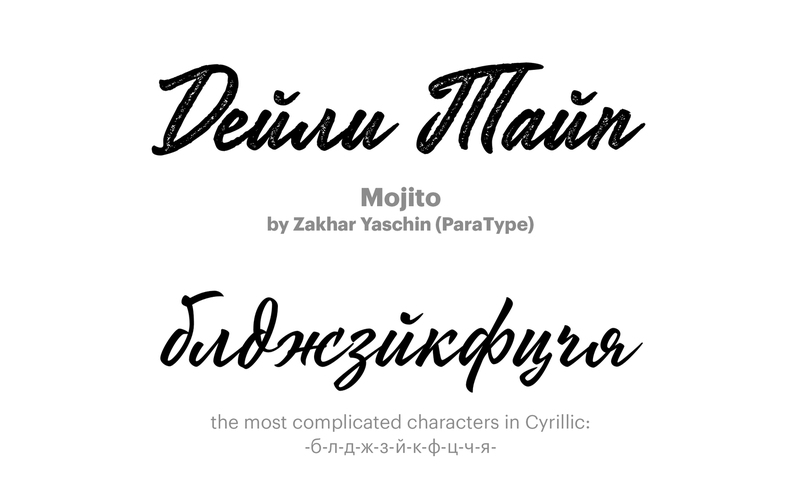 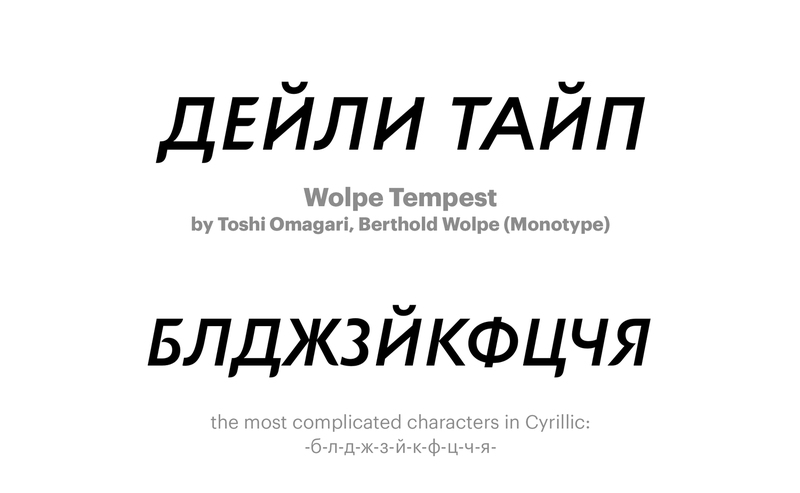 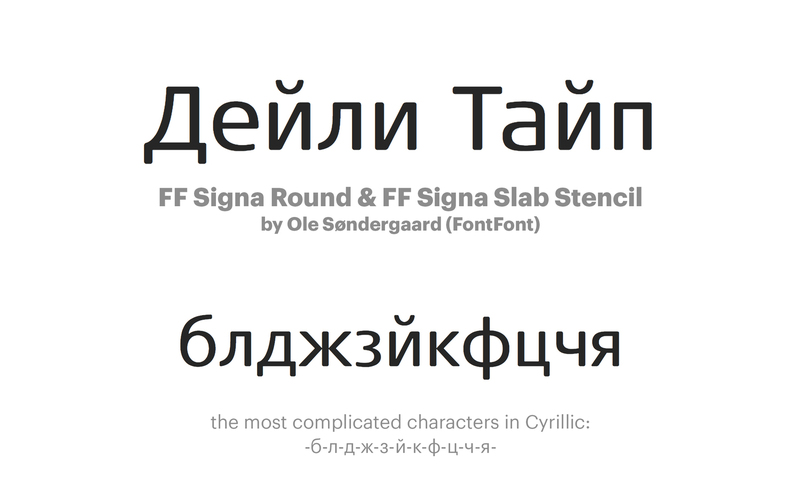 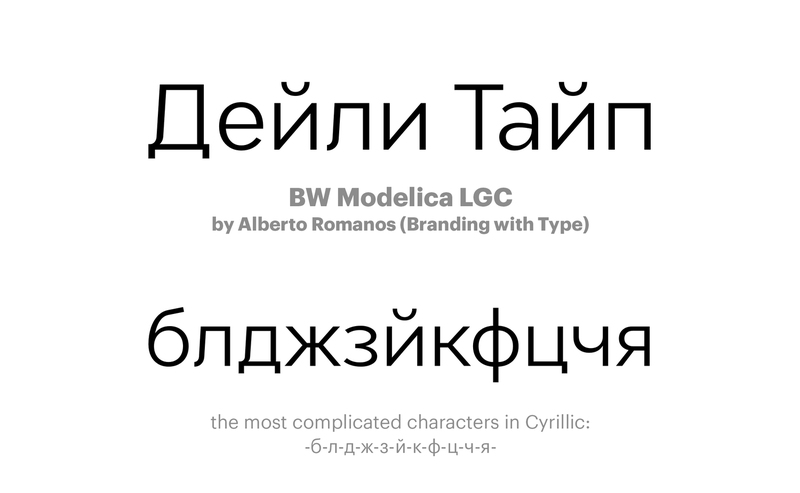 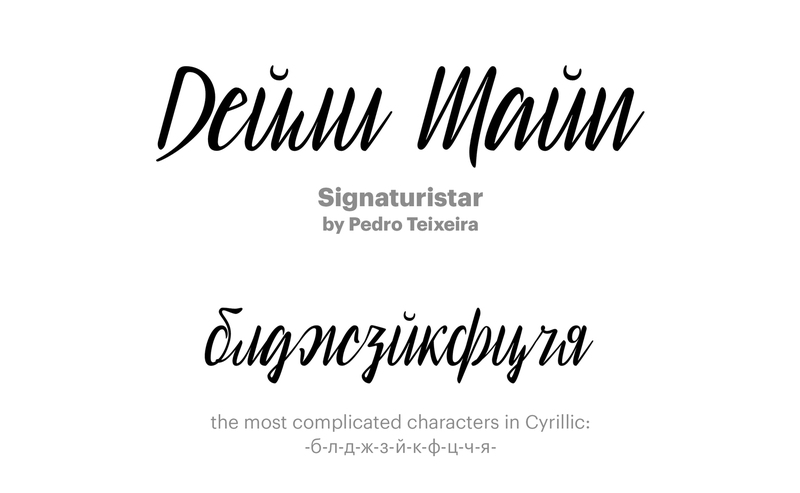 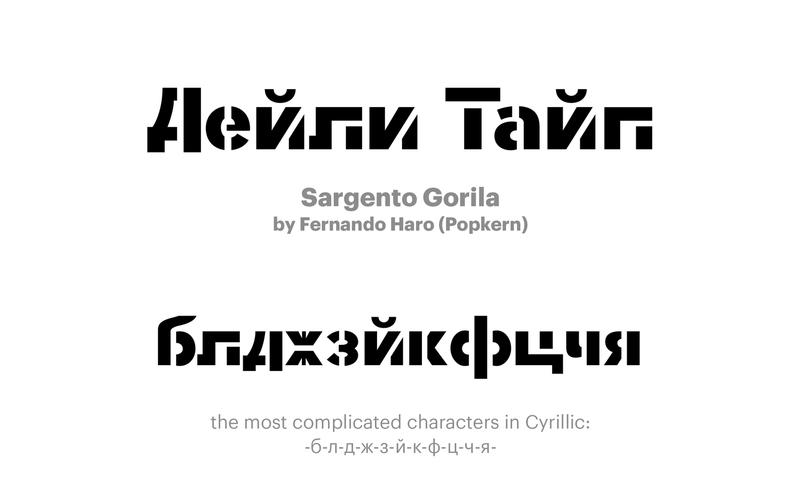 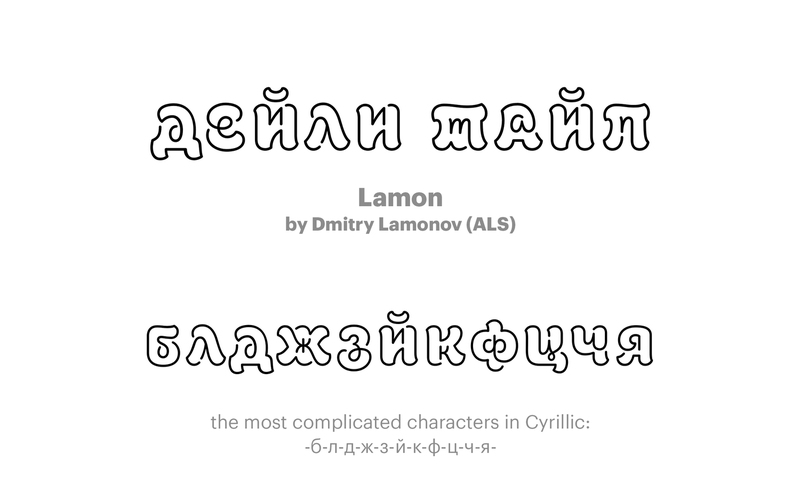 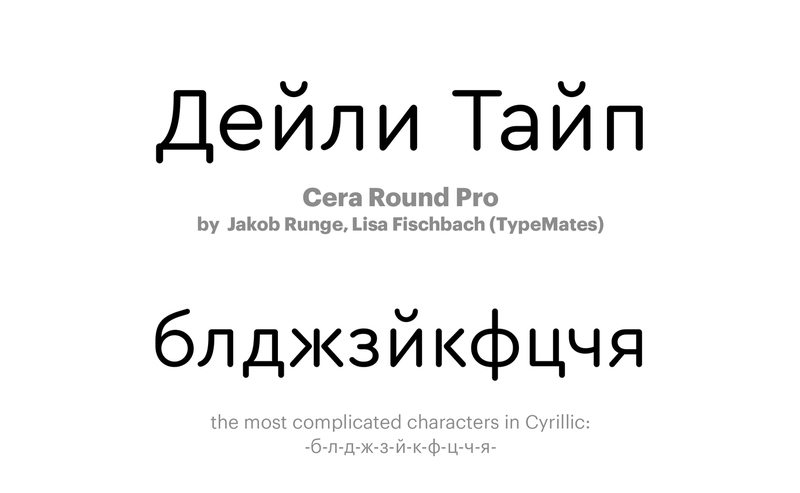 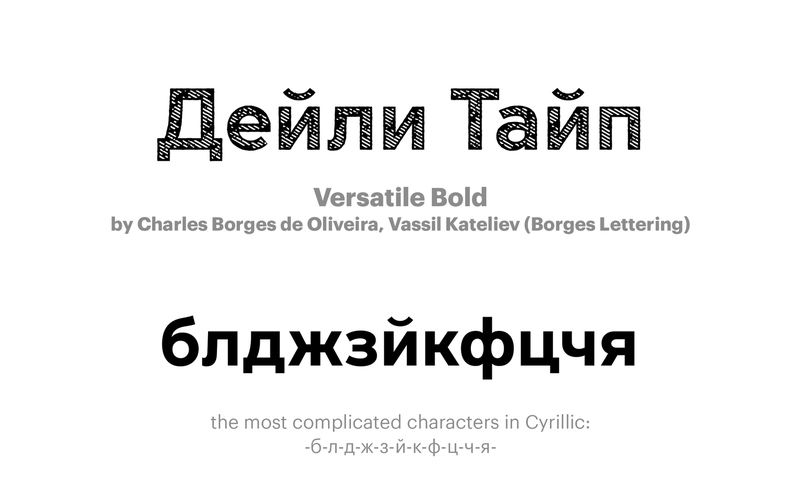 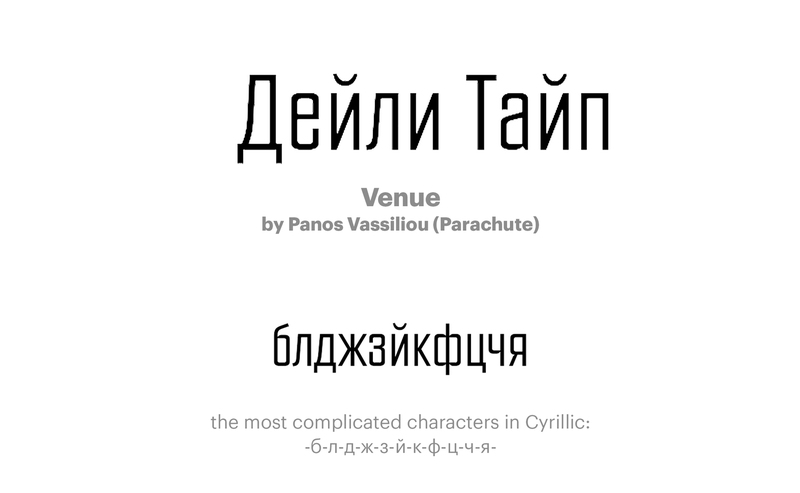 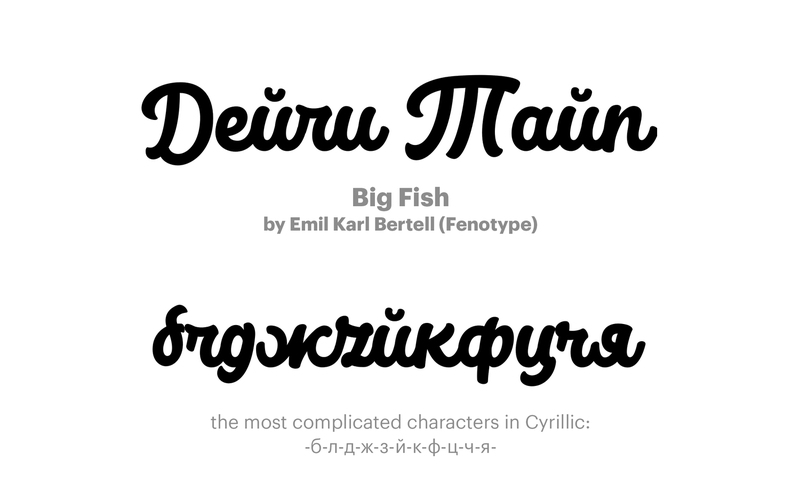 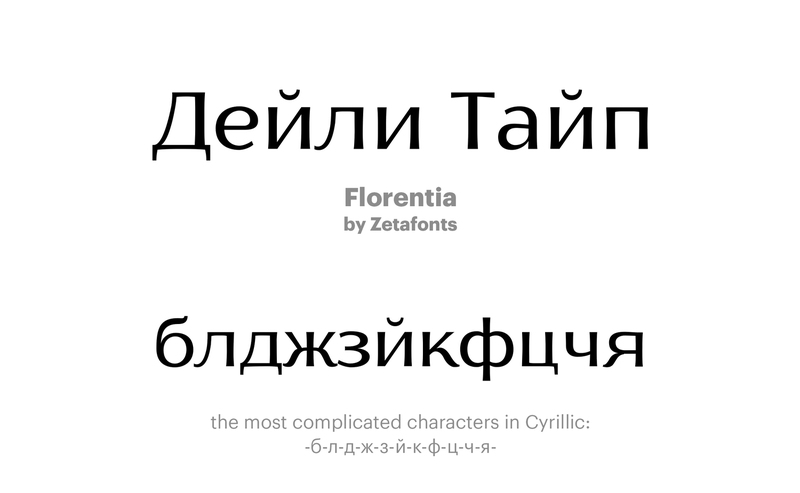 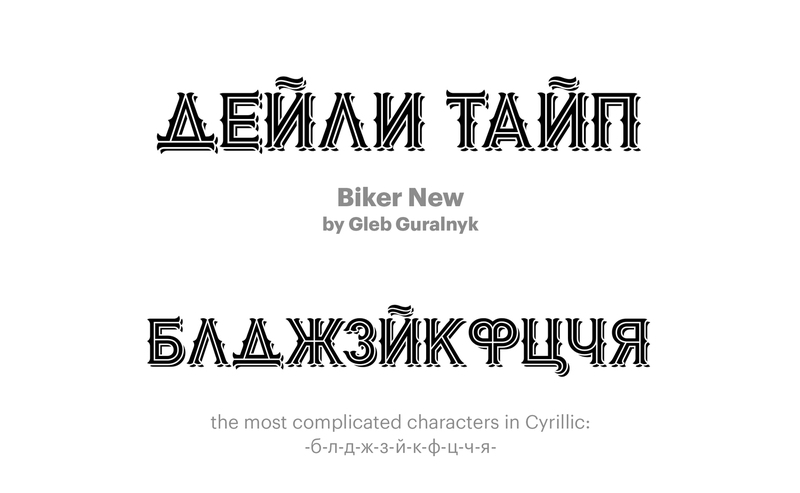 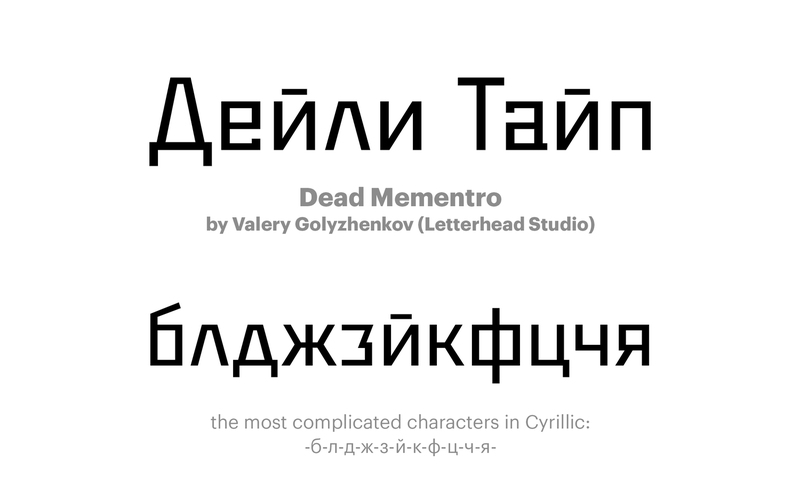 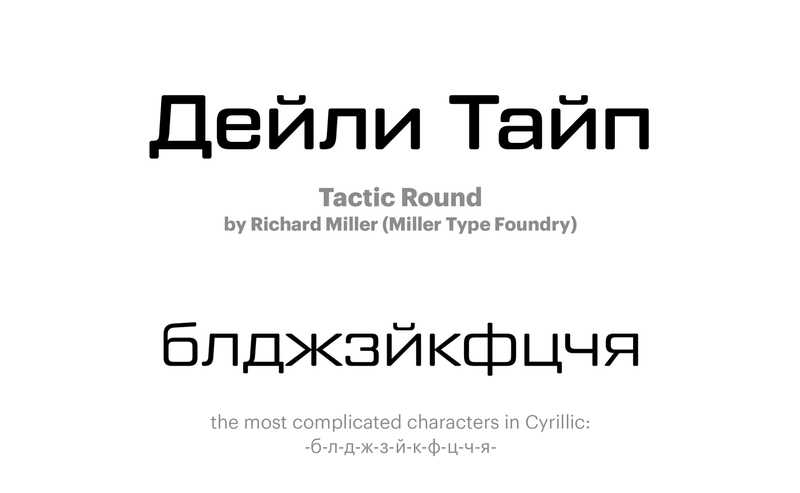 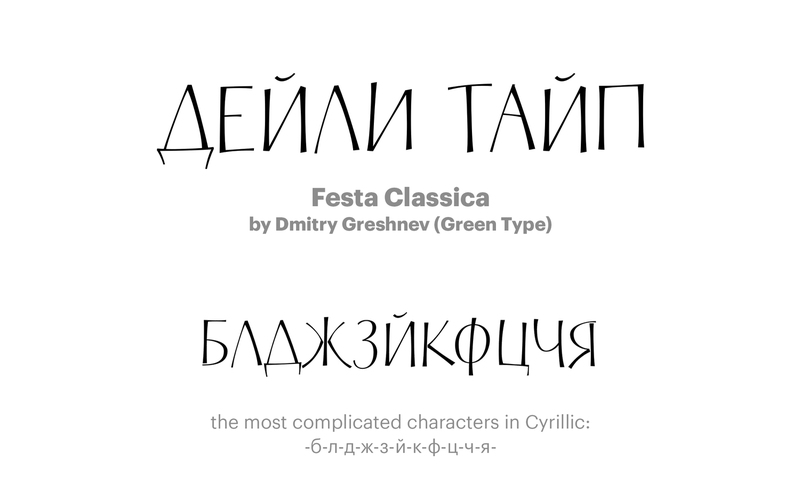 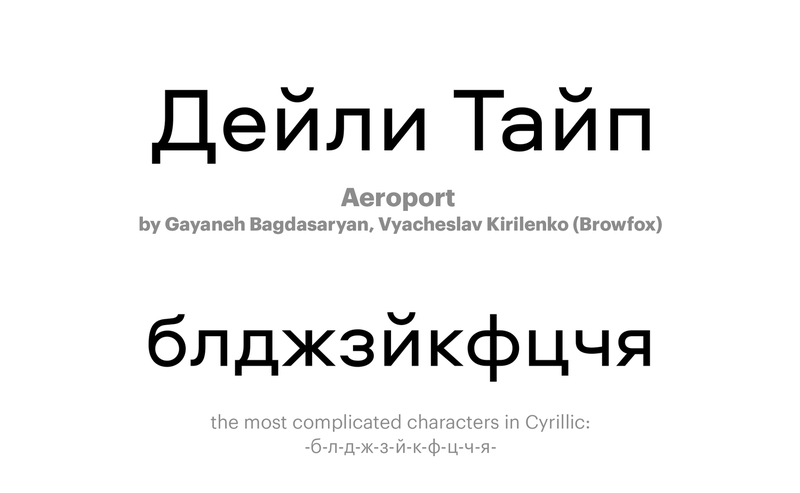 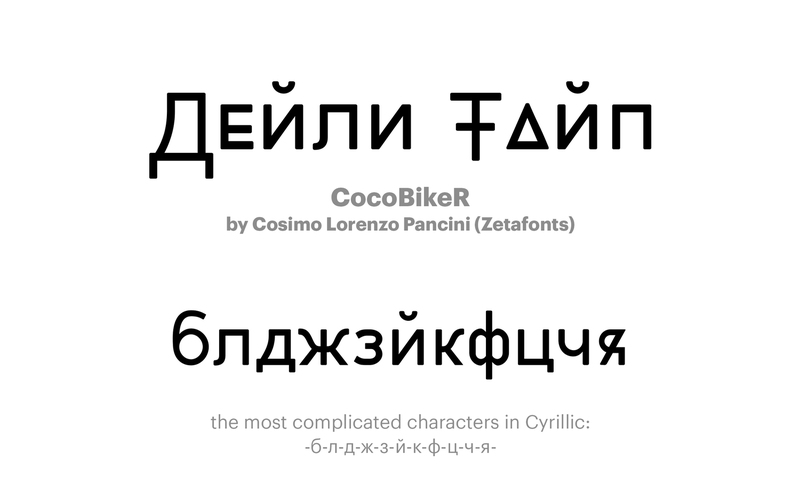 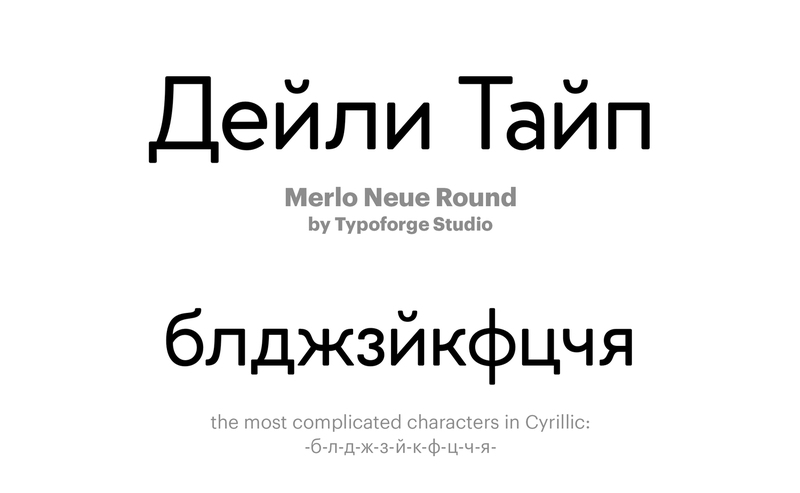 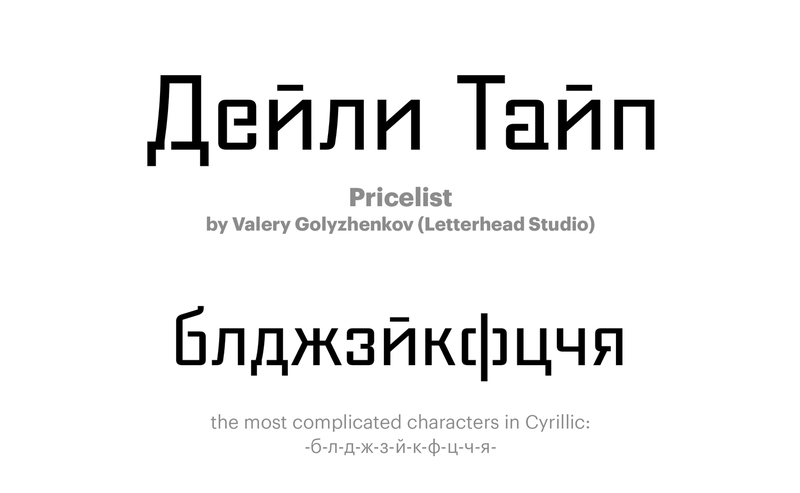 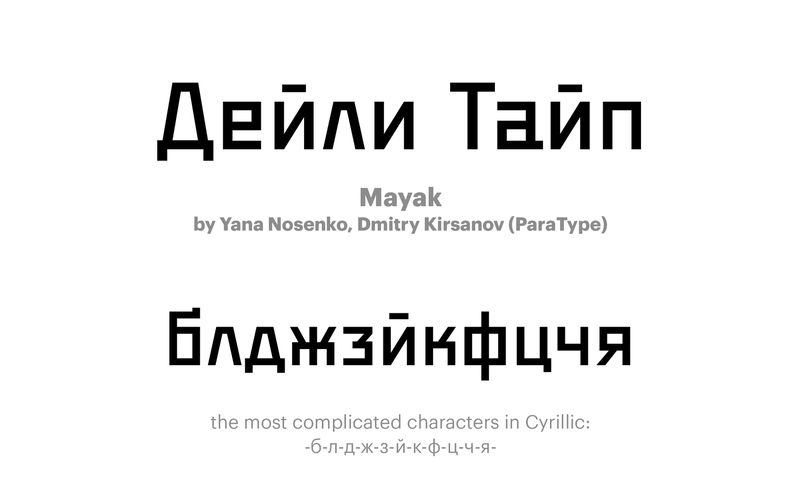 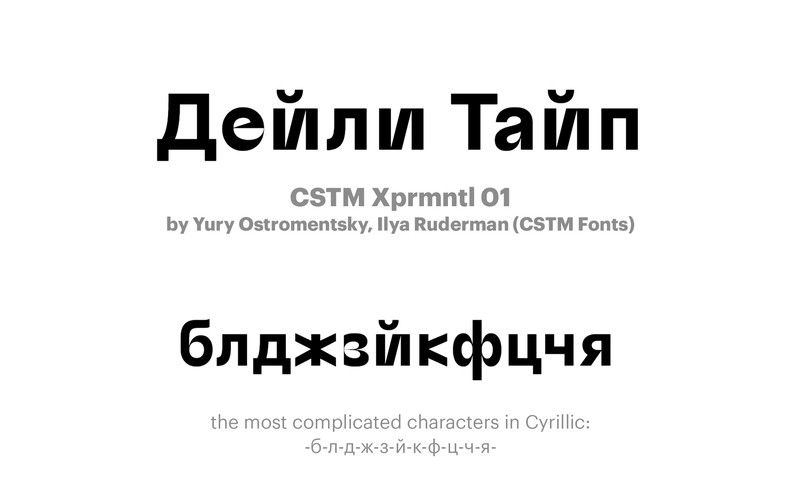 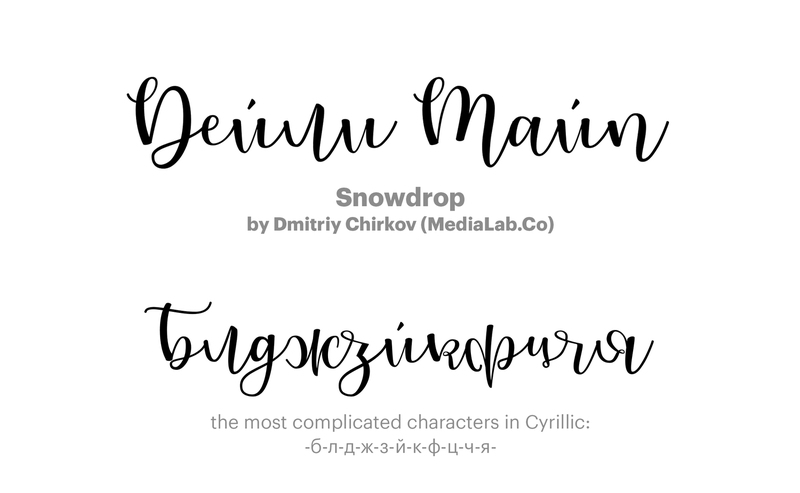 Just like the previous year we publish a list of all Cyrillic typefaces released 2017. 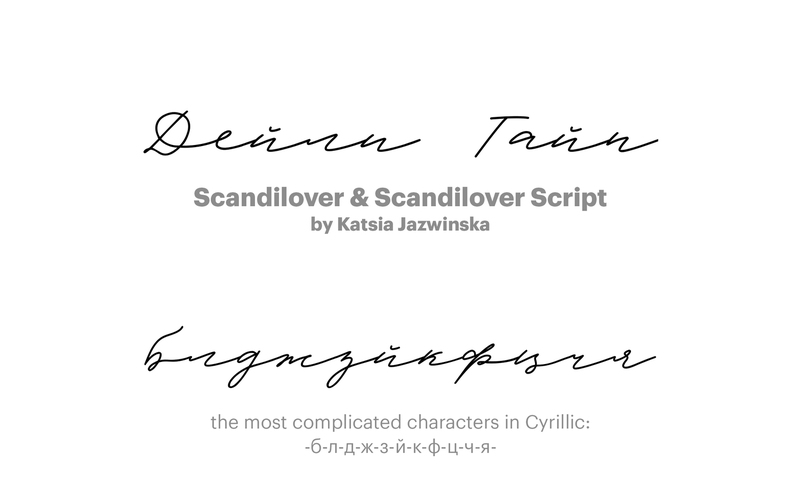 This list was made together with “Typejournal.ru”, and personally Anastasia Minasova, Ali Sadretdinova, Misha Beletsky, Valery Golyzhenkov and Evgeny Grigoriev. 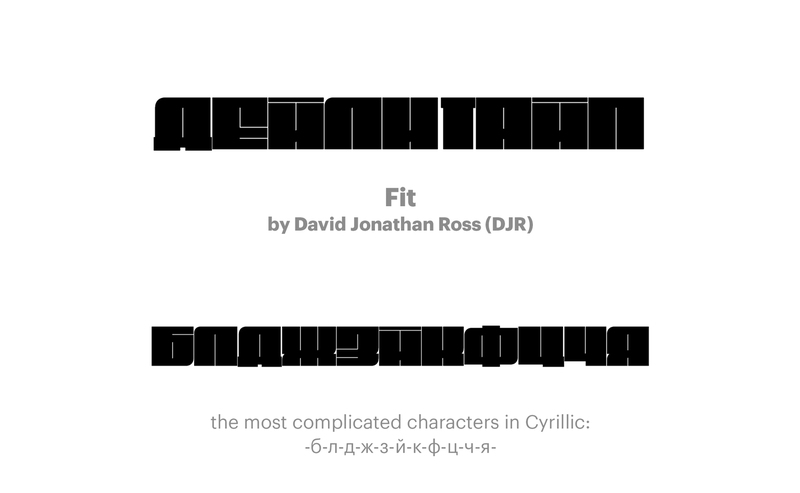 Great thanks to everyone involved. 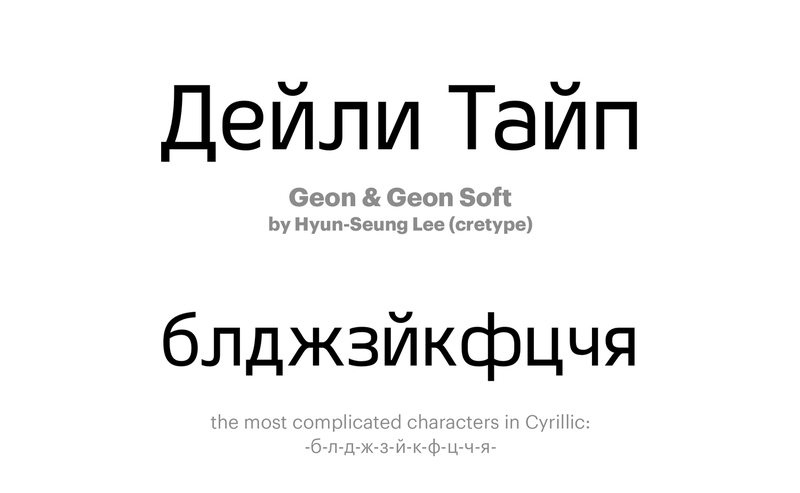 Please use the fonts from last two groups very carefully. 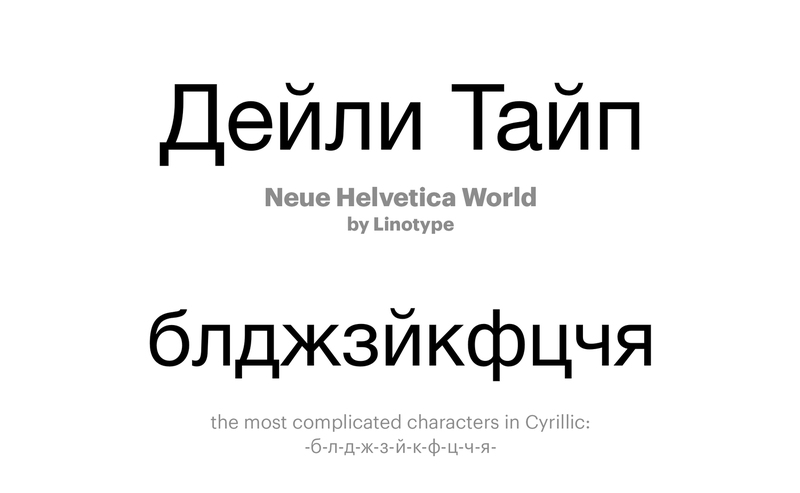 Even we believe that there is no such thing as “bad typeface”. 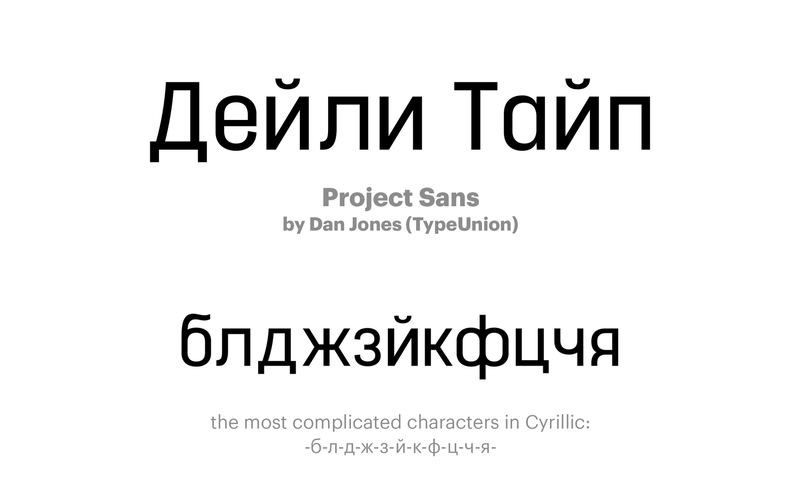 We can imagine a design in which the most “awful” font may complete the project better than any other perfect one. 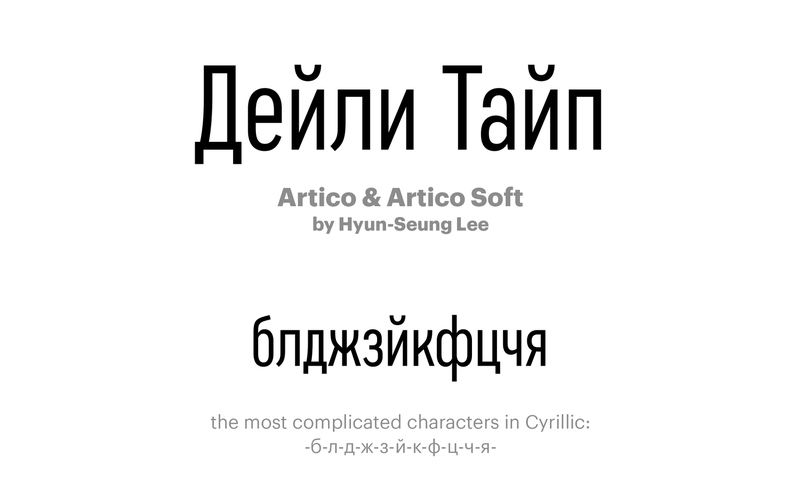 Just be careful, that’s all. 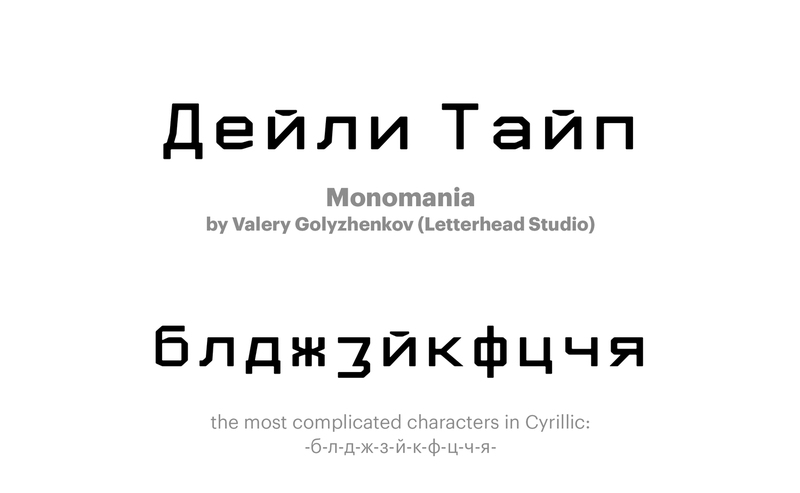 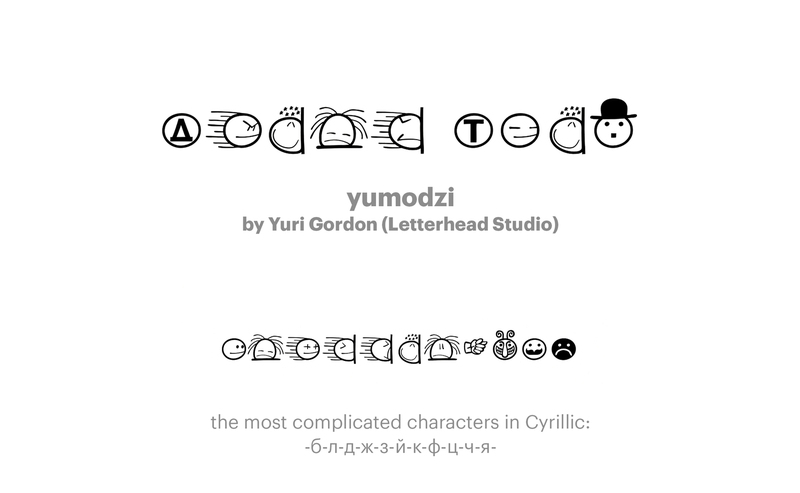 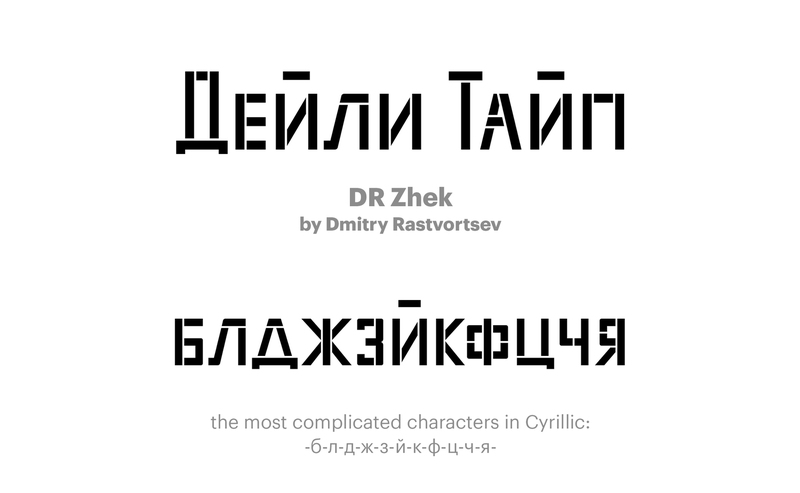 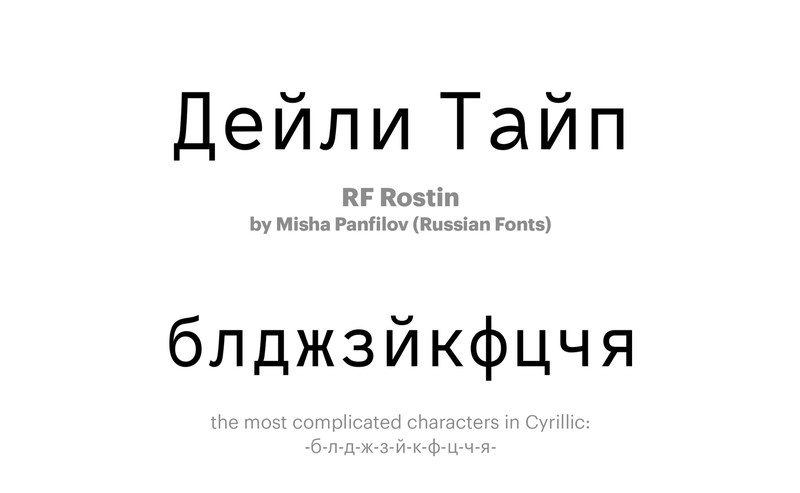 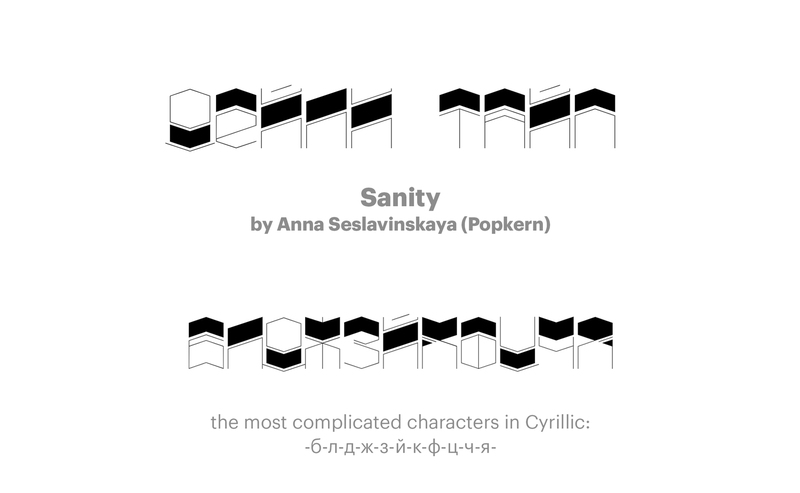 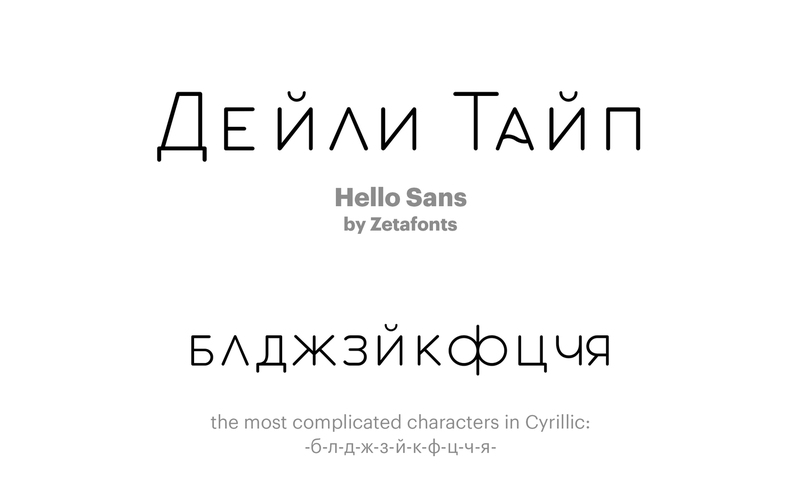 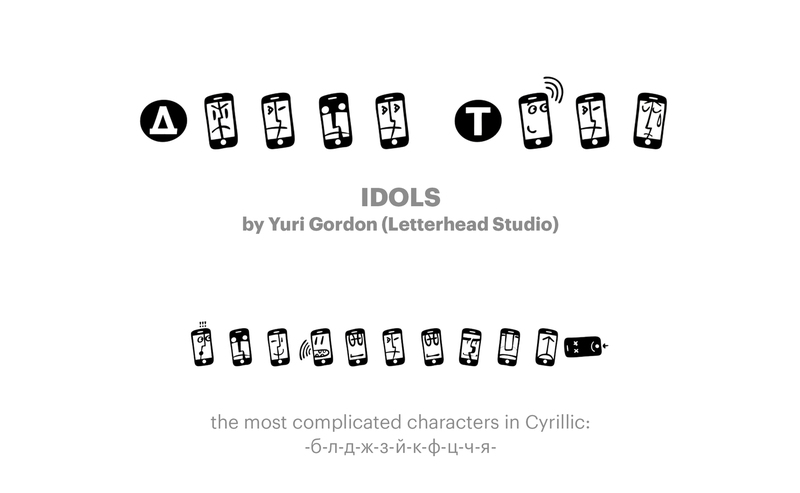 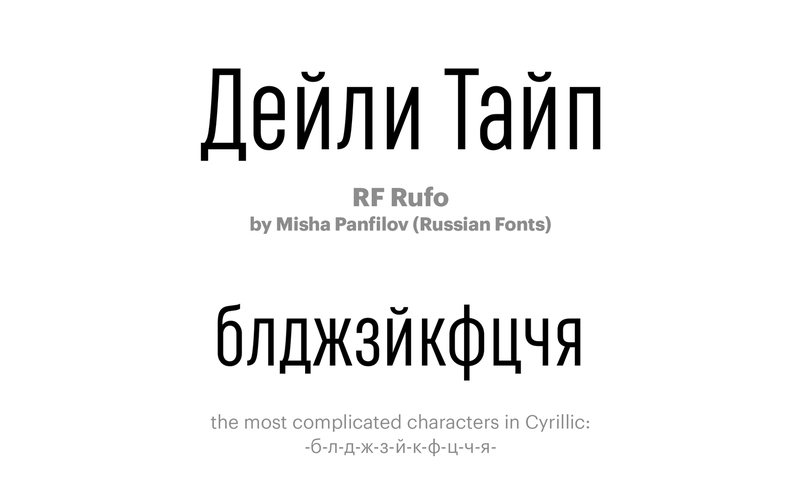 So, there were 100 fonts with Cyrillic in 2016, this year’s list counts 221 typefaces. 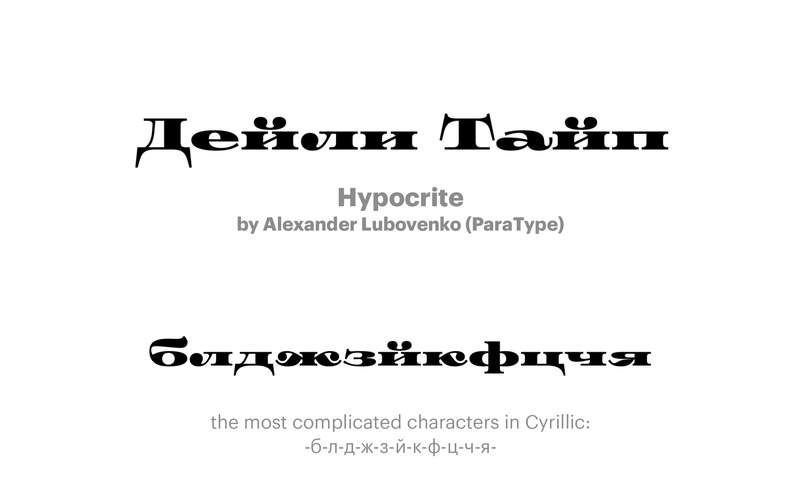 Sounds good, isn’t it? 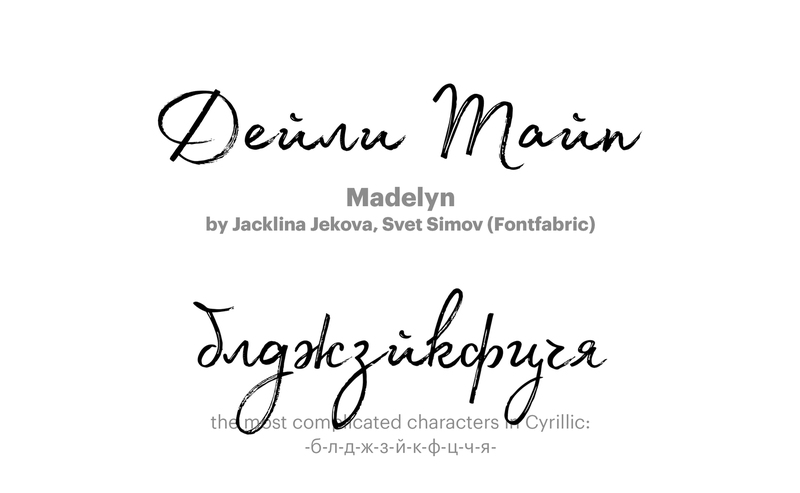 Though the quality might be higher. 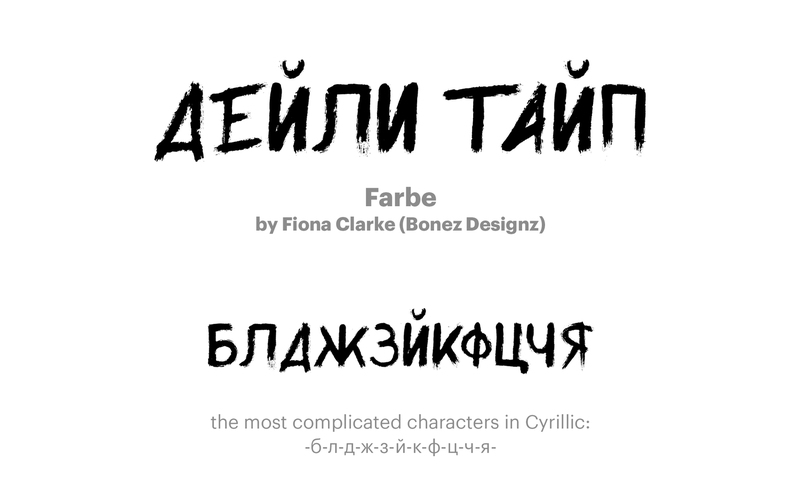 But that’s coming. 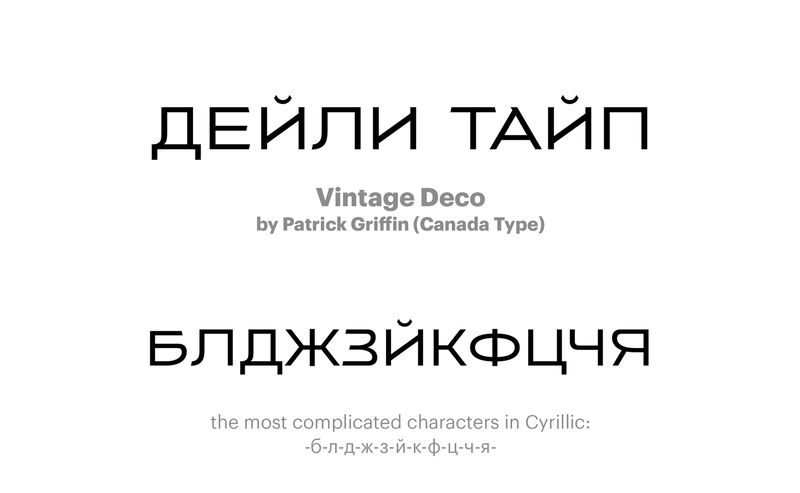 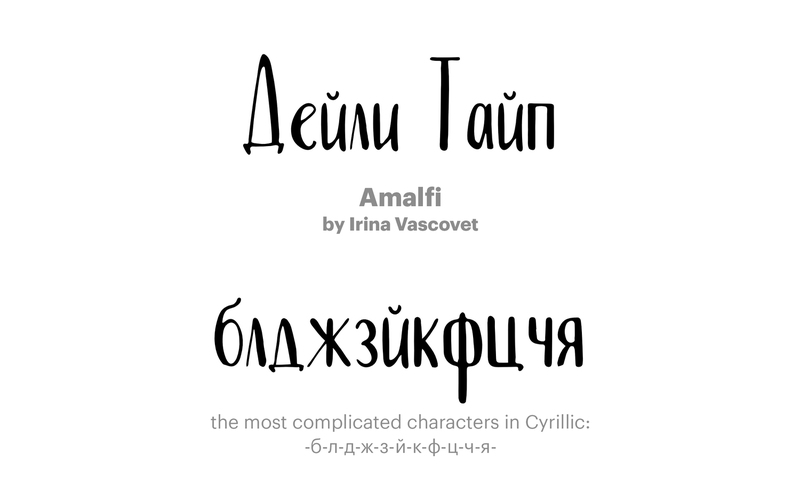 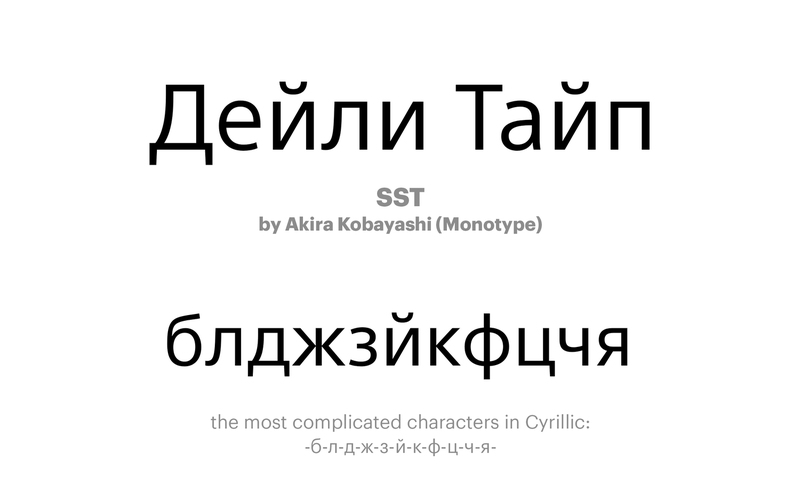 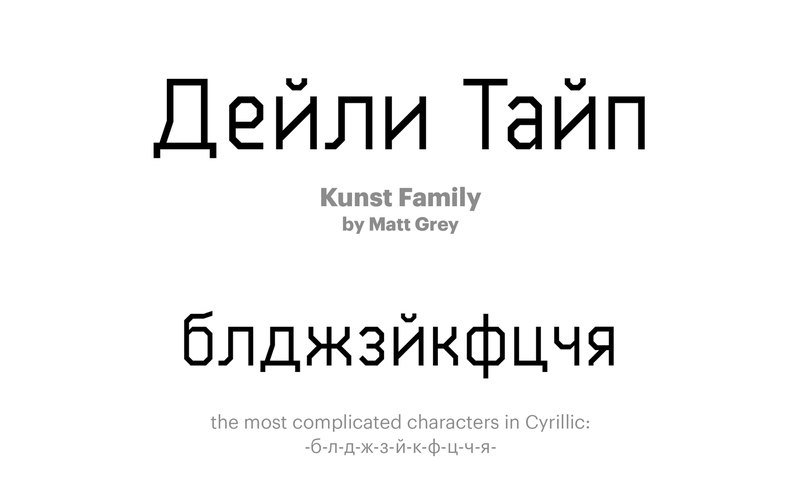 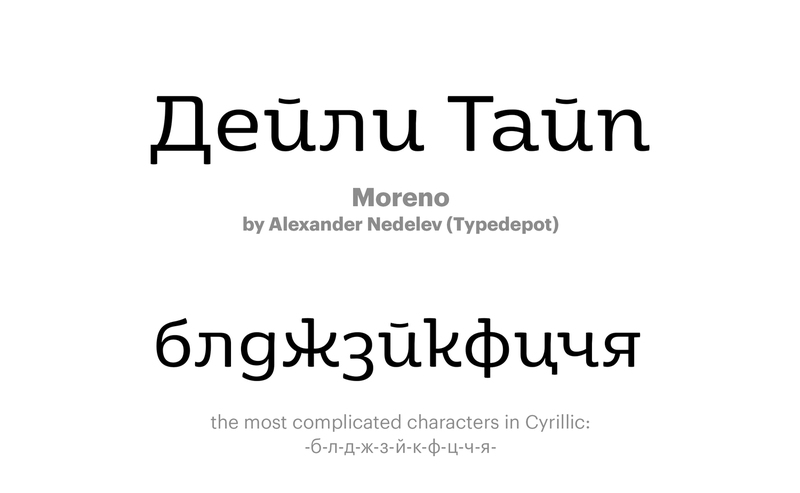 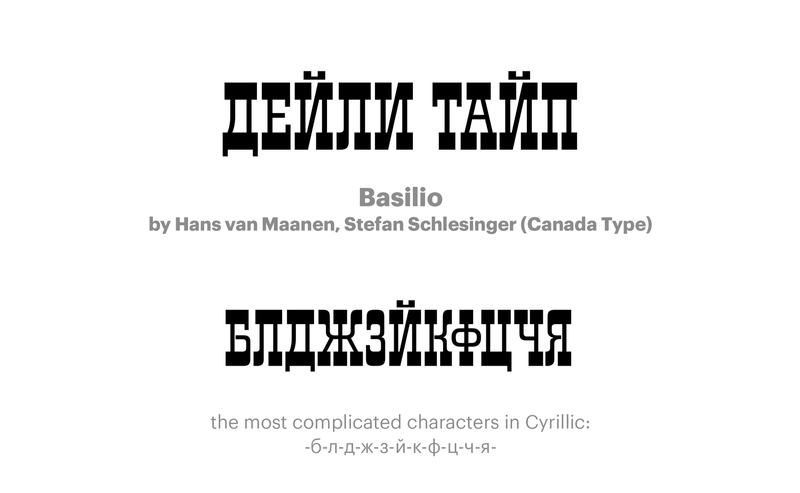 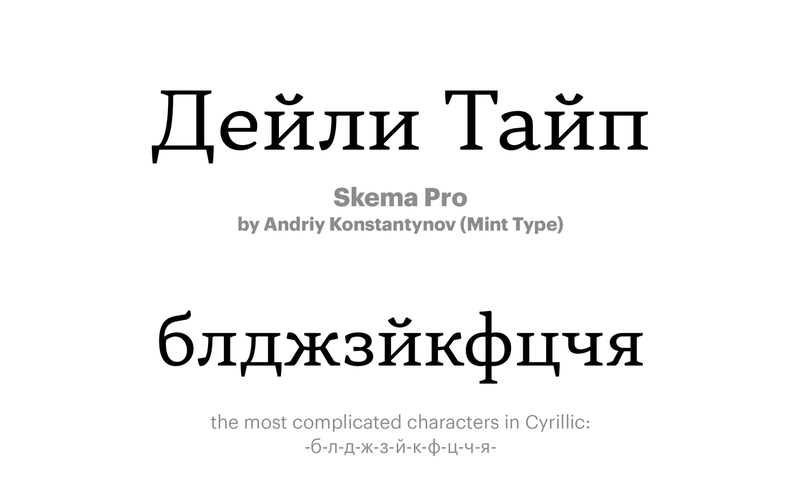 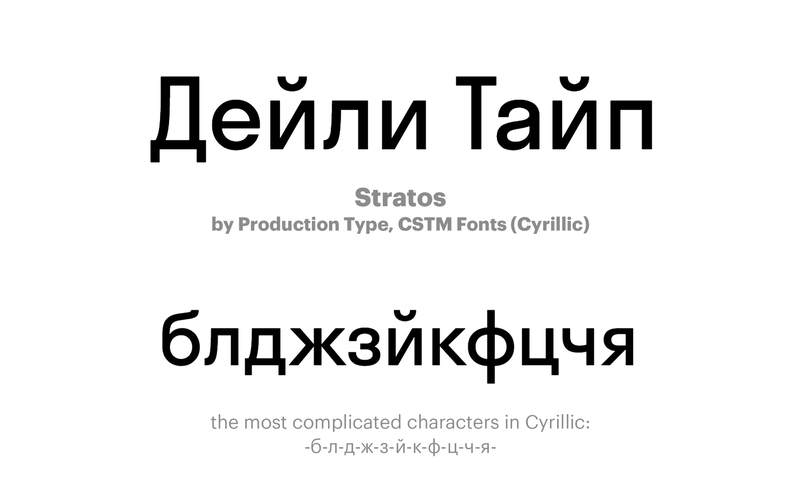 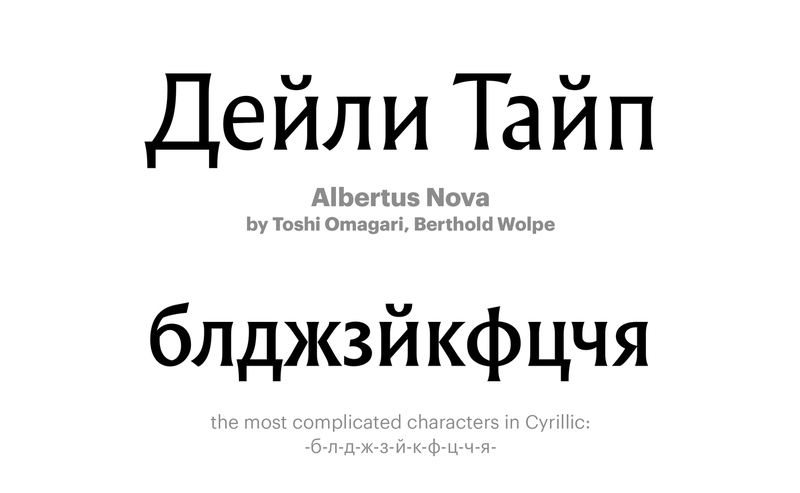 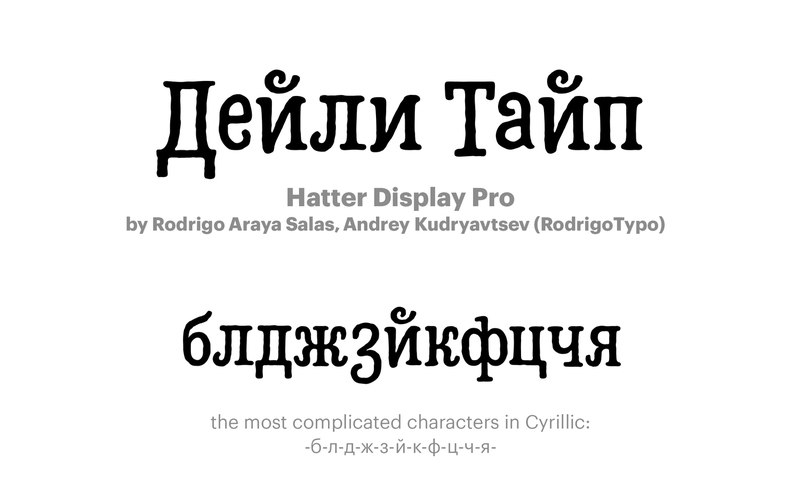 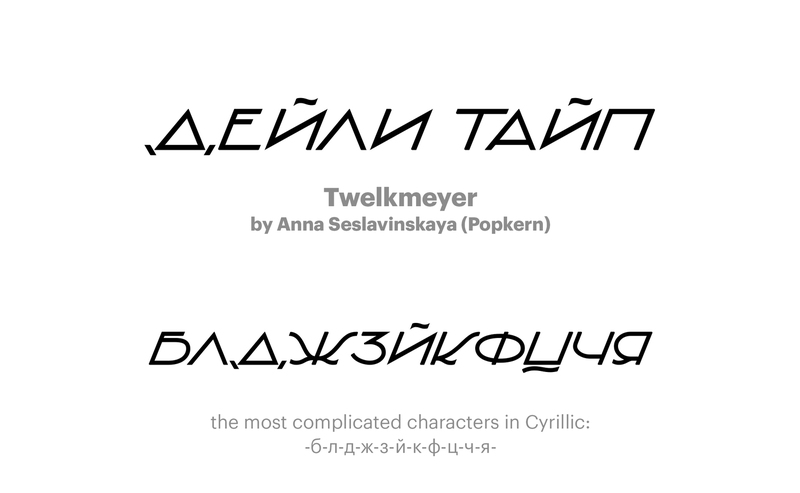 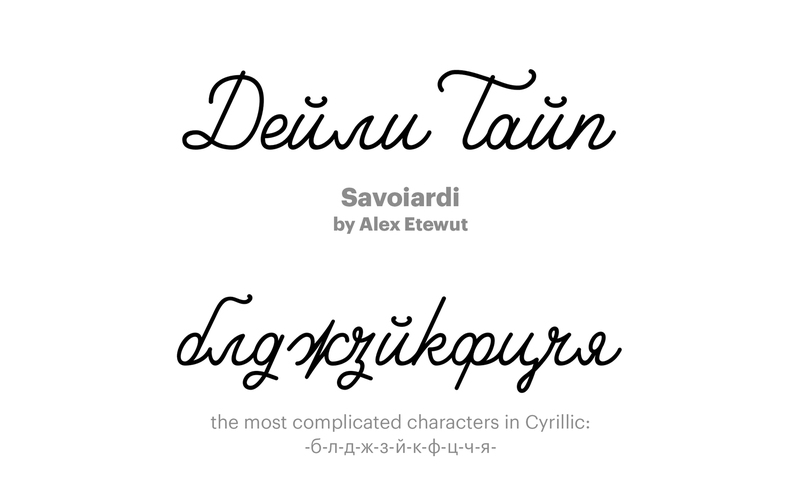 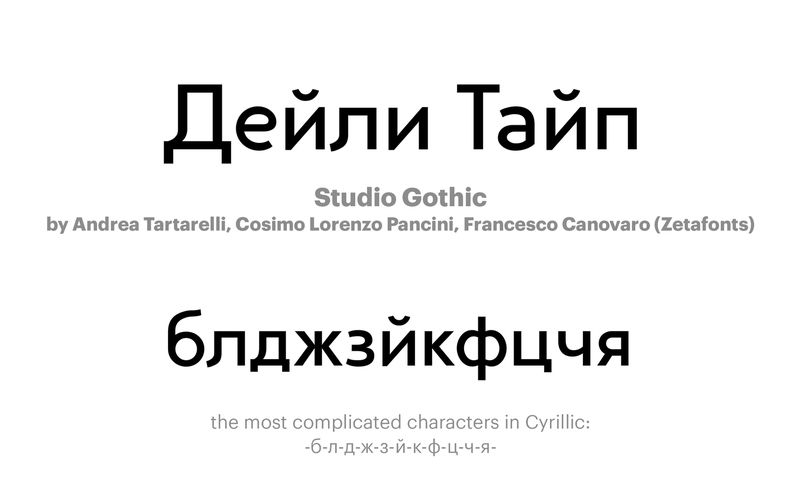 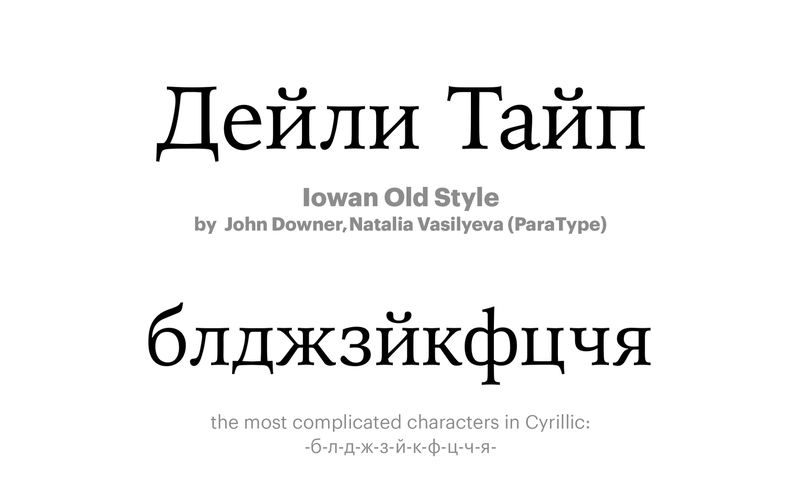 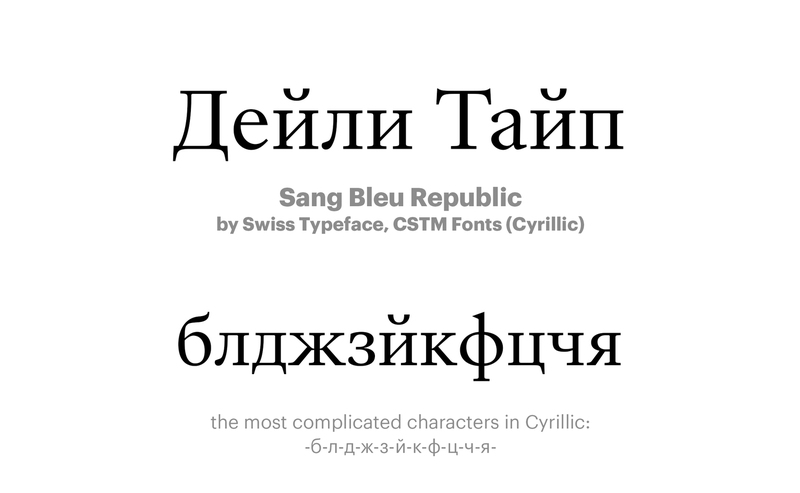 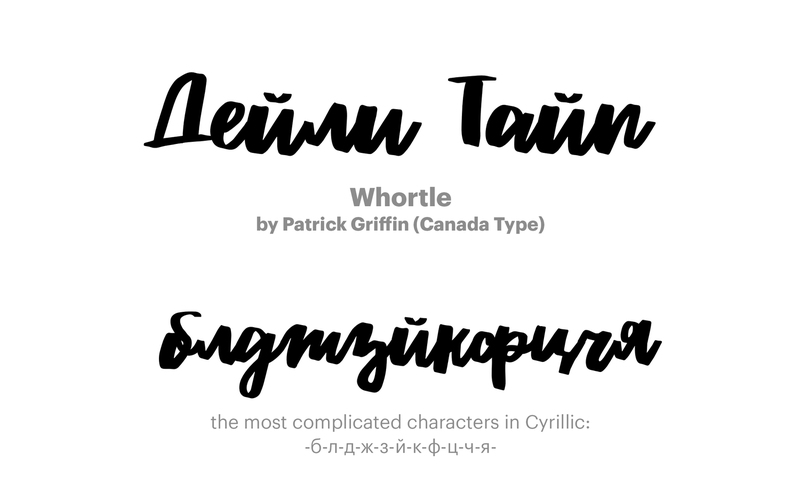 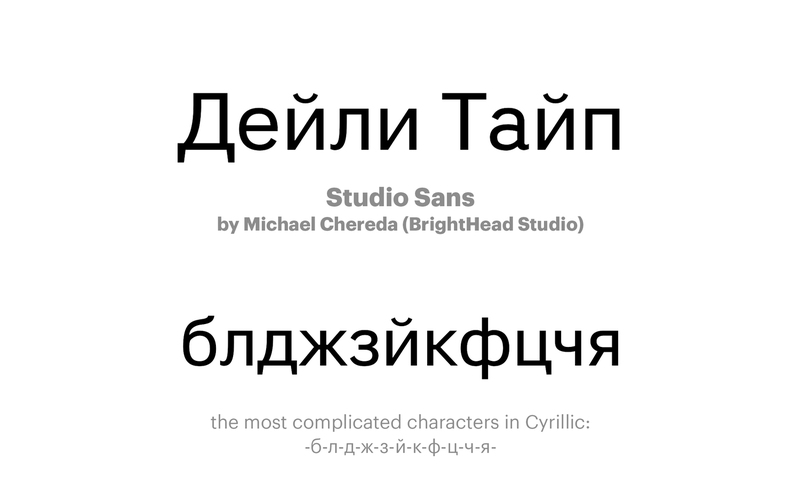 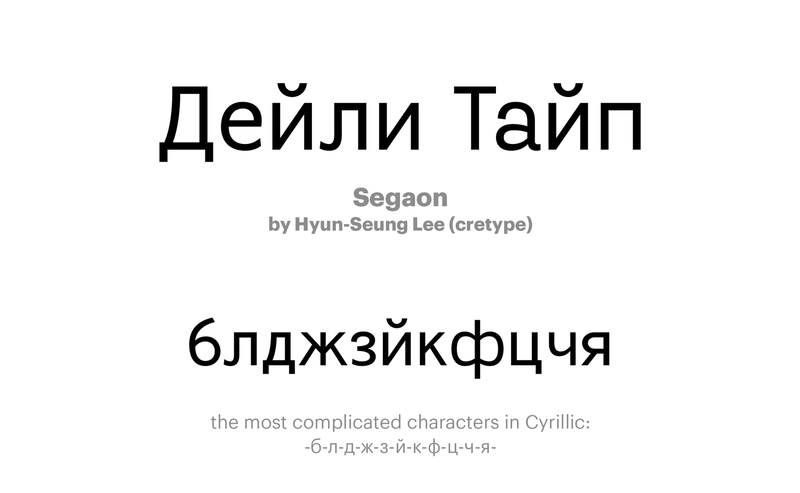 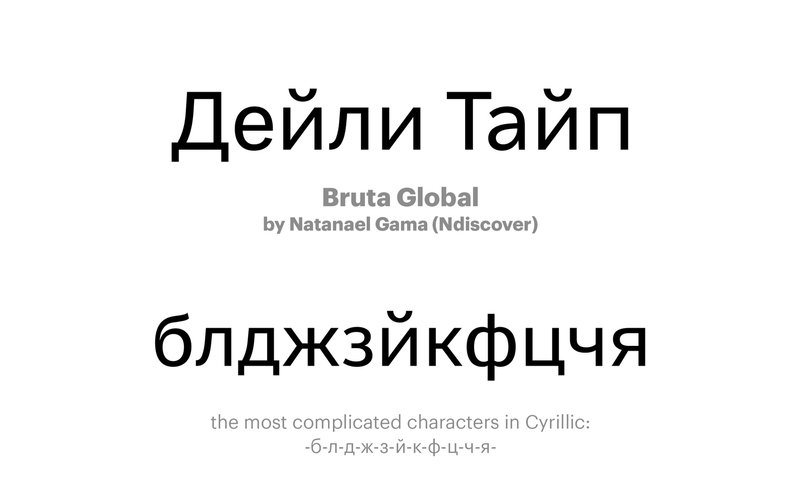 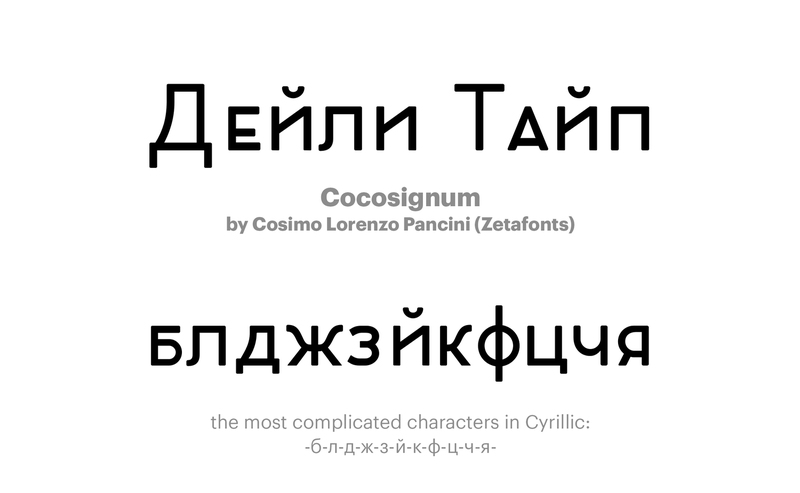 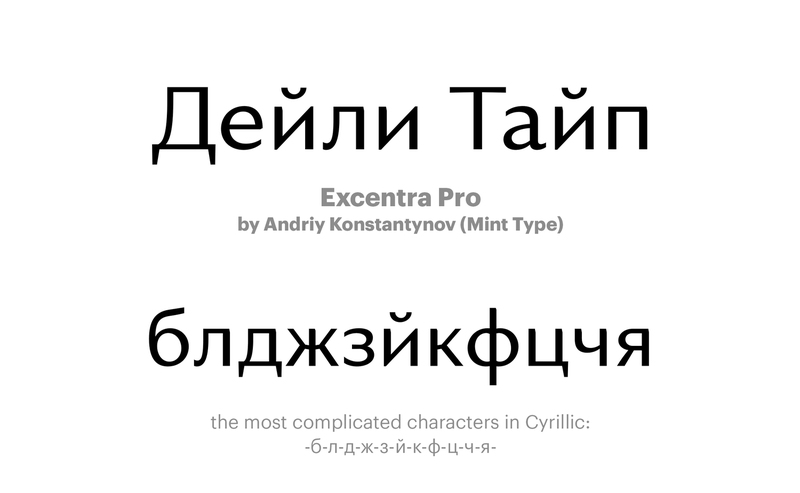 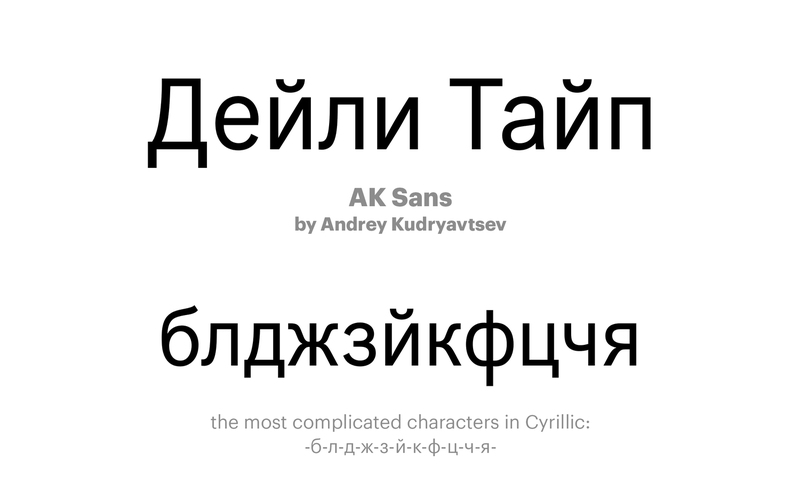 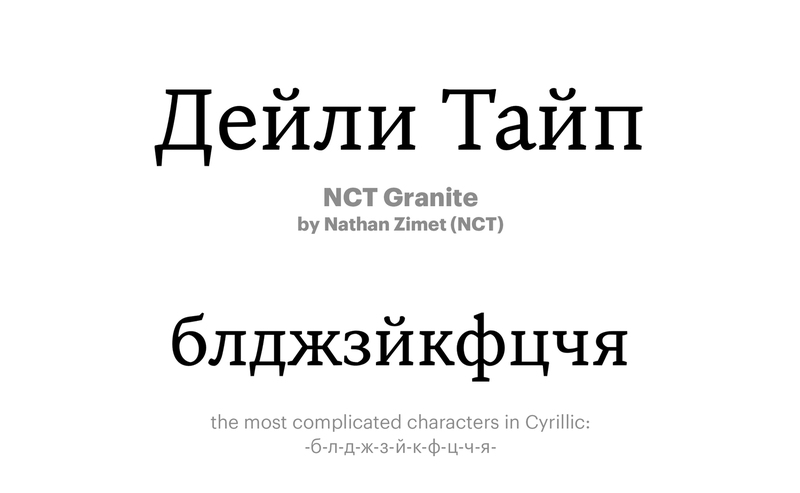 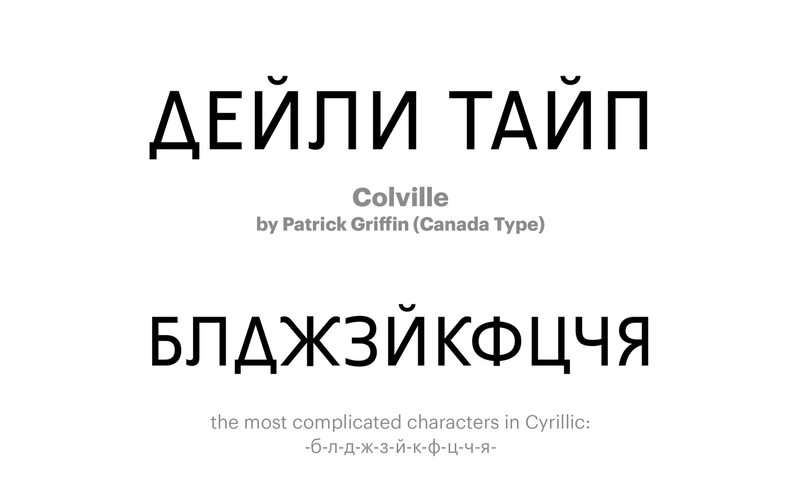 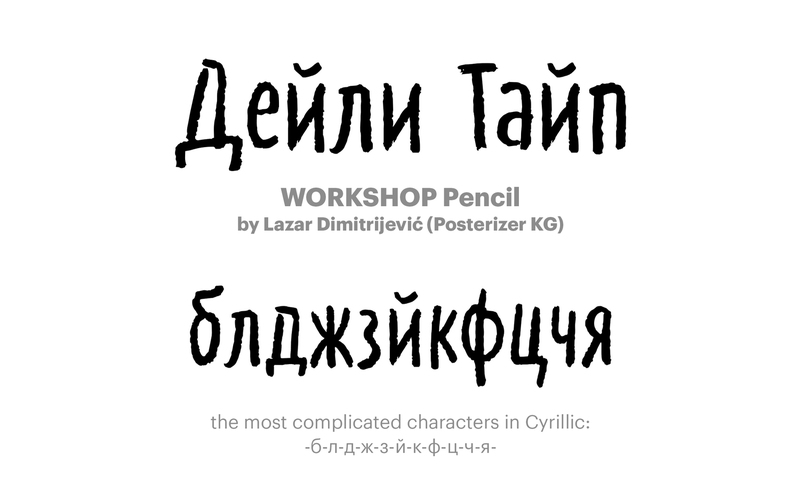 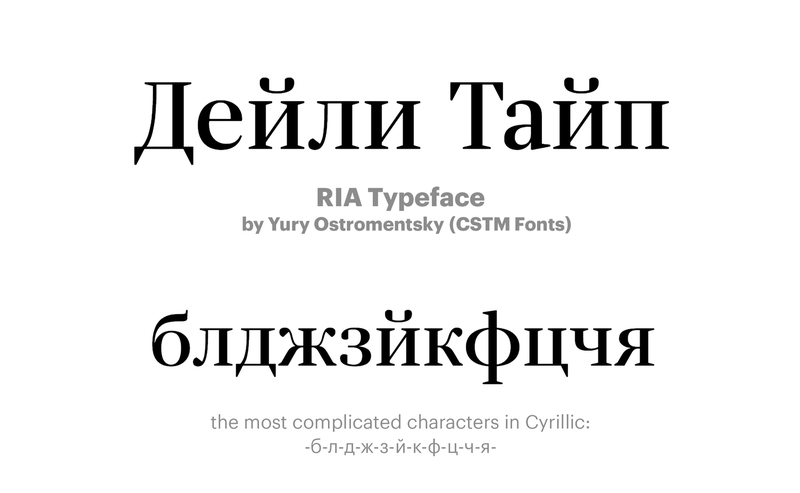 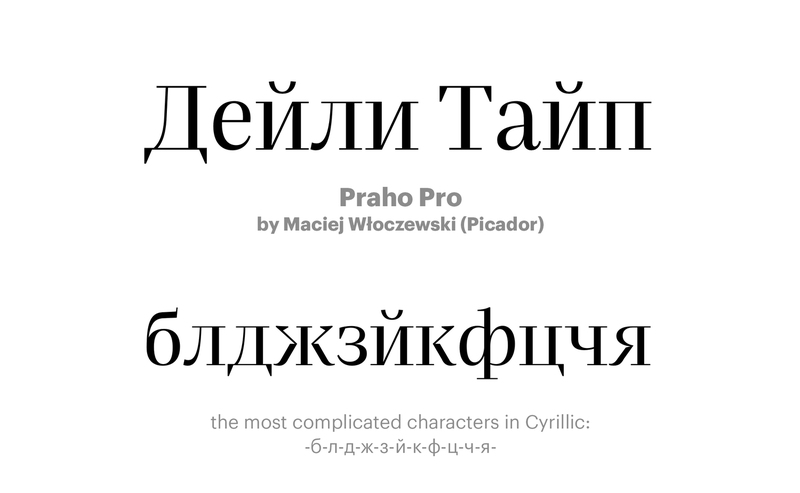 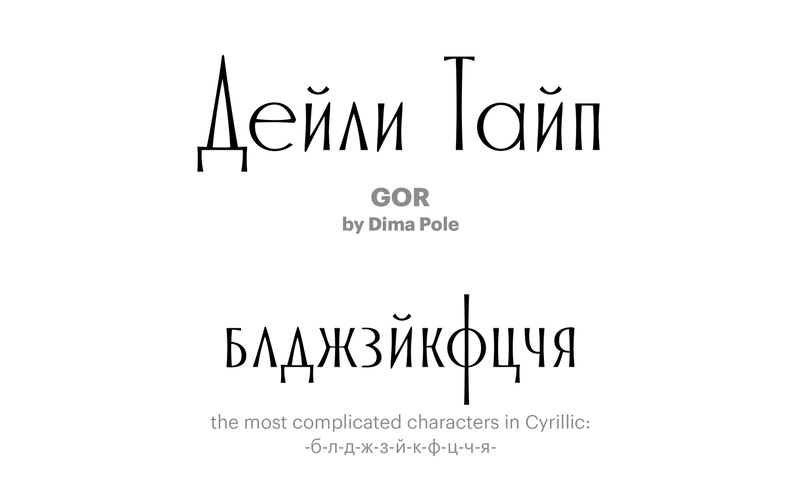 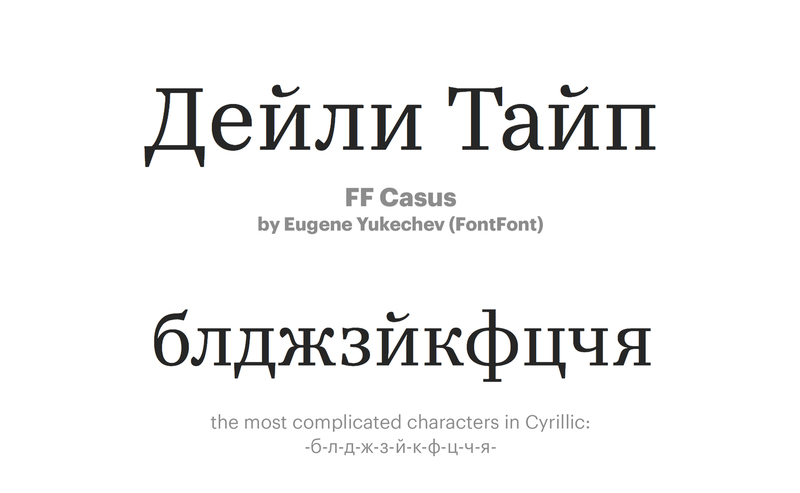 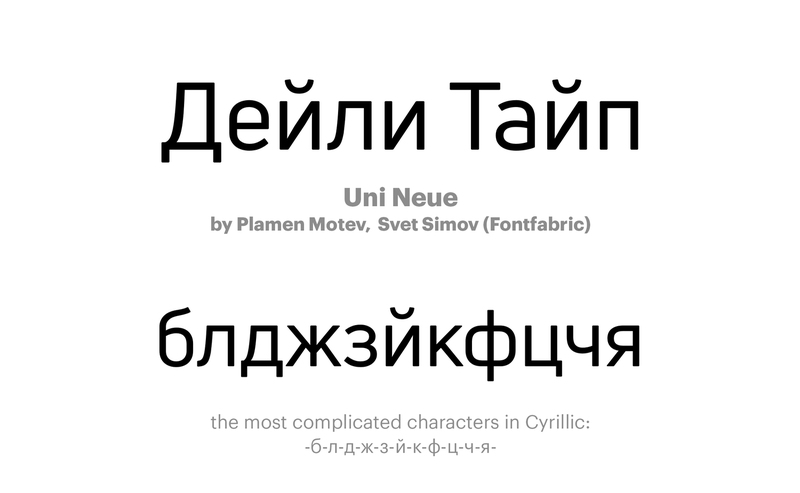 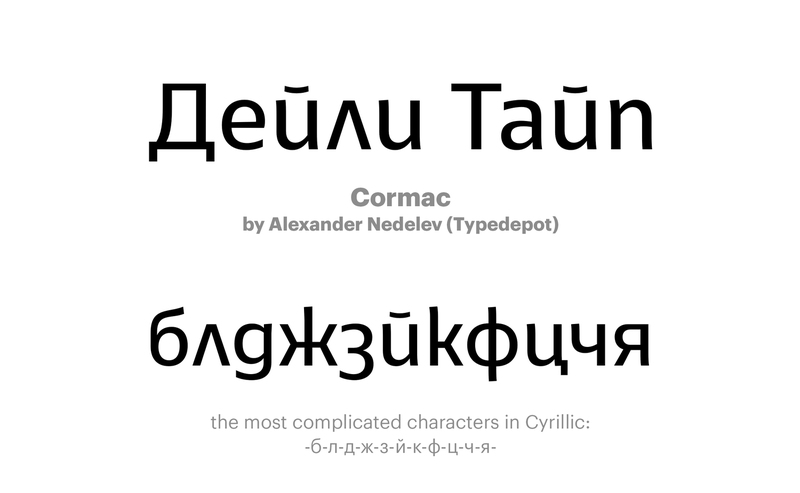 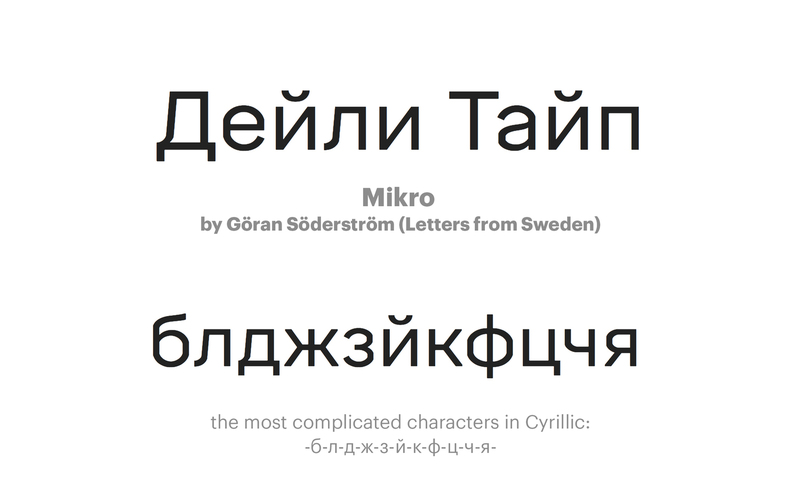 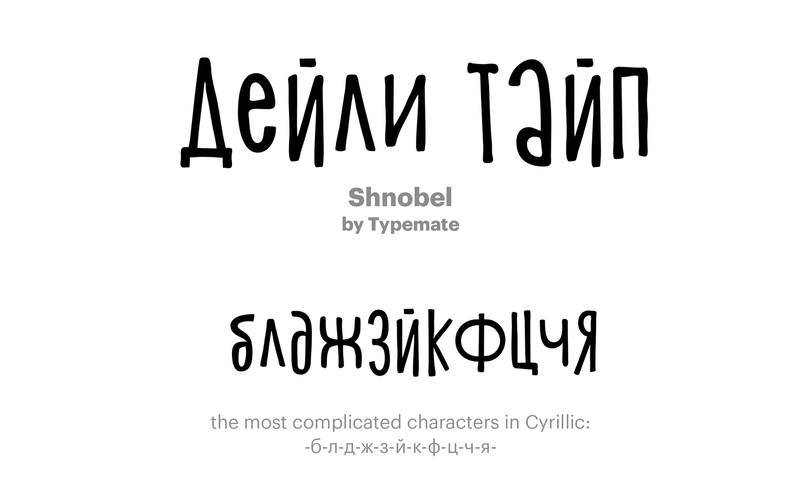 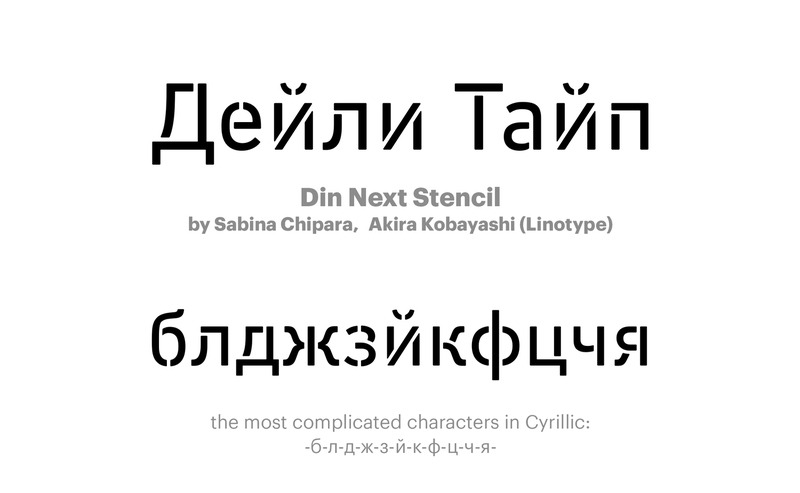 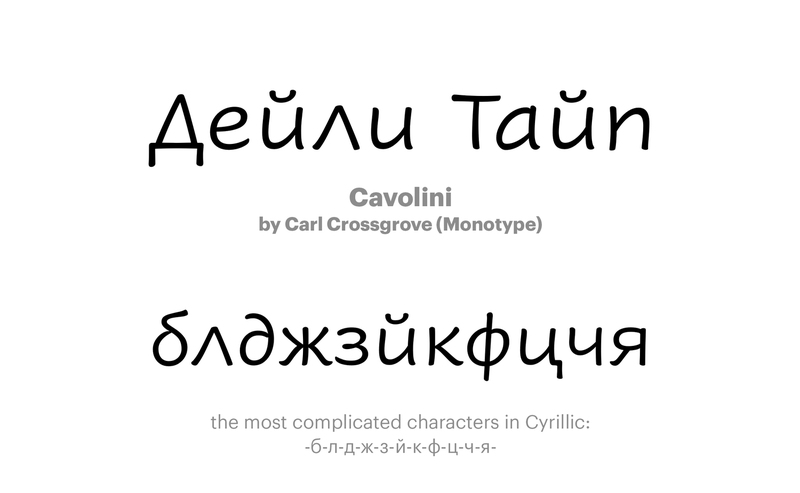 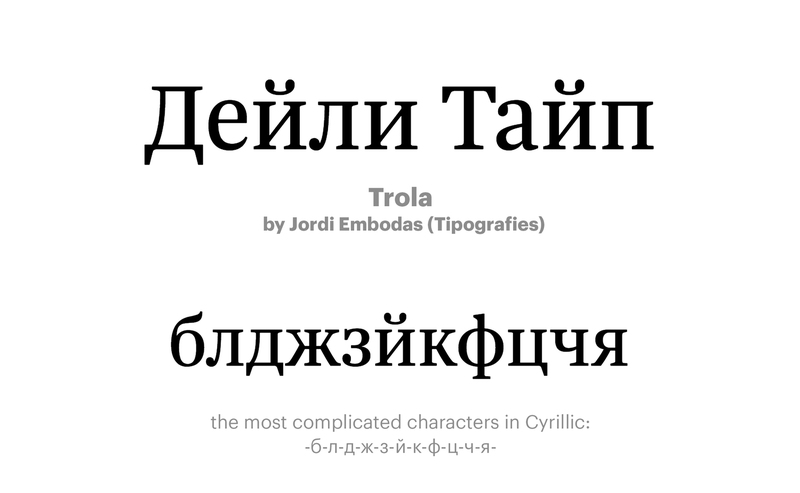 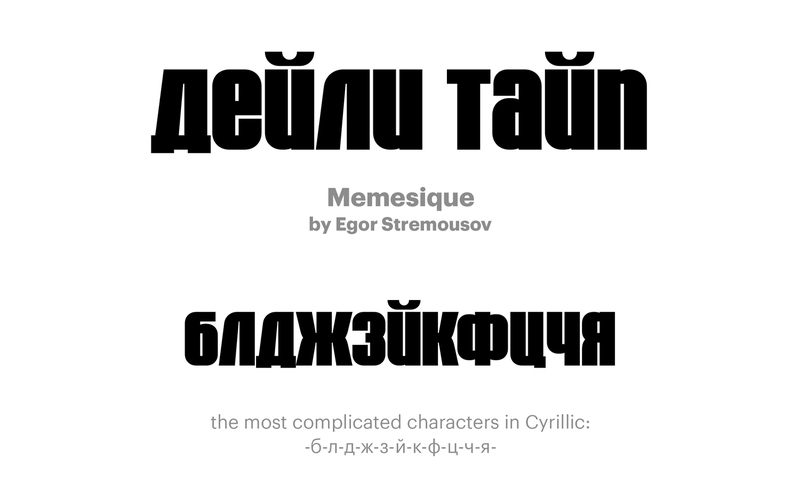 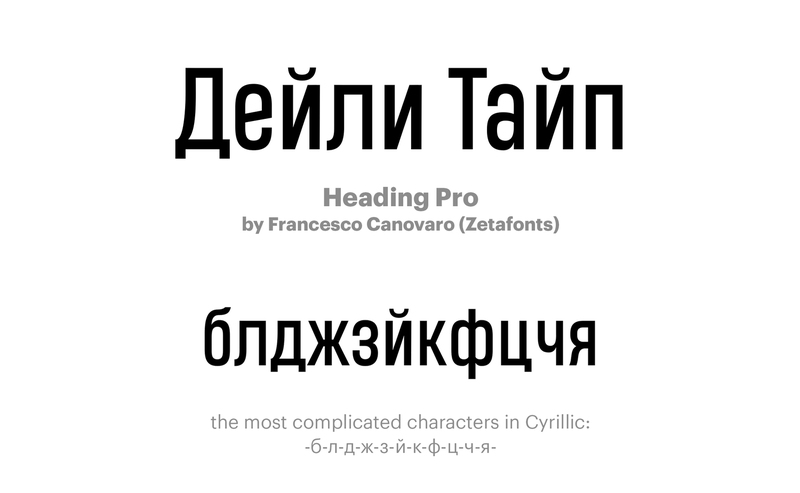 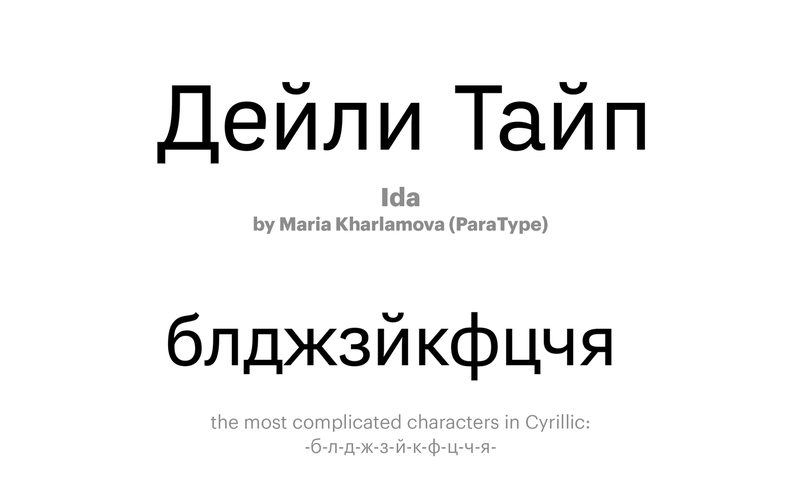 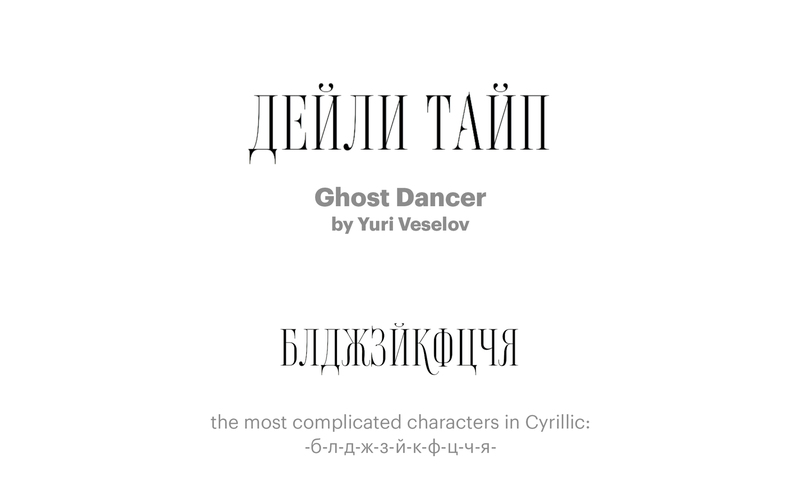 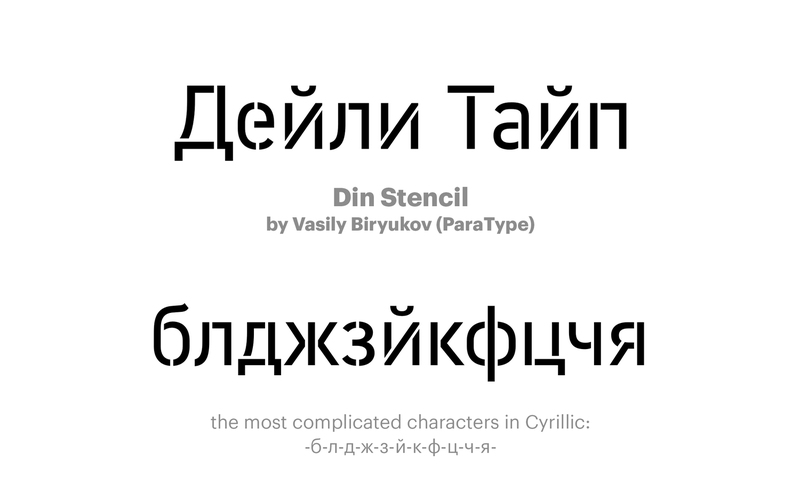 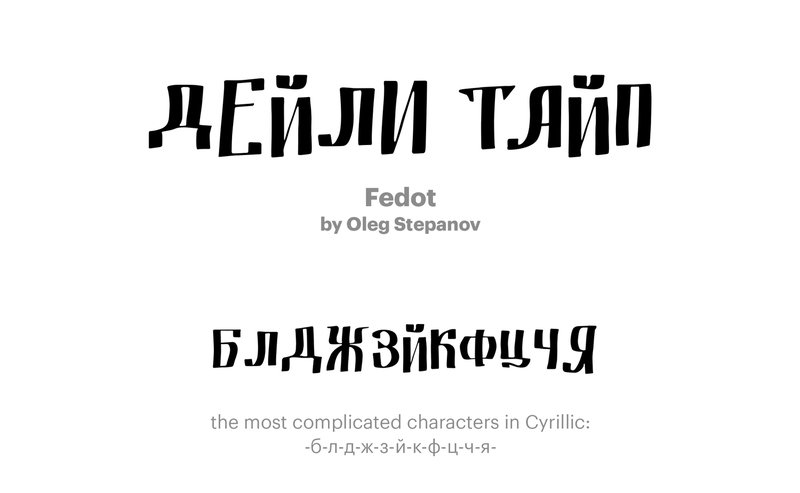 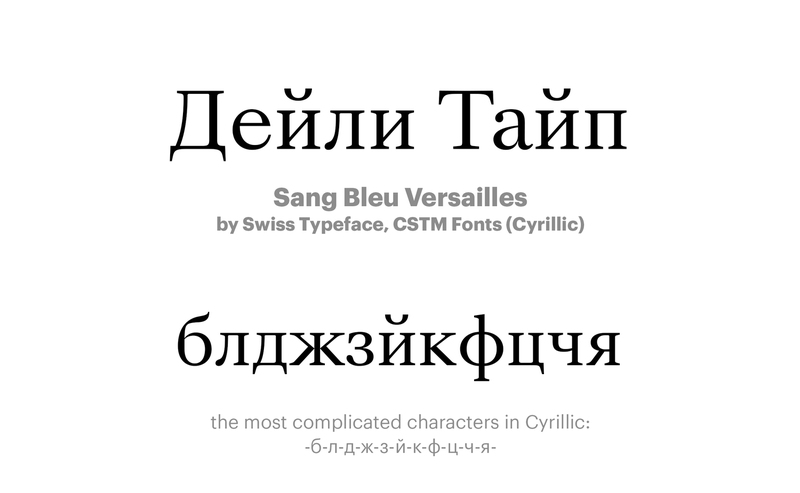 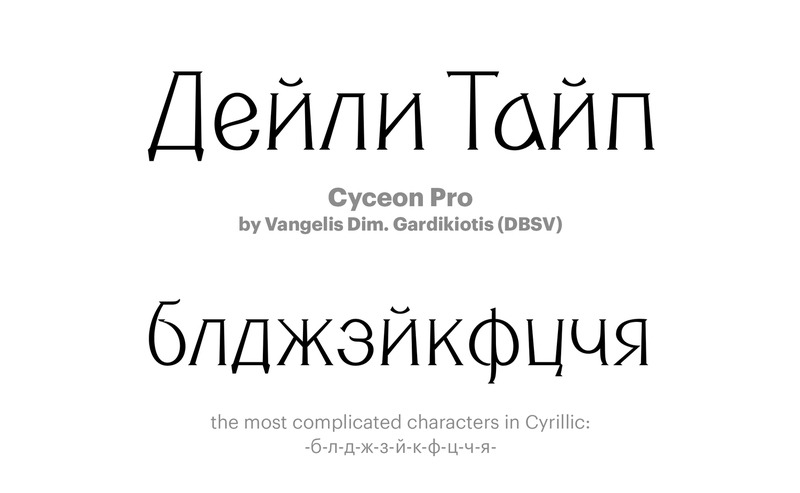 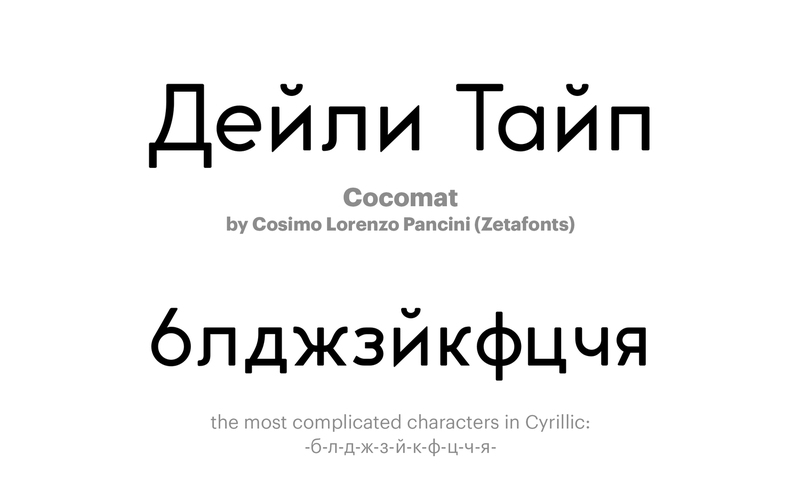 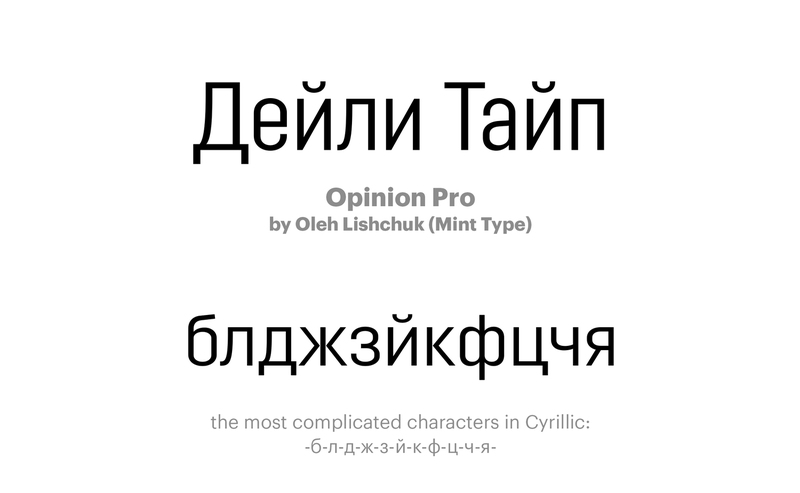 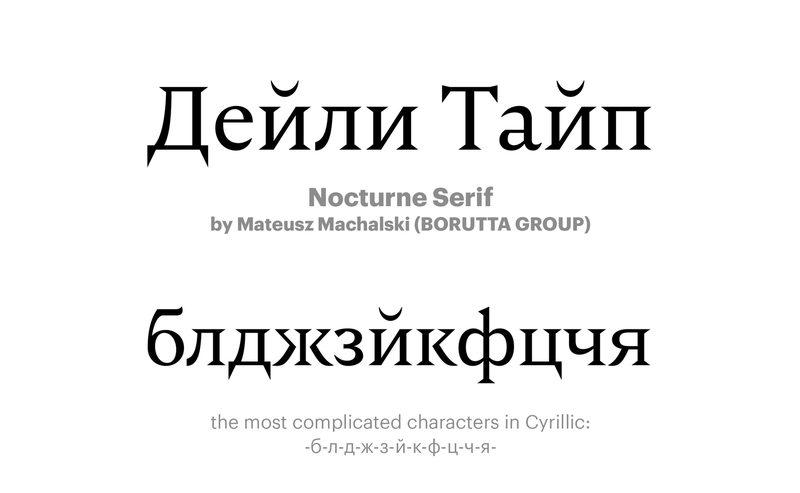 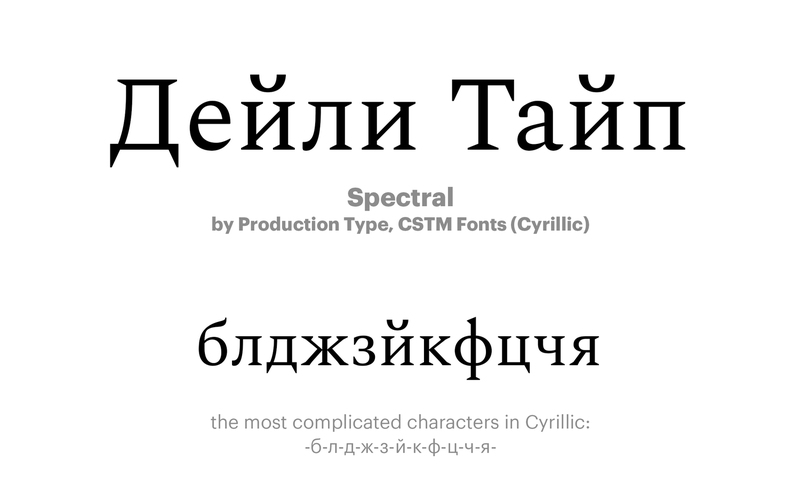 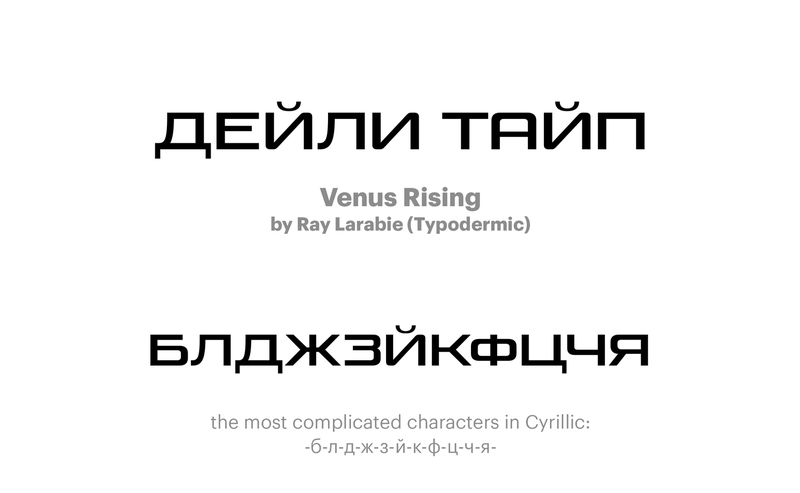 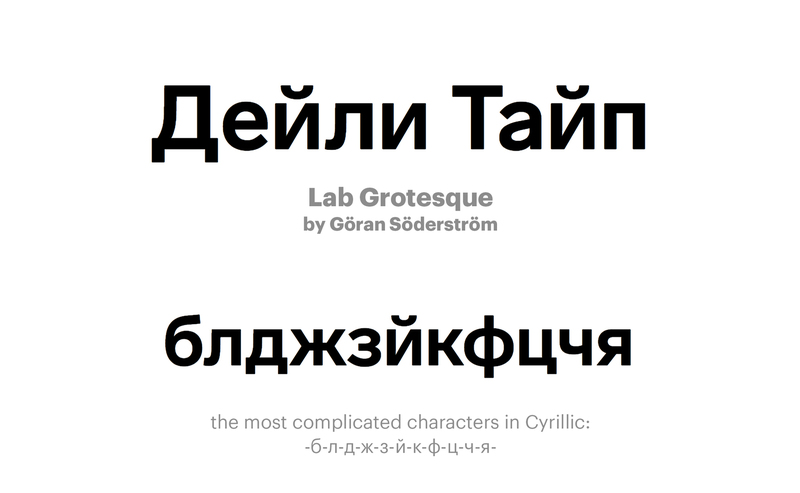 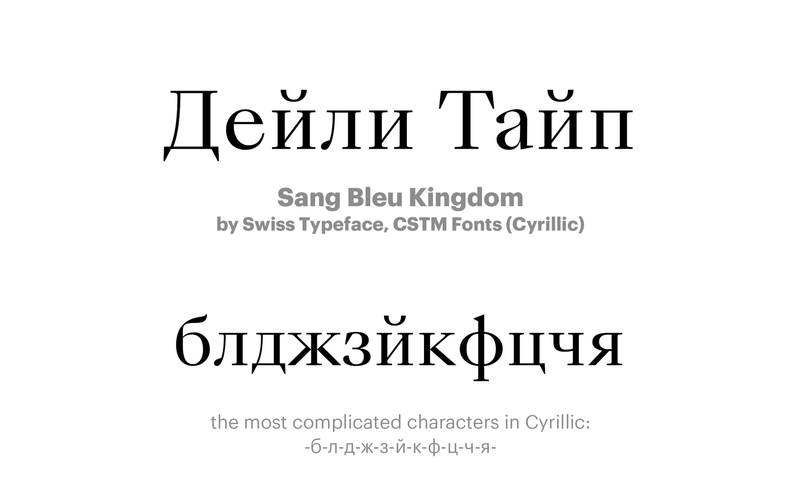 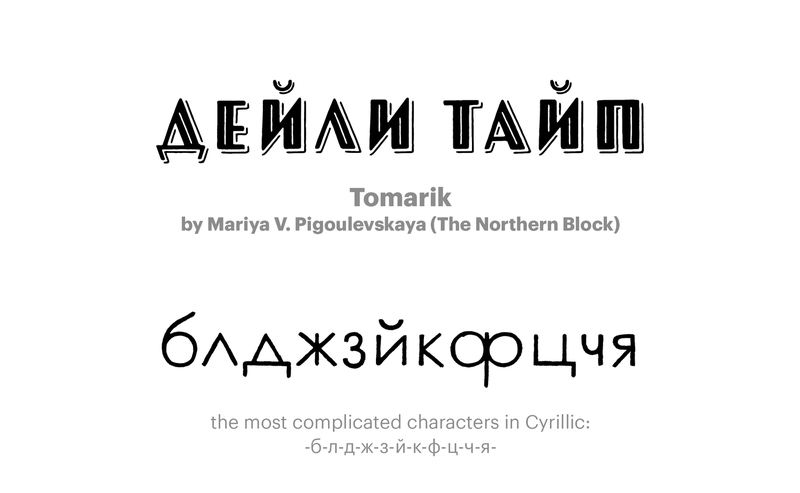 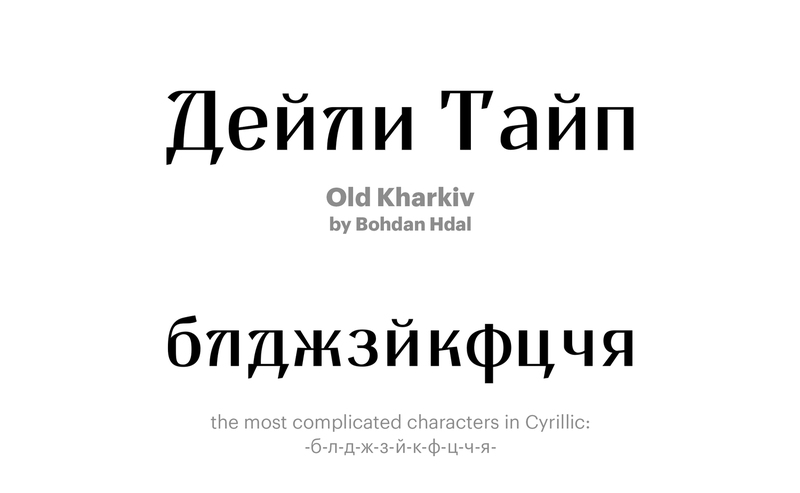 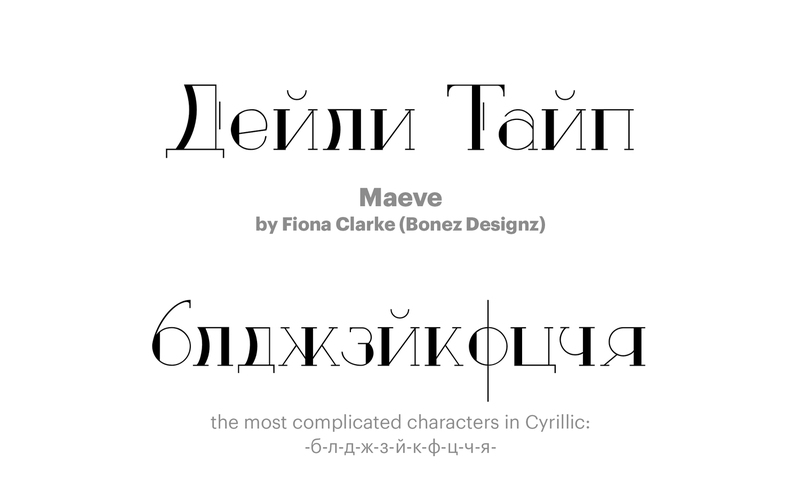 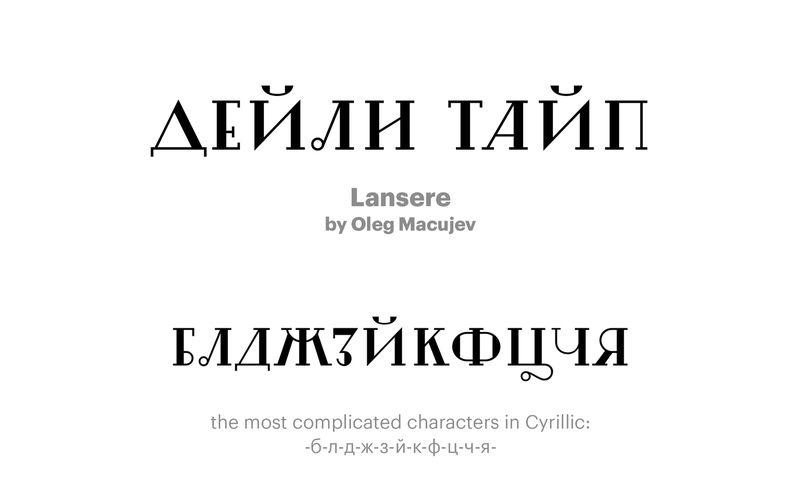 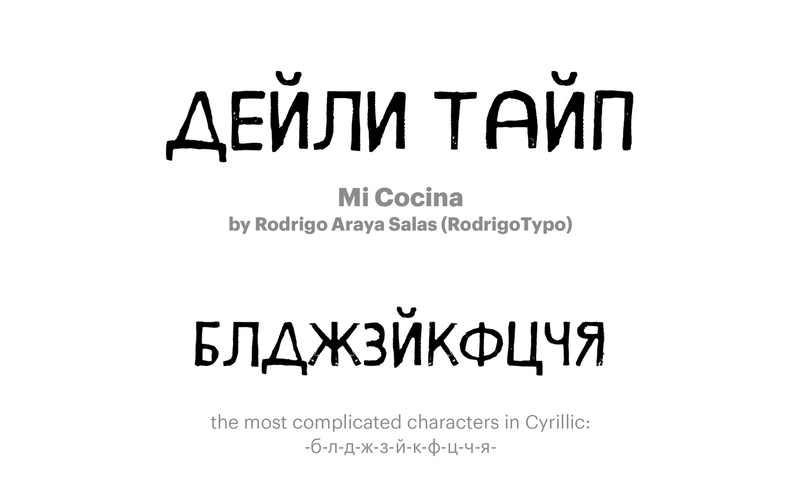 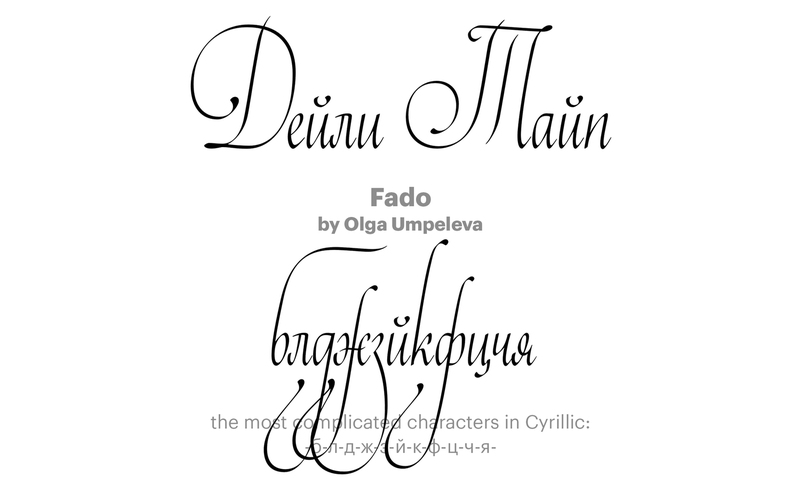 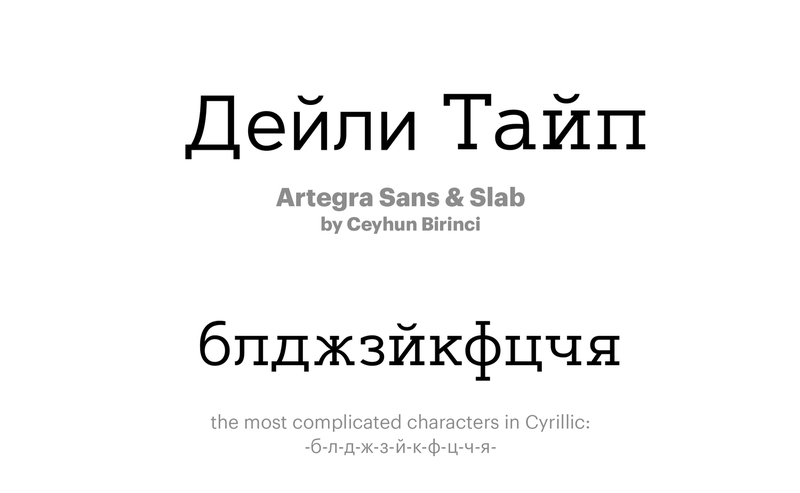 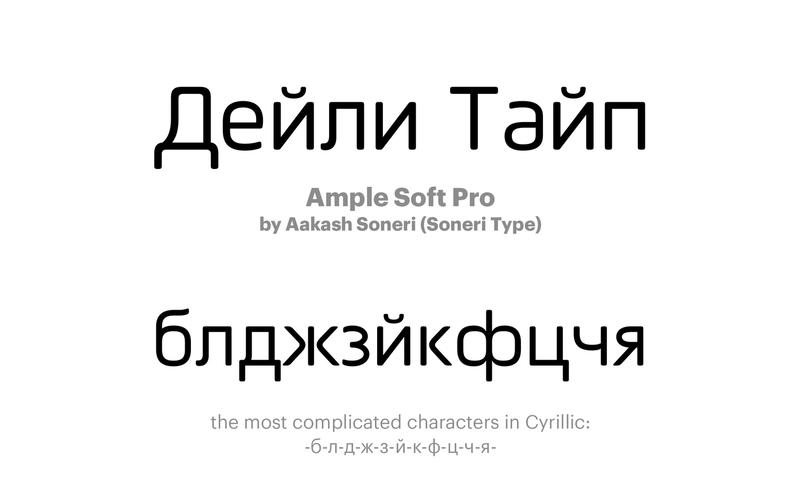 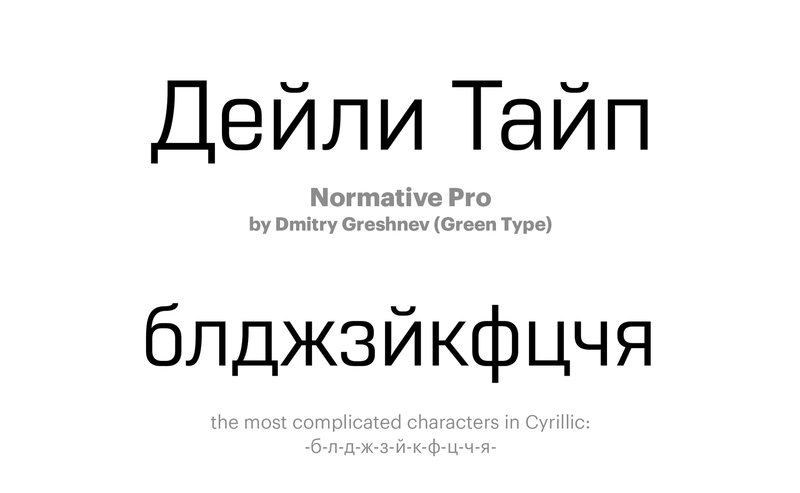 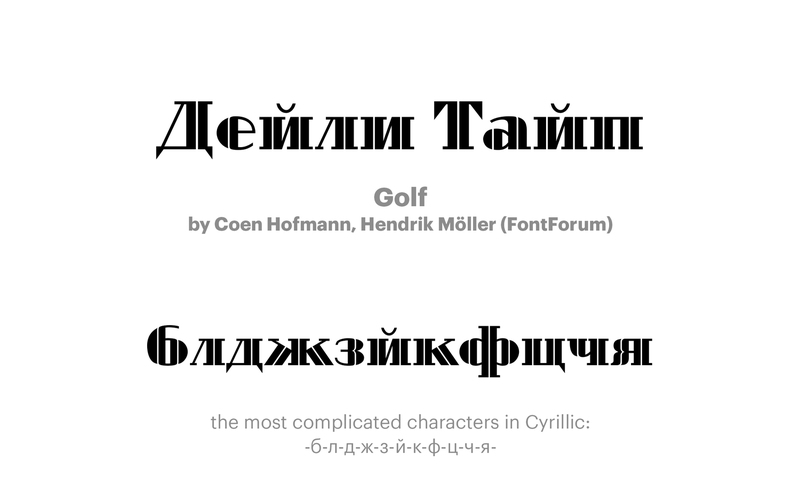 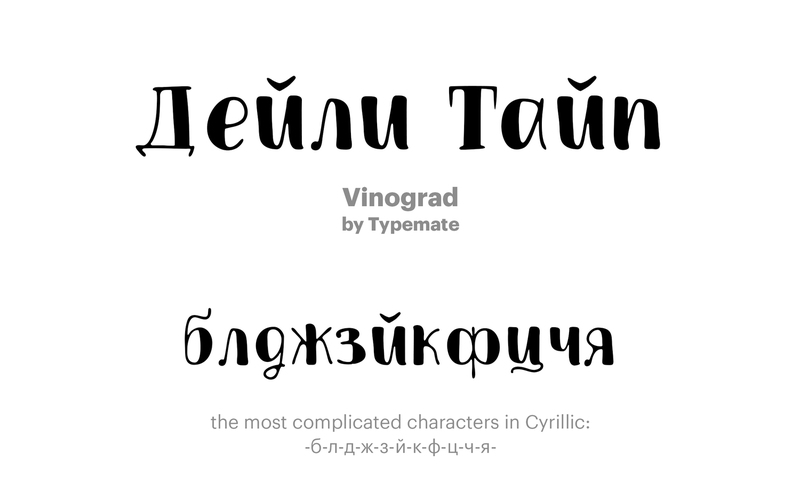 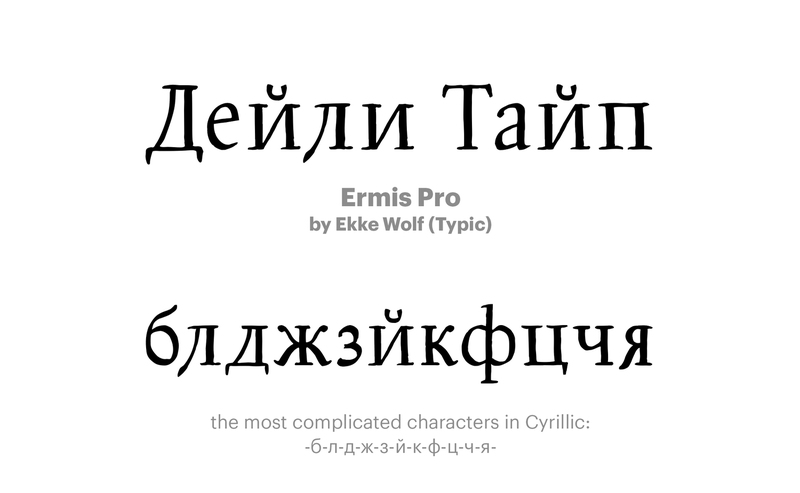 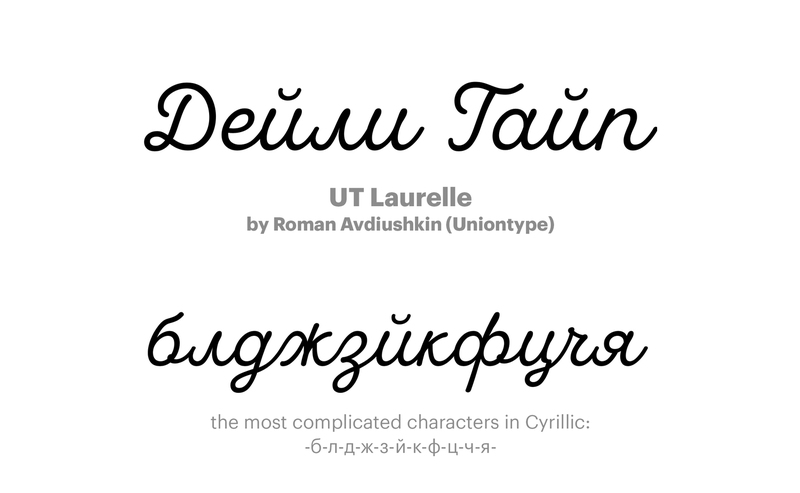 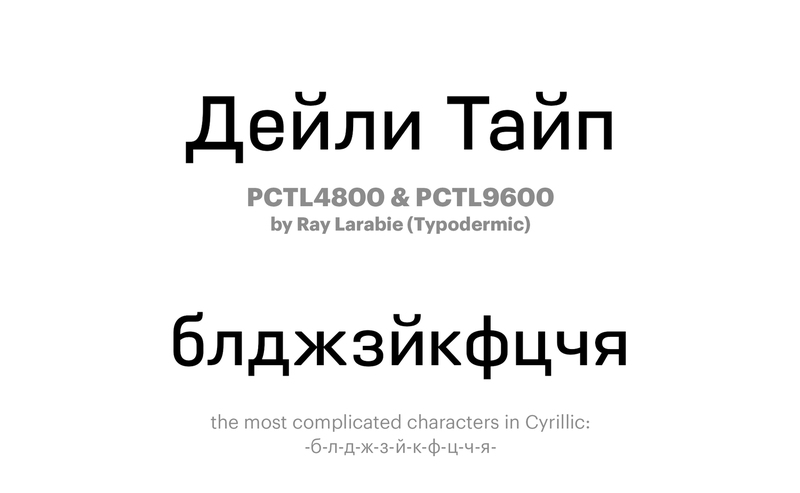 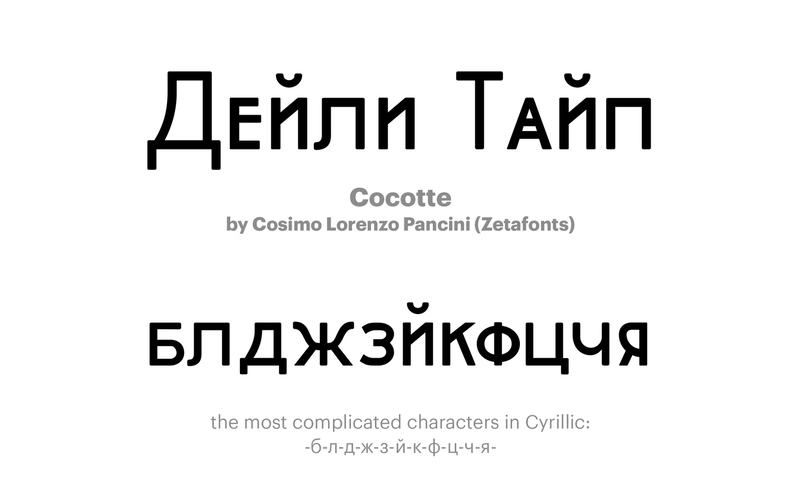 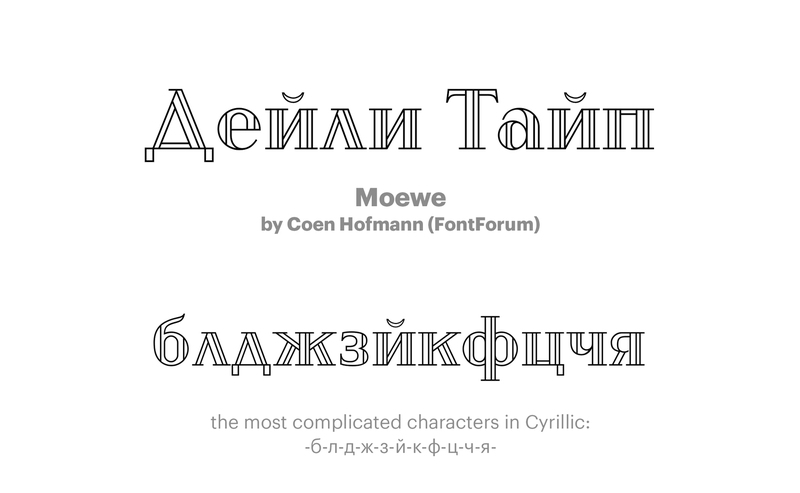 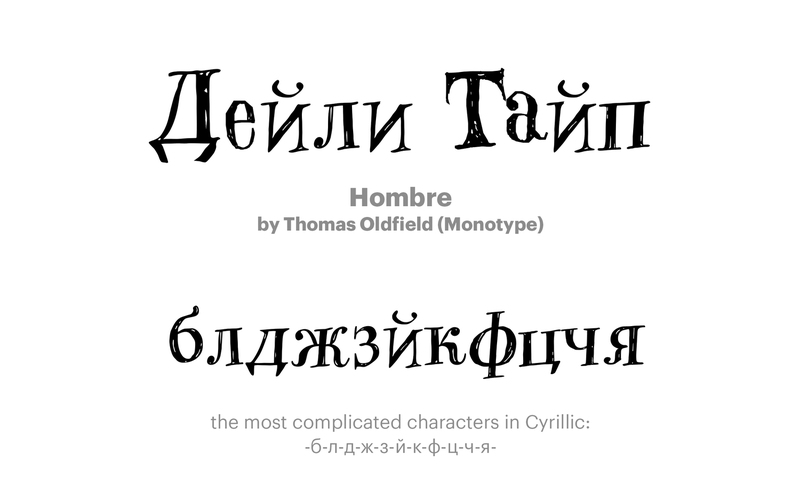 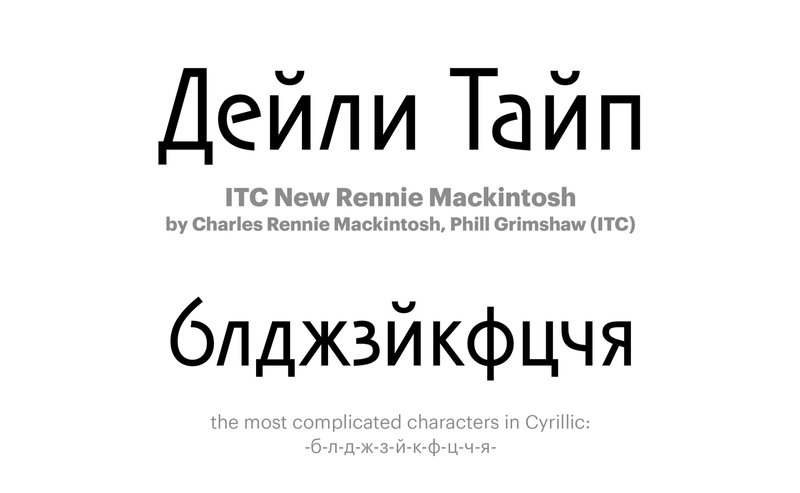 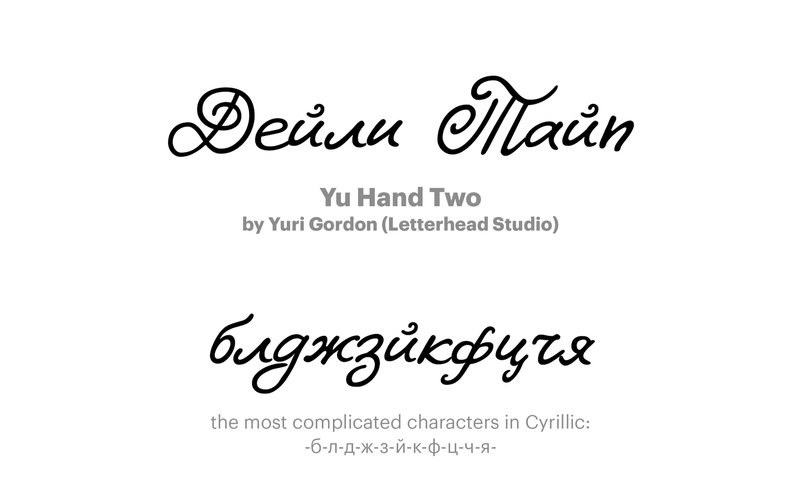 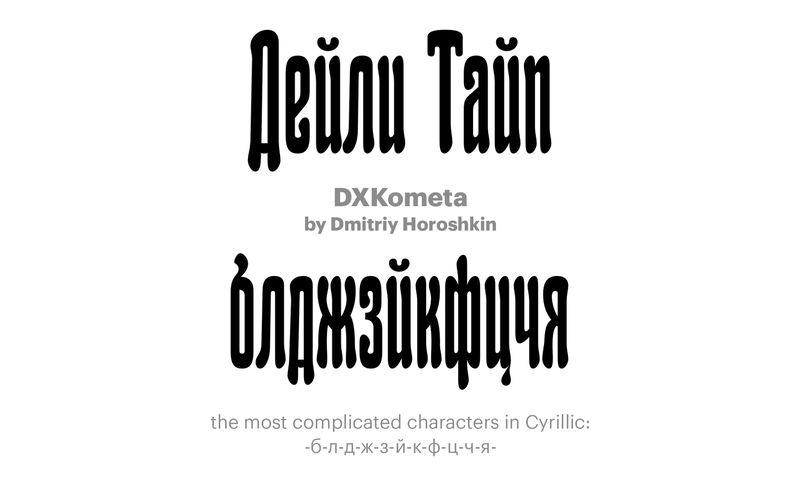 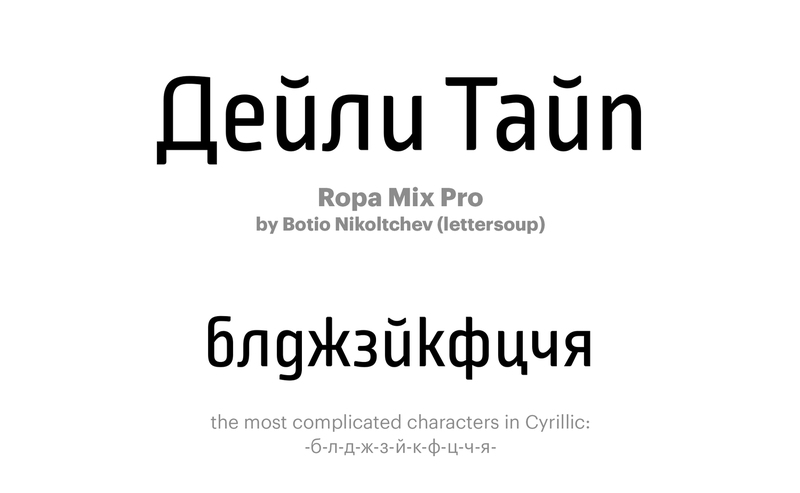 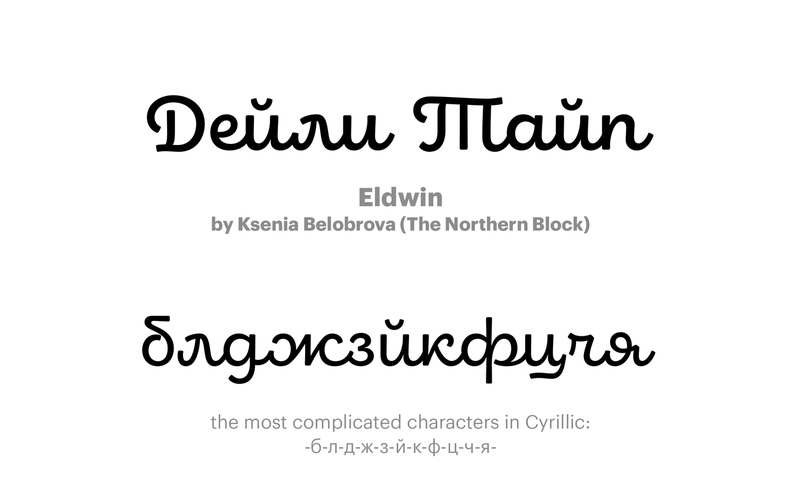 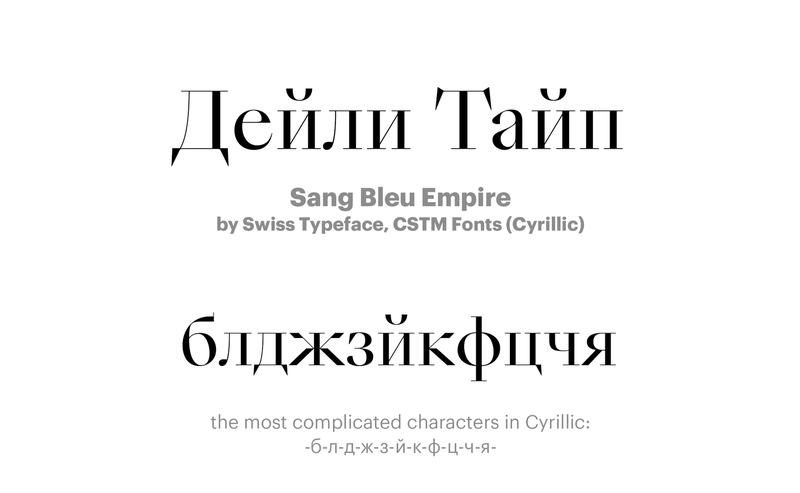 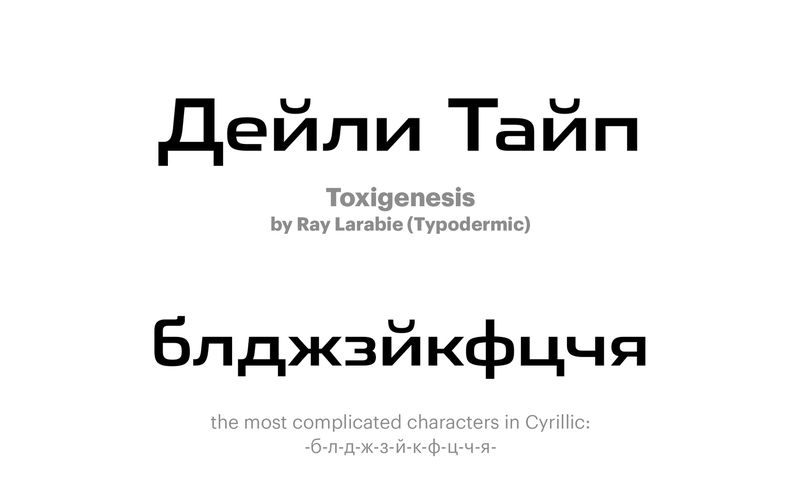 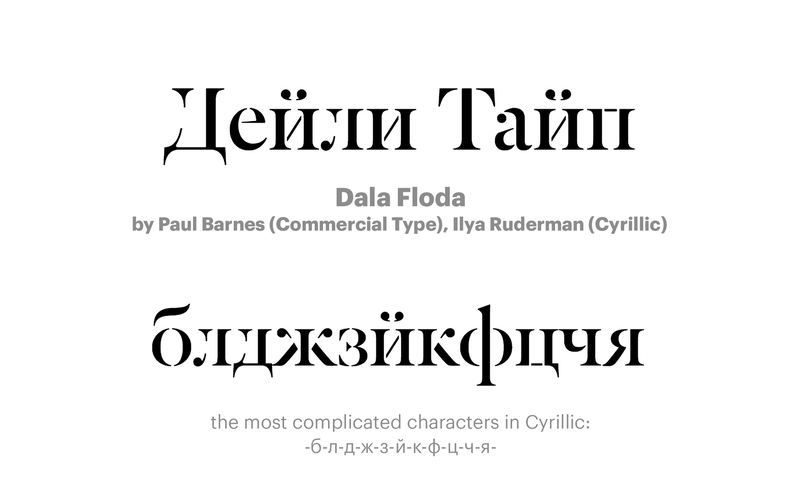 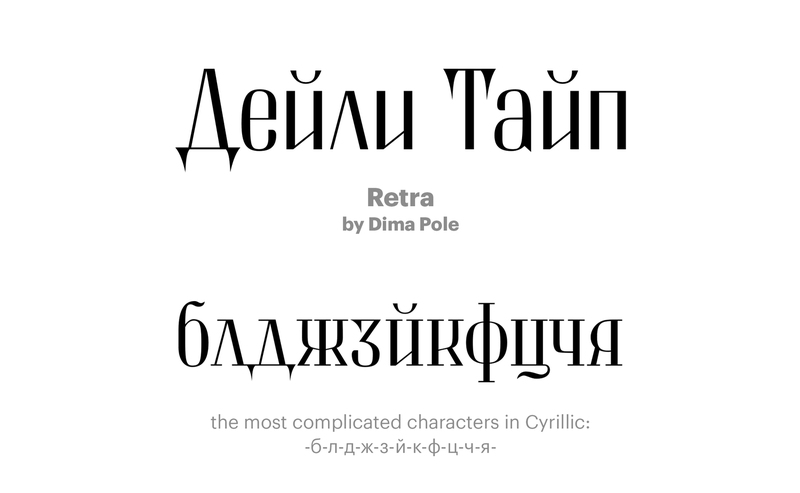 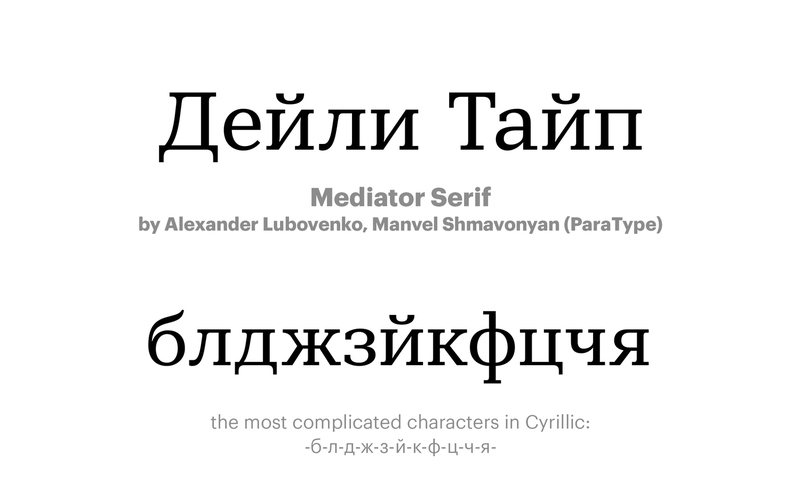 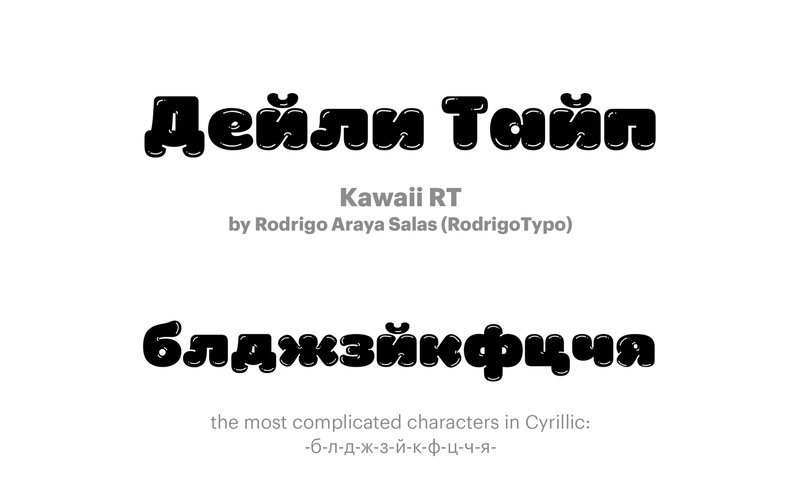 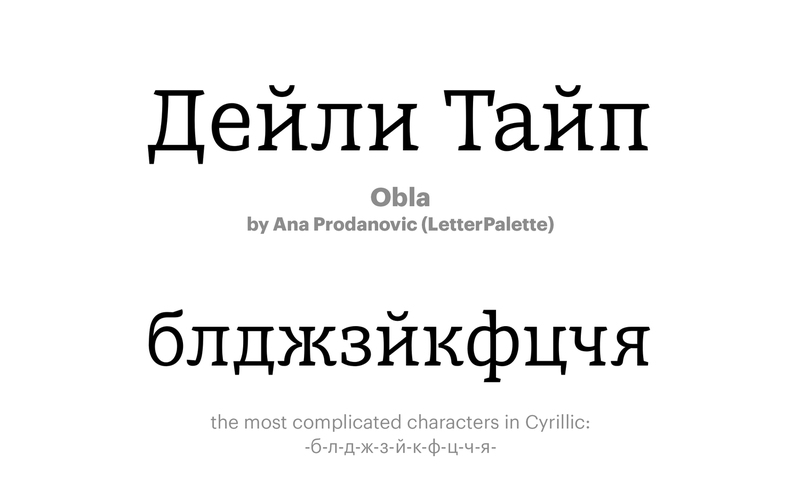 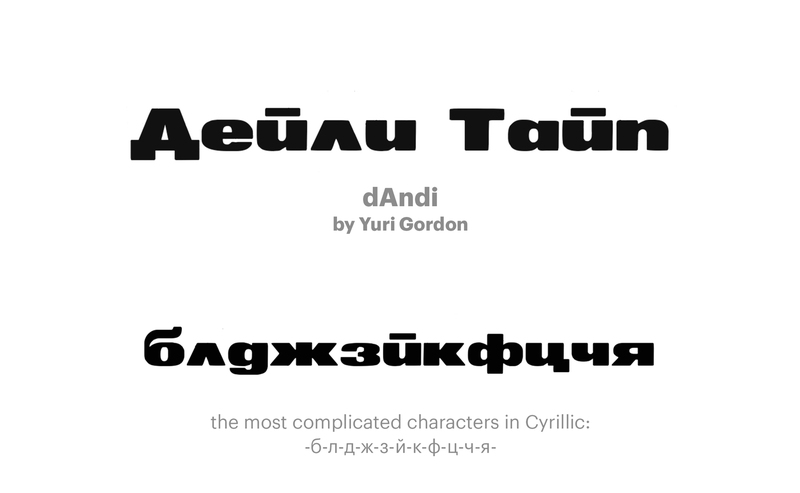 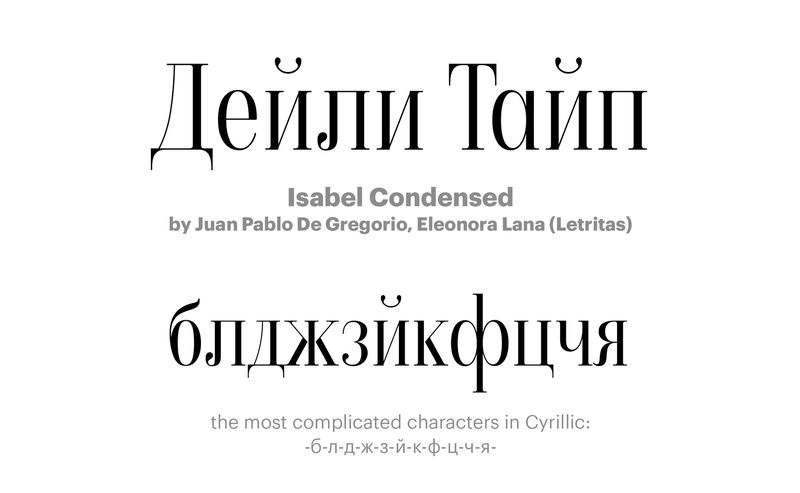 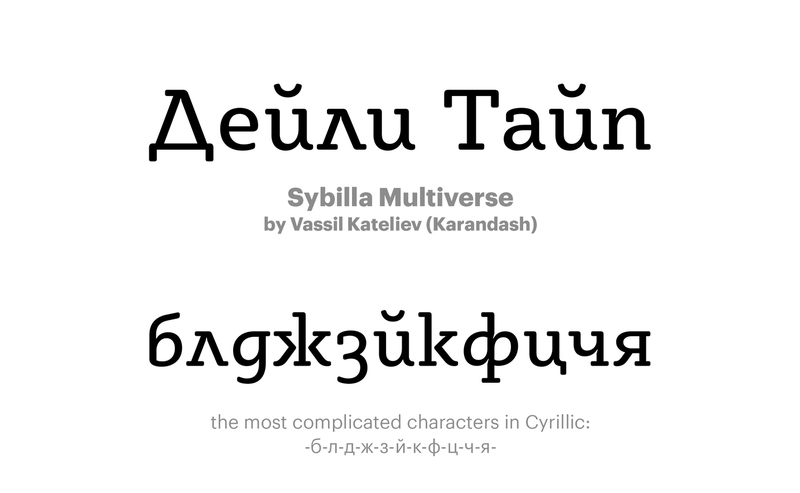 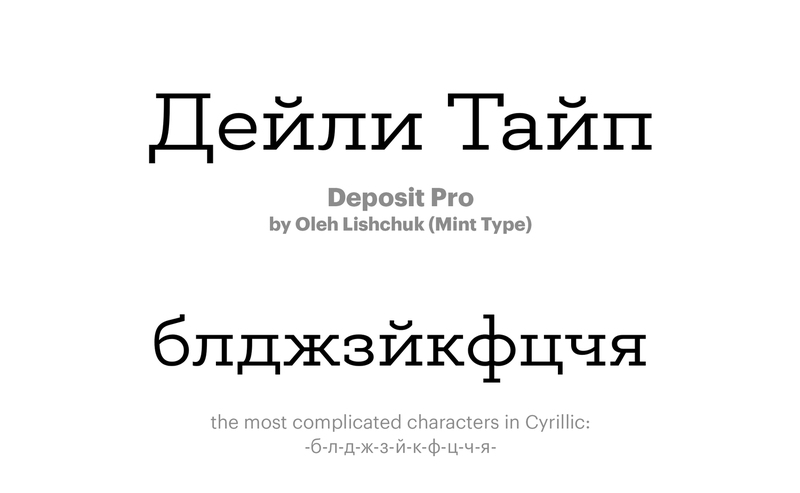 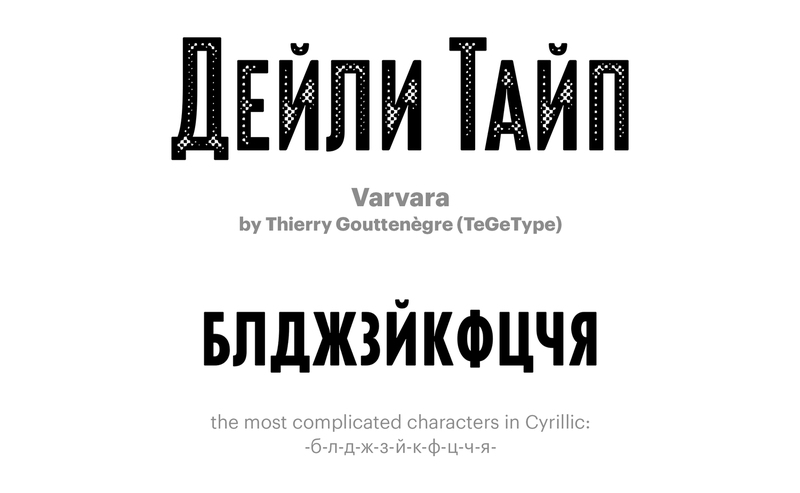 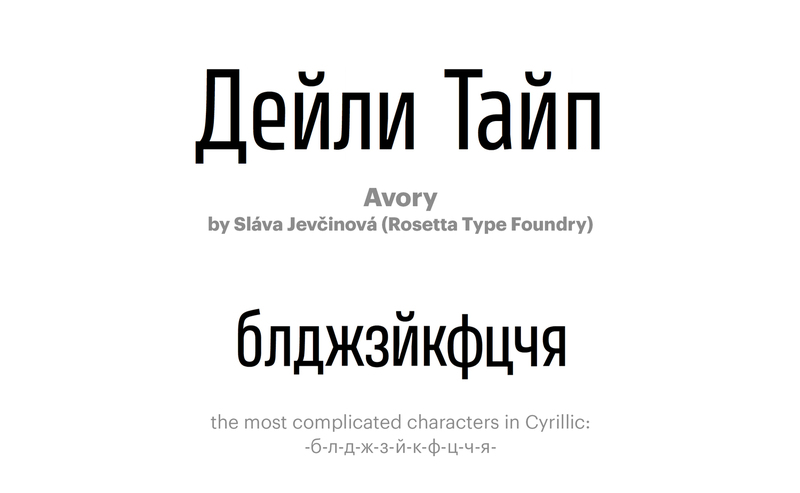 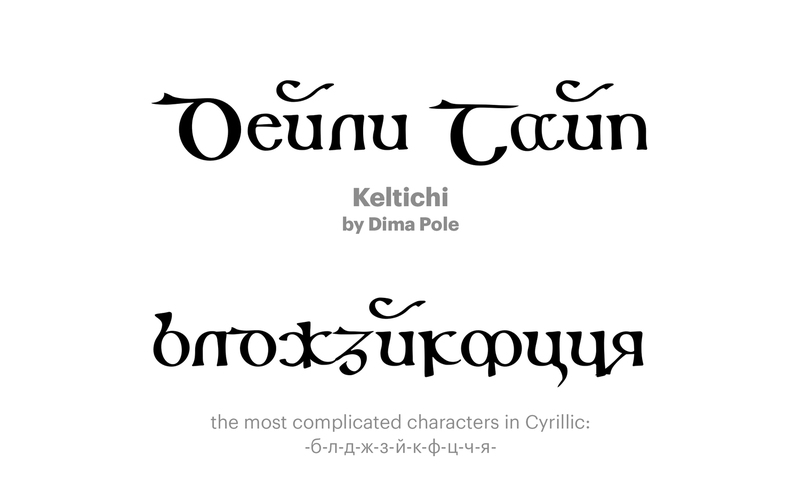 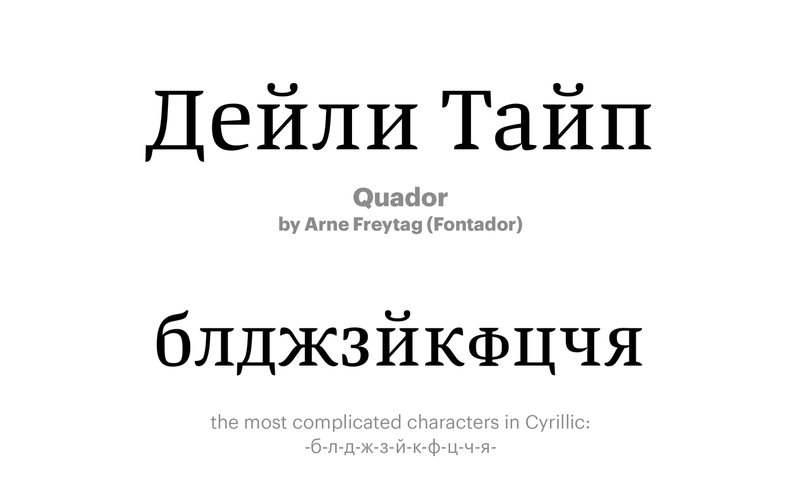 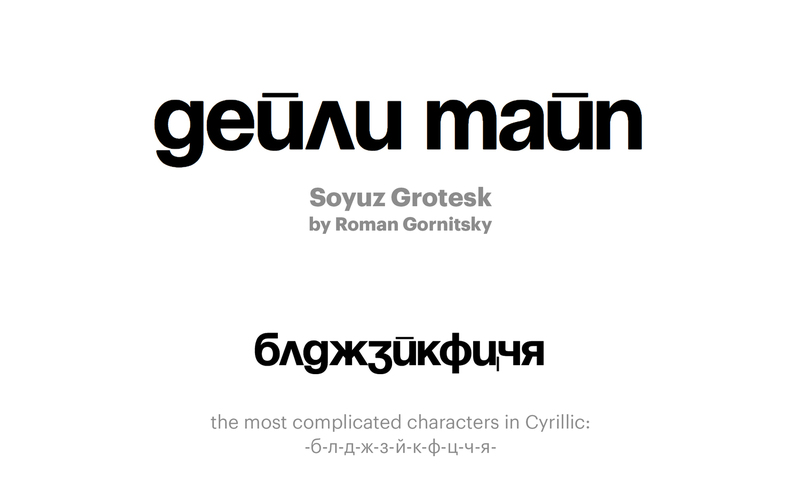 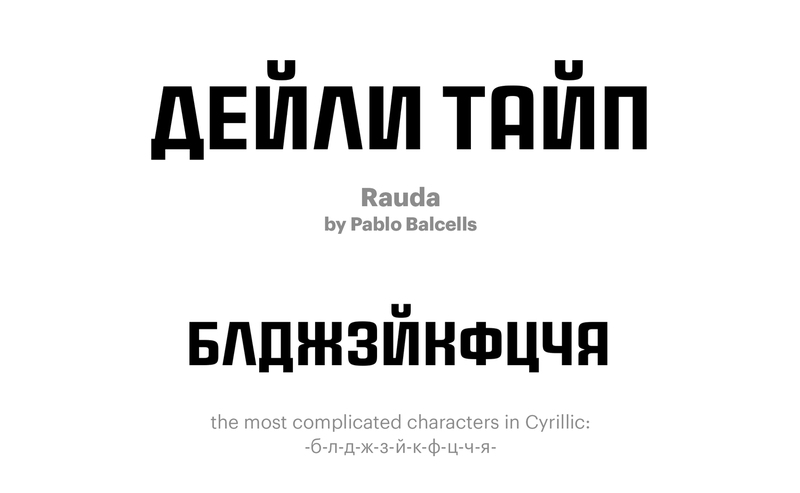 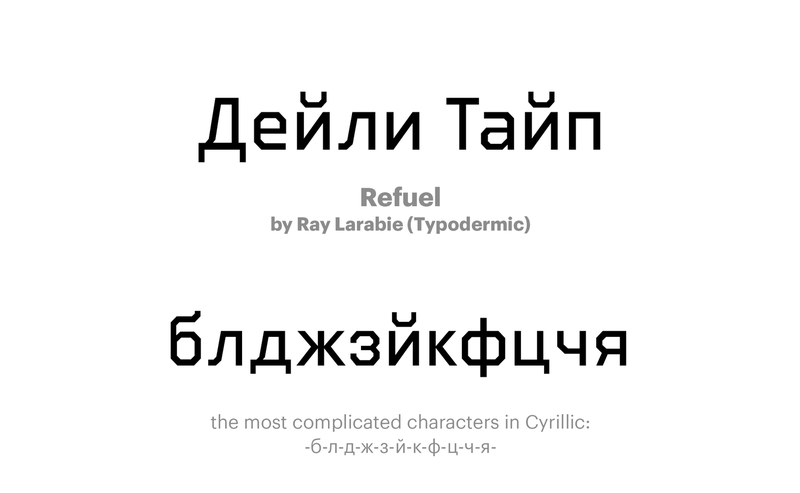 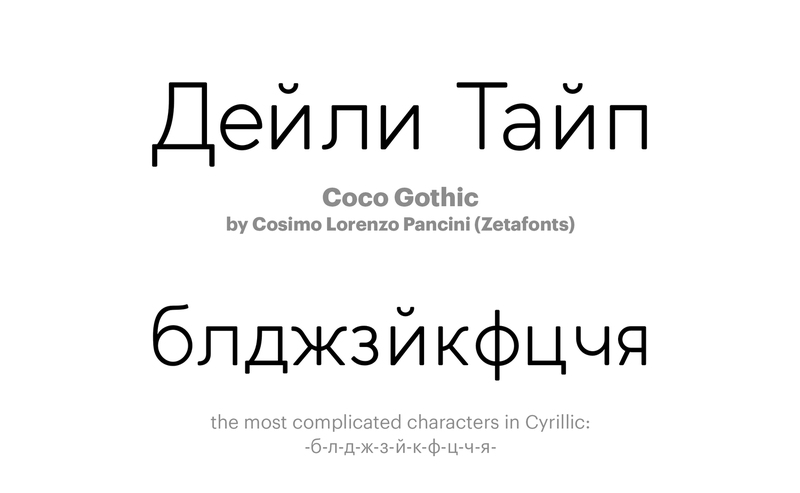 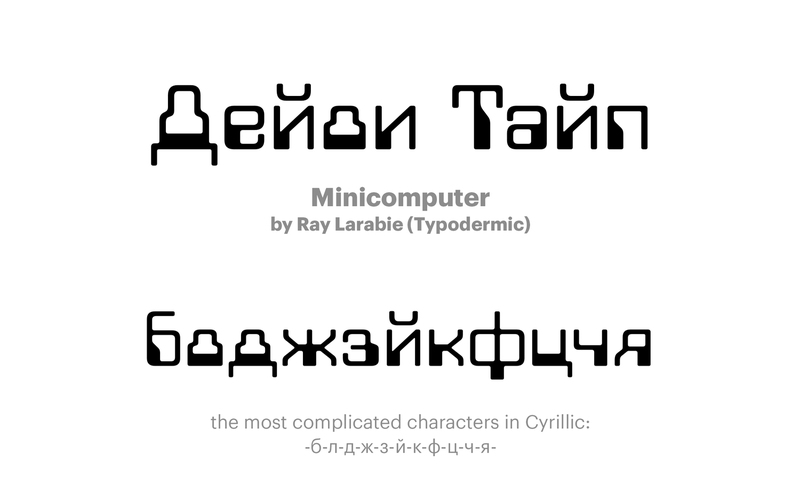 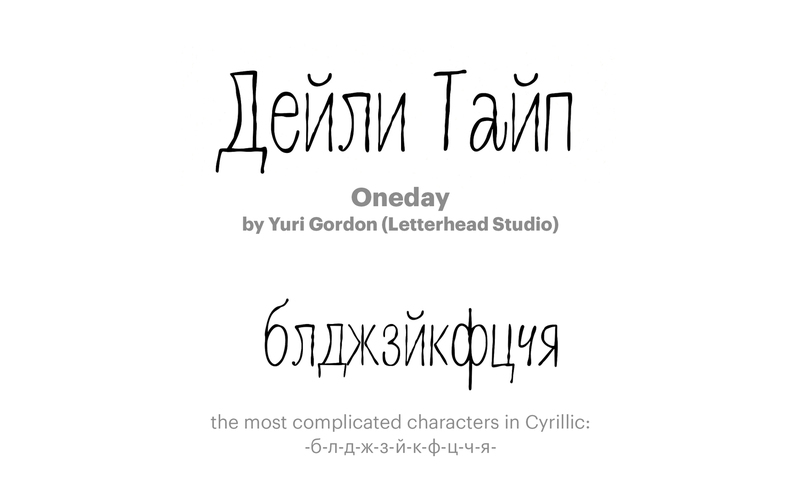 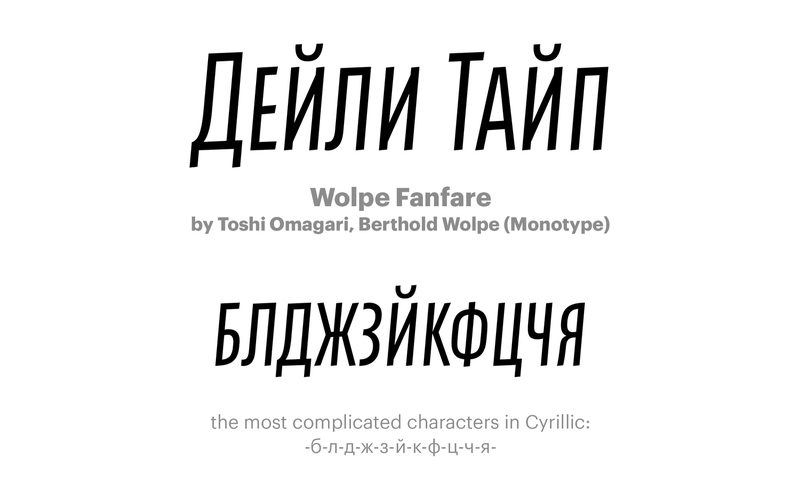 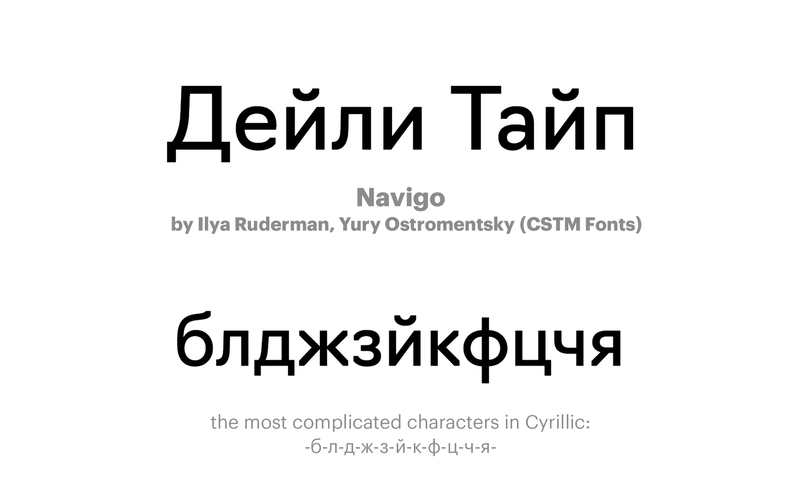 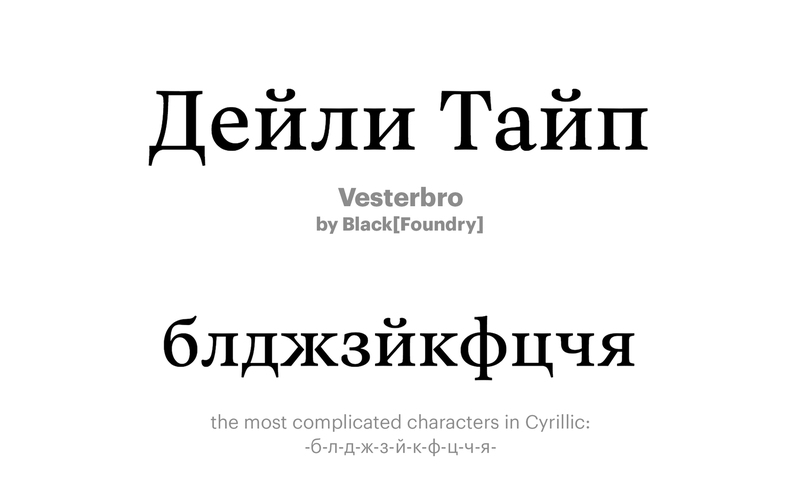 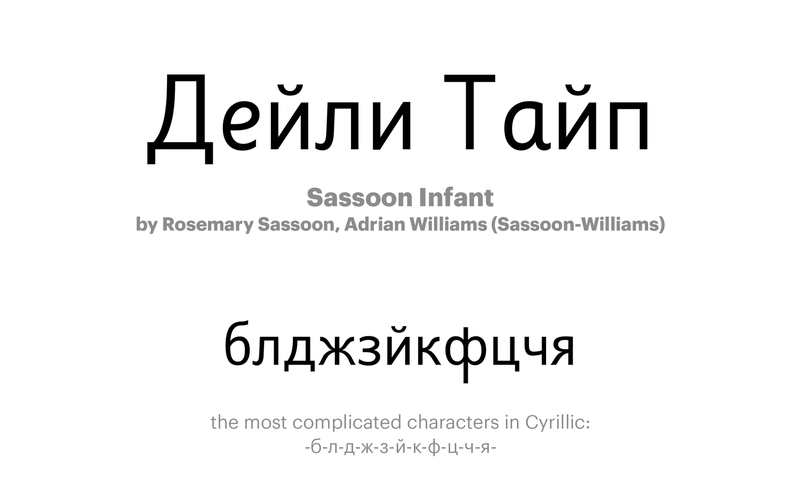 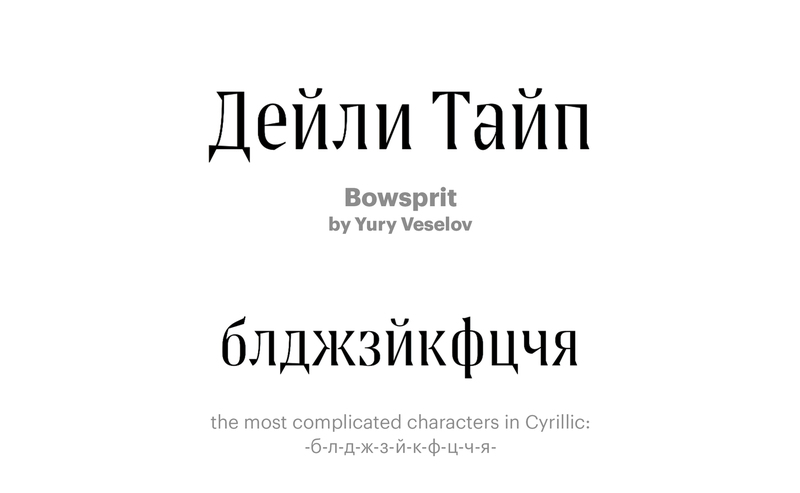 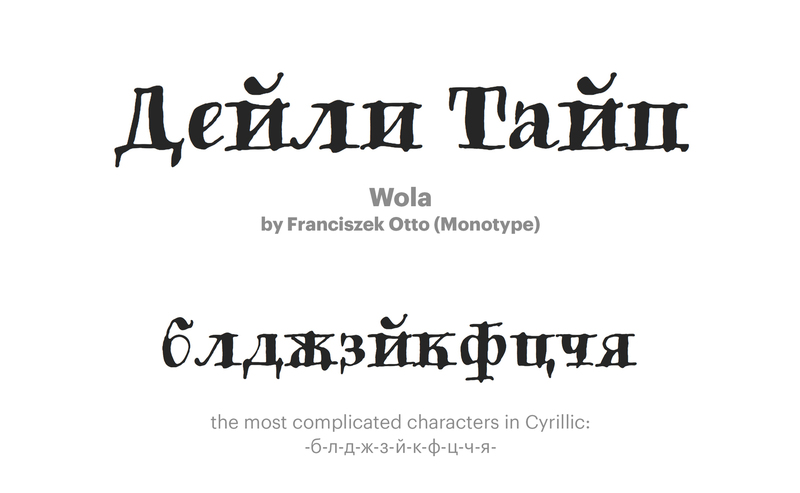 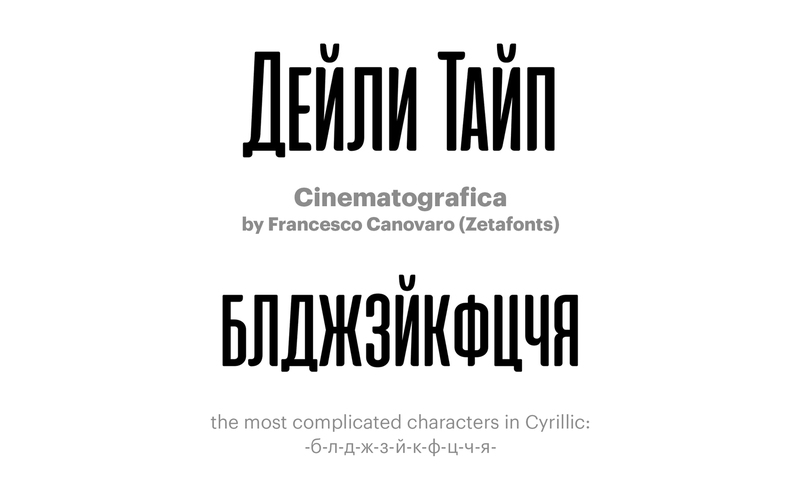 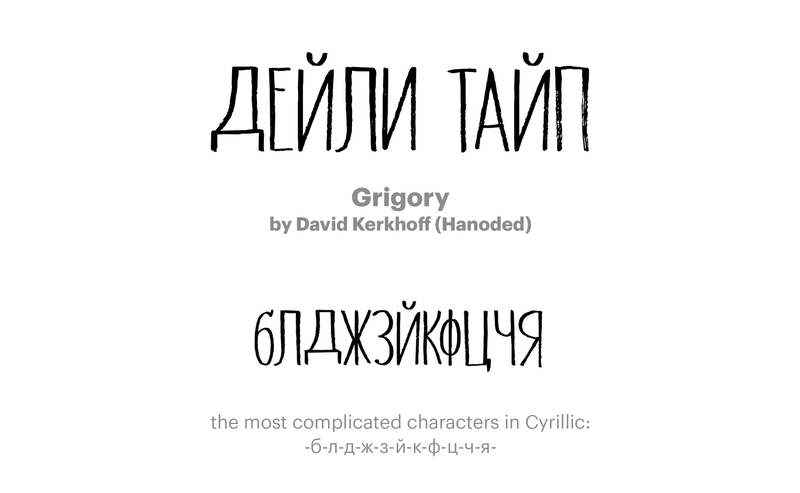 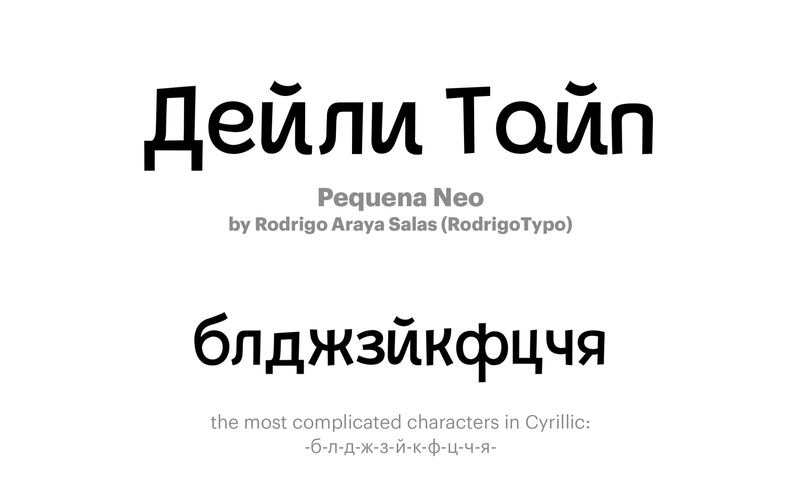 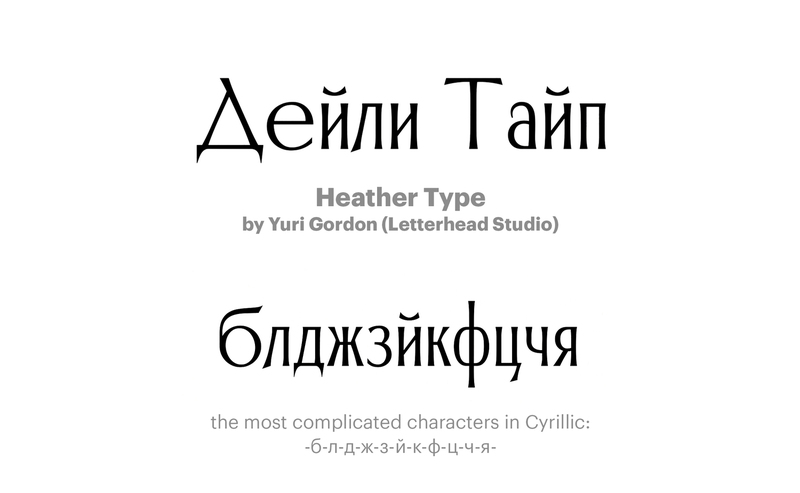 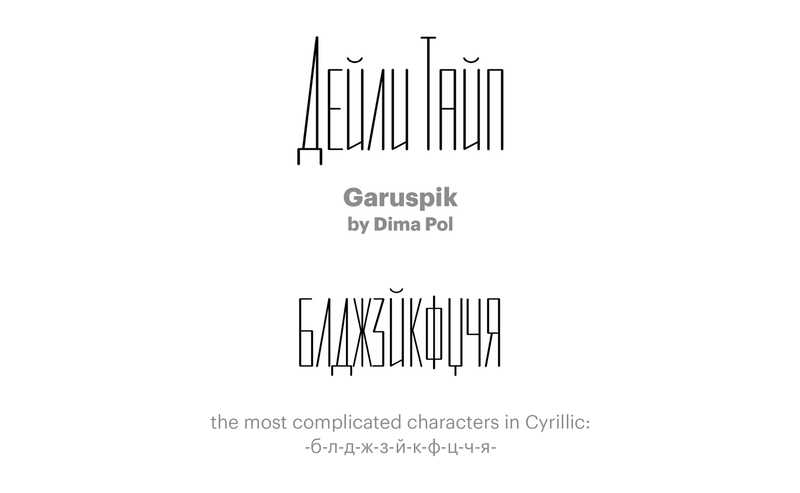 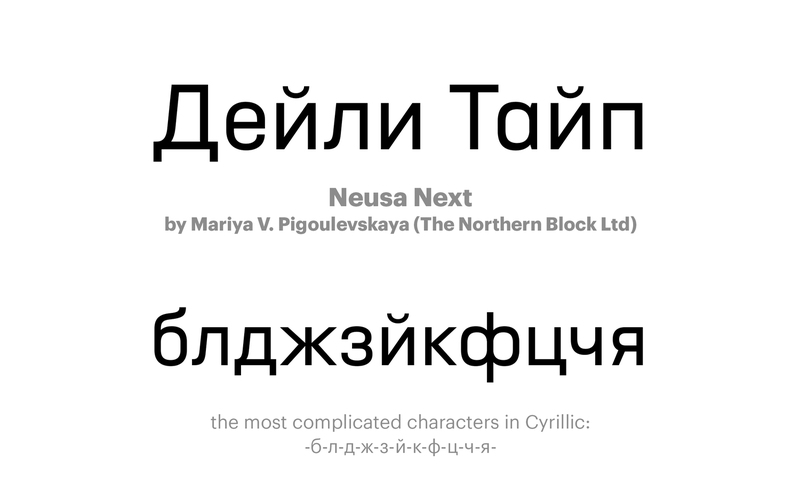 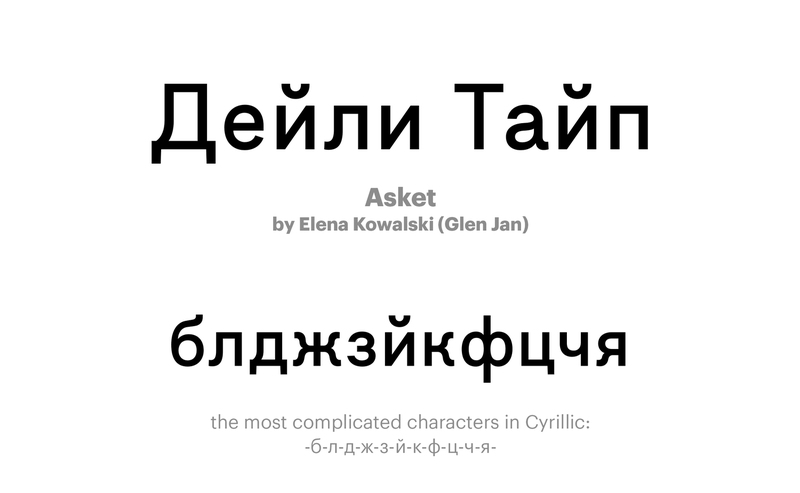 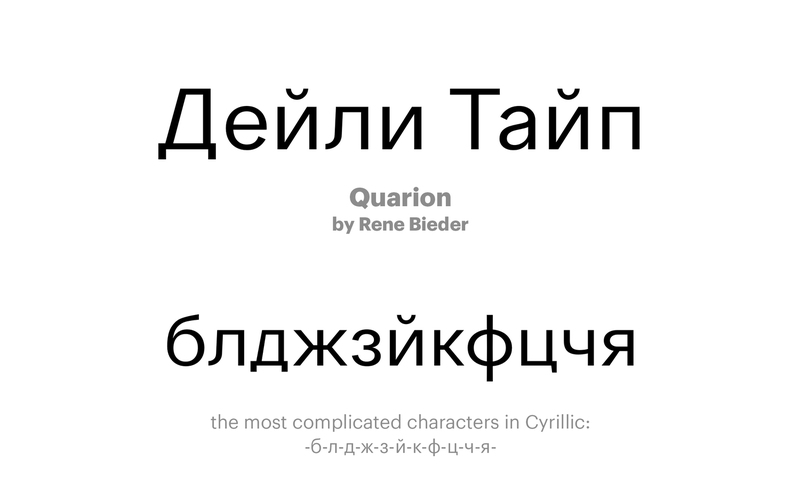 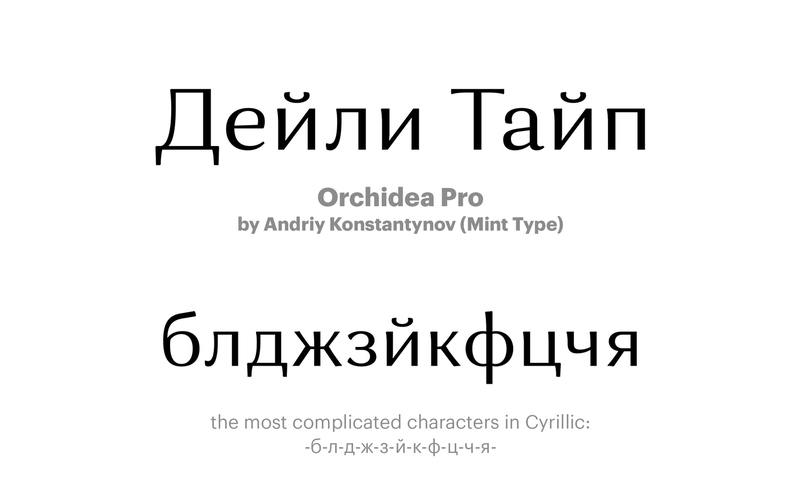 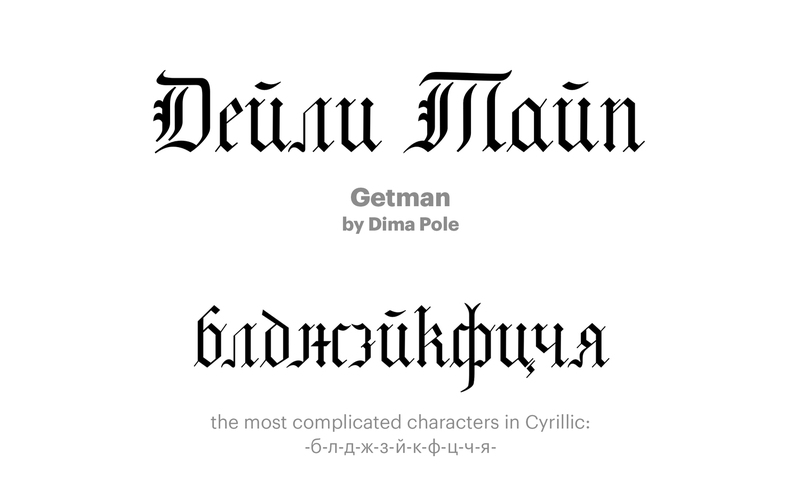 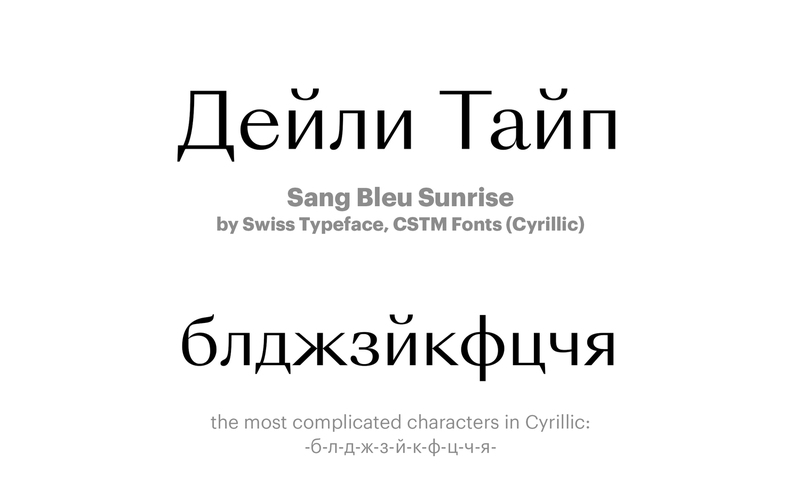 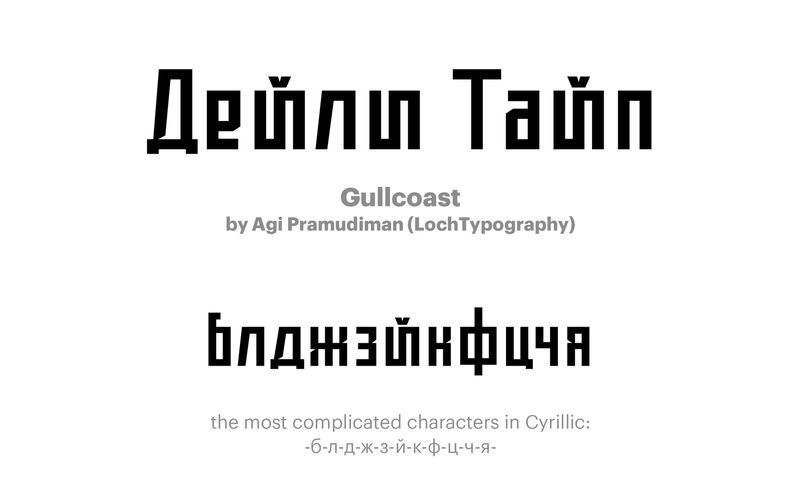 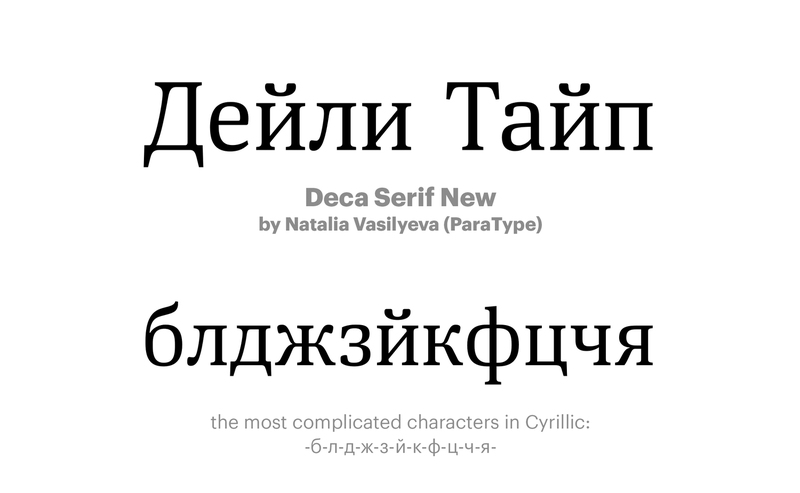 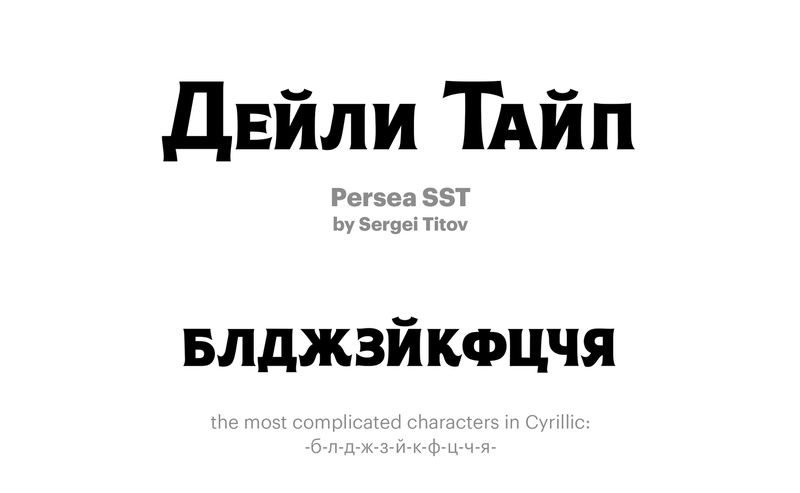 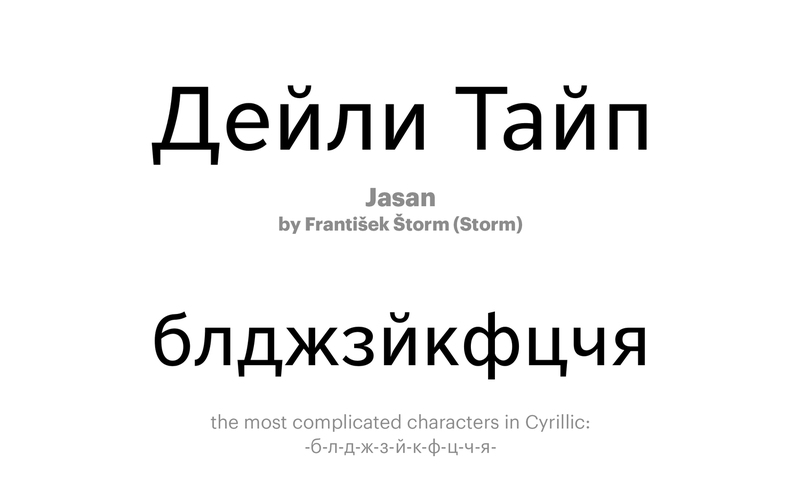 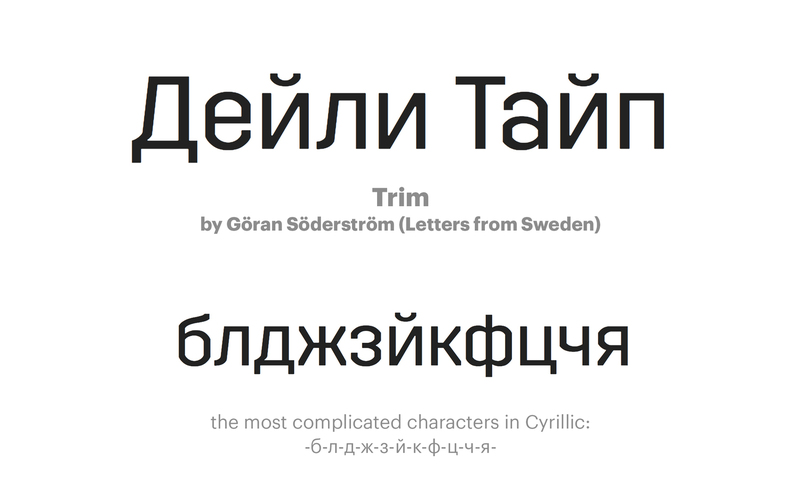 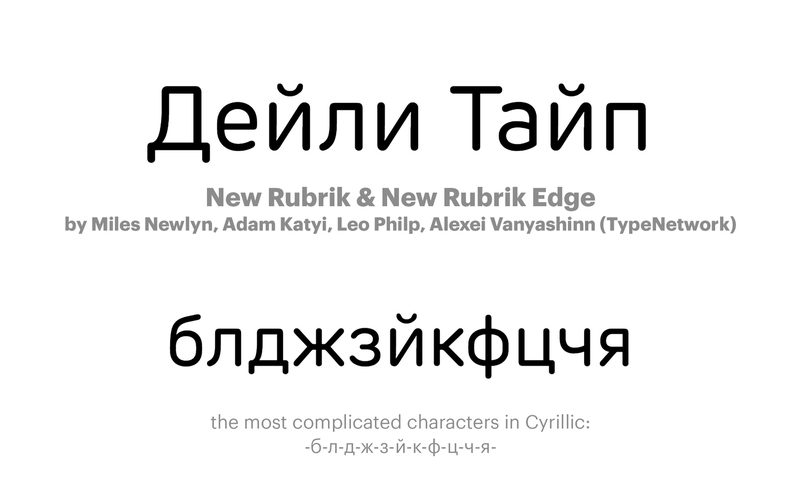 Sooner or later we may stop complaining about the lack of Cyrillic typefaces and new releases. 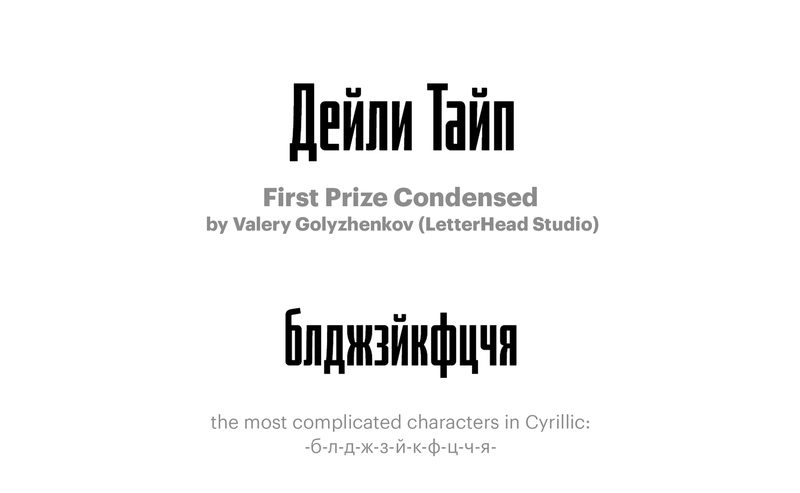 Good luck everyone.